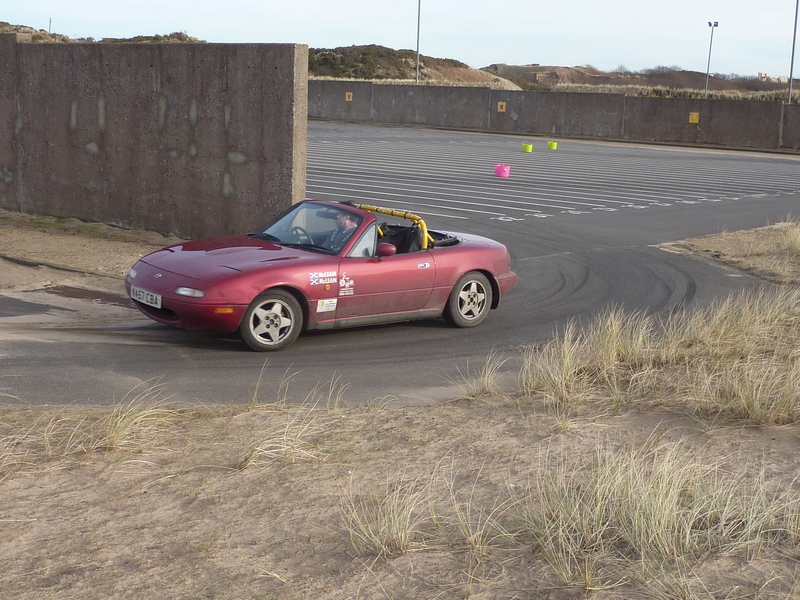 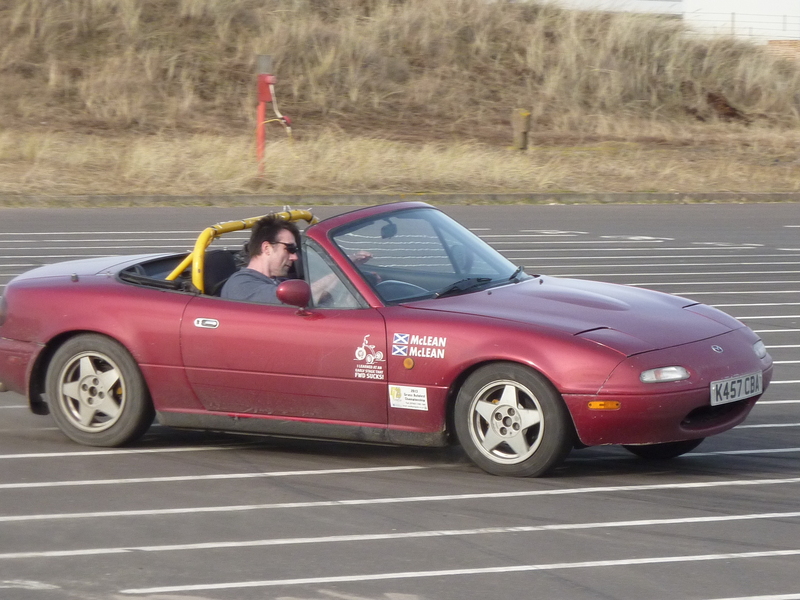 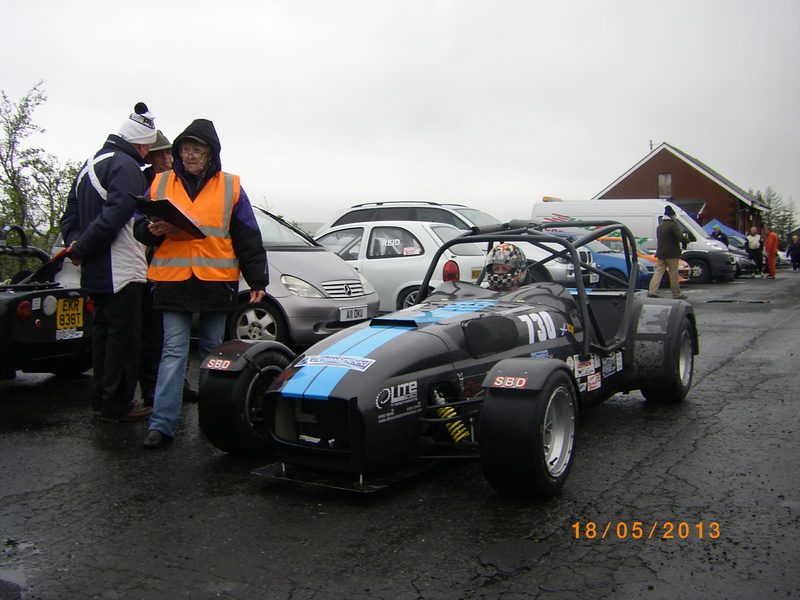 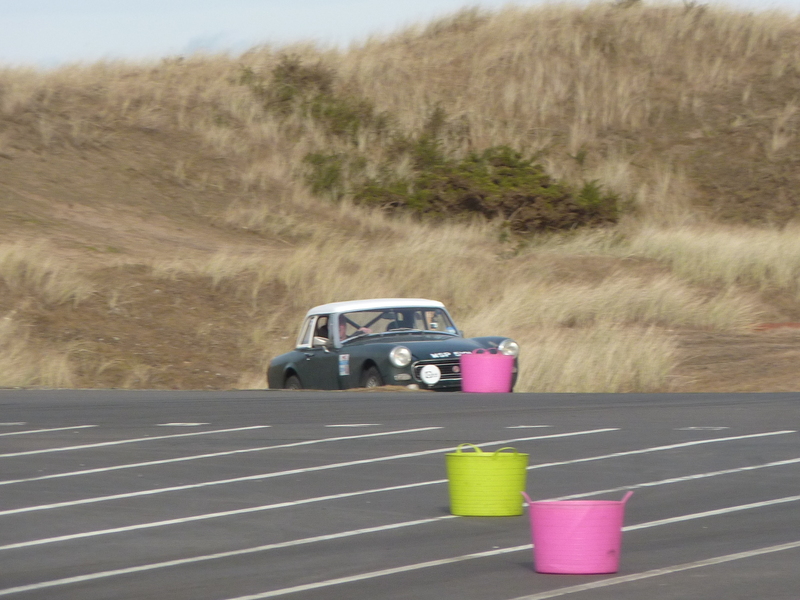 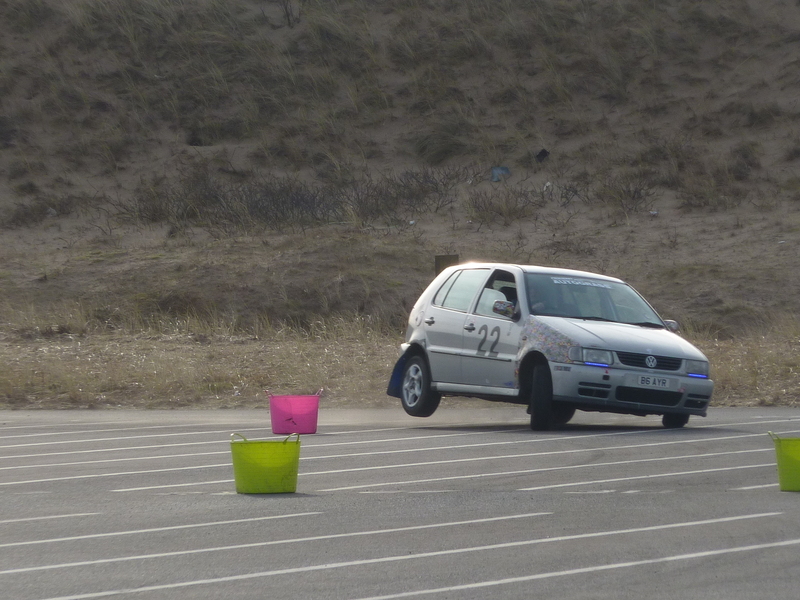 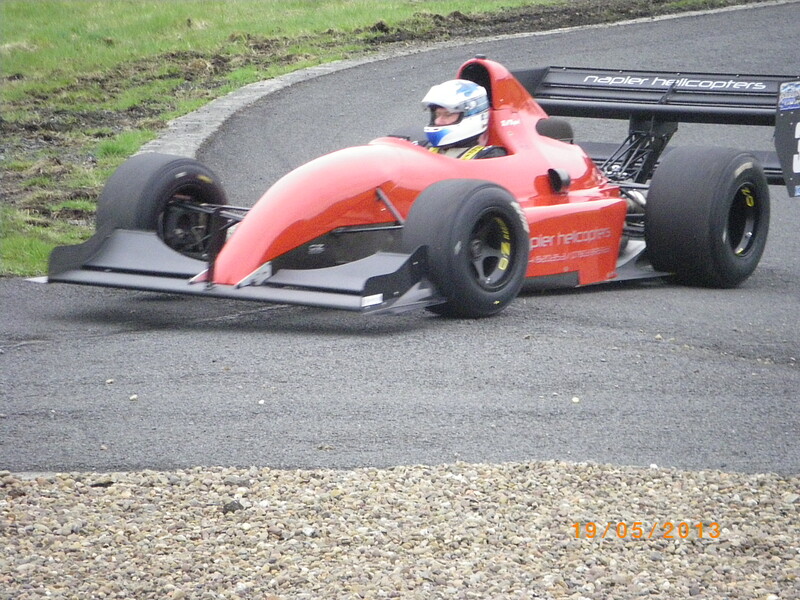 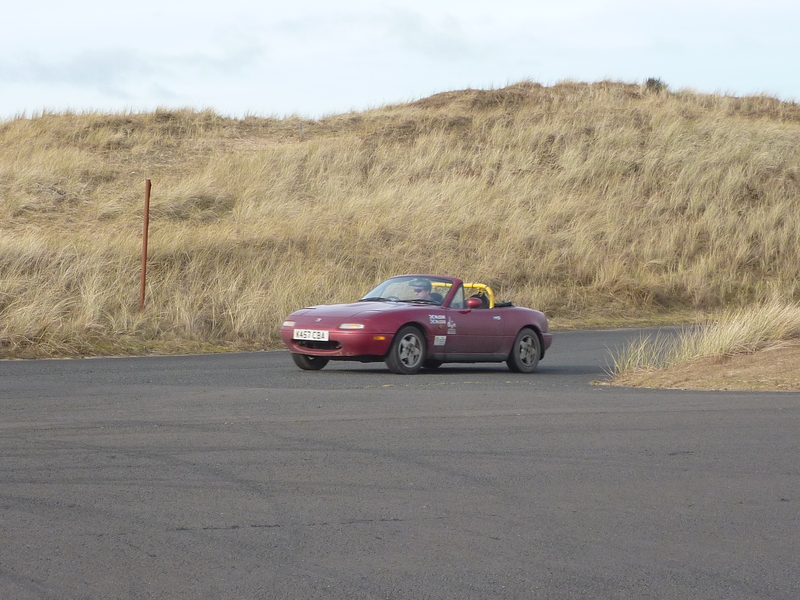 Yet another great day – the weather was kind (maybe a bit blowy) and 29 entries. 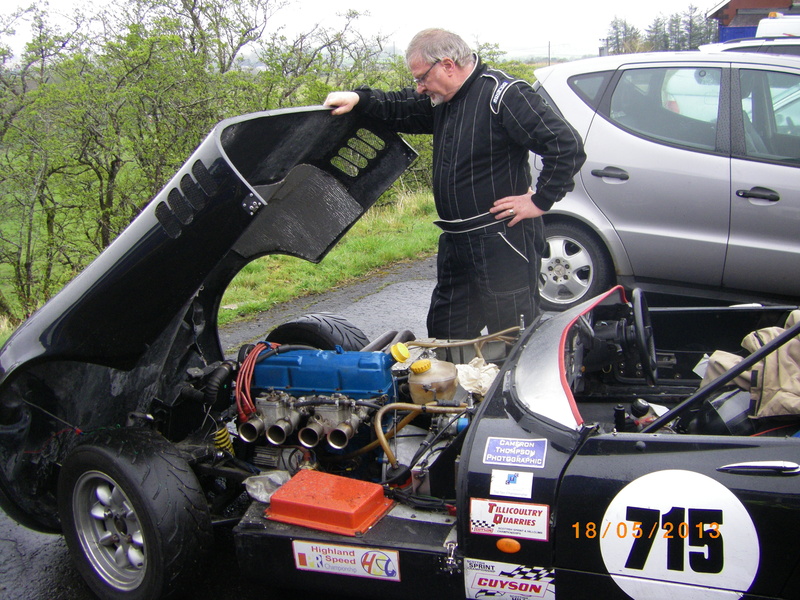 Again, thanks to Bill Barr for the pictures. 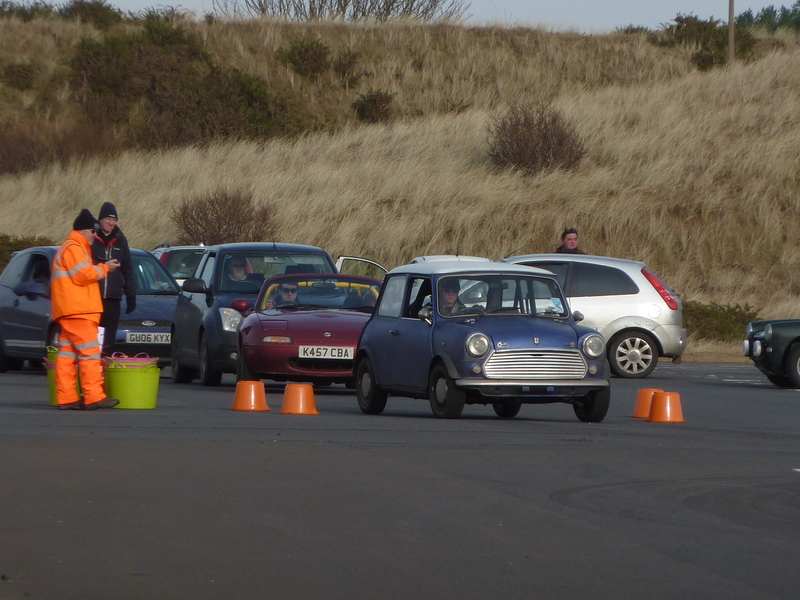 Another fantastic day at Ardeer with 25 entries. 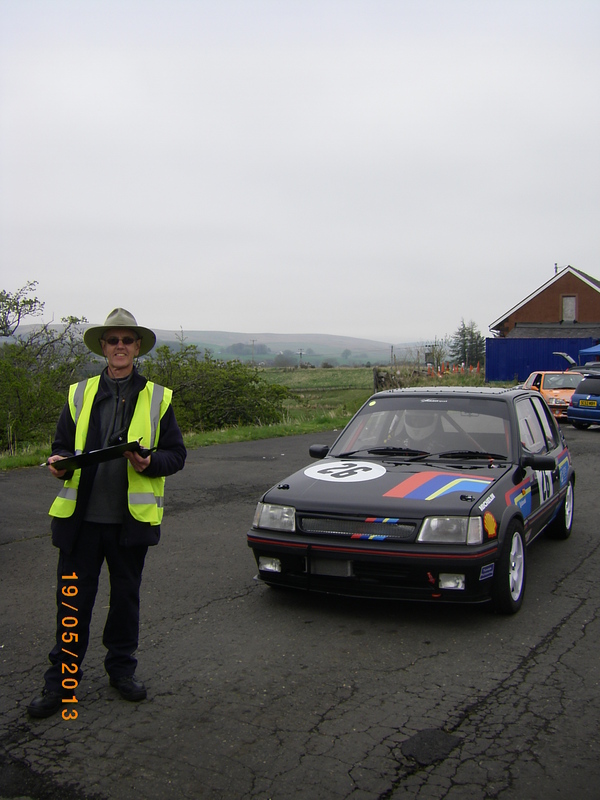 Thanks once again to Bill Barr for the photos. 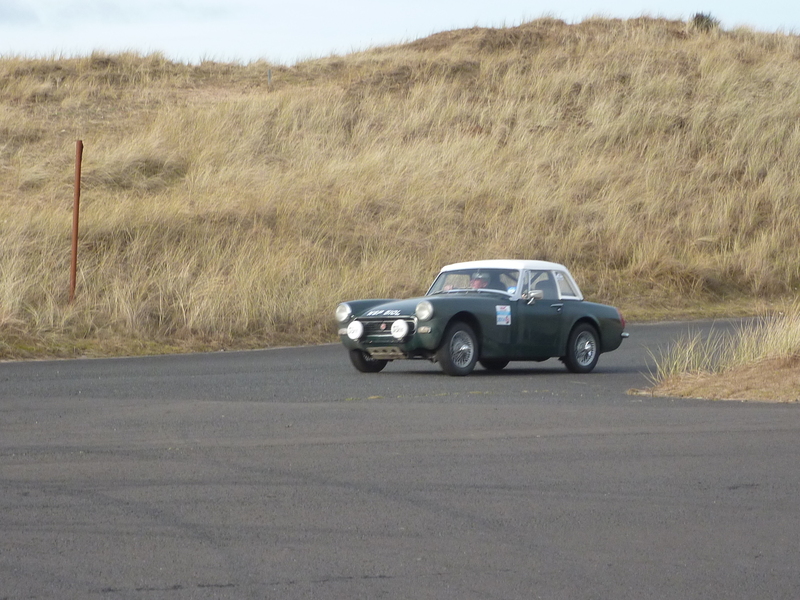 Back at Ardeer in great weather. 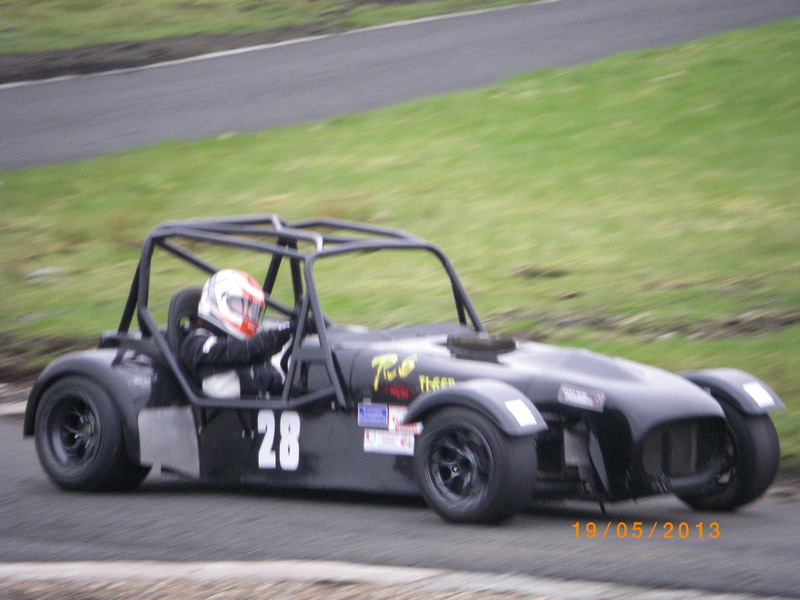 Thanks to Bill Barr for the pictures. 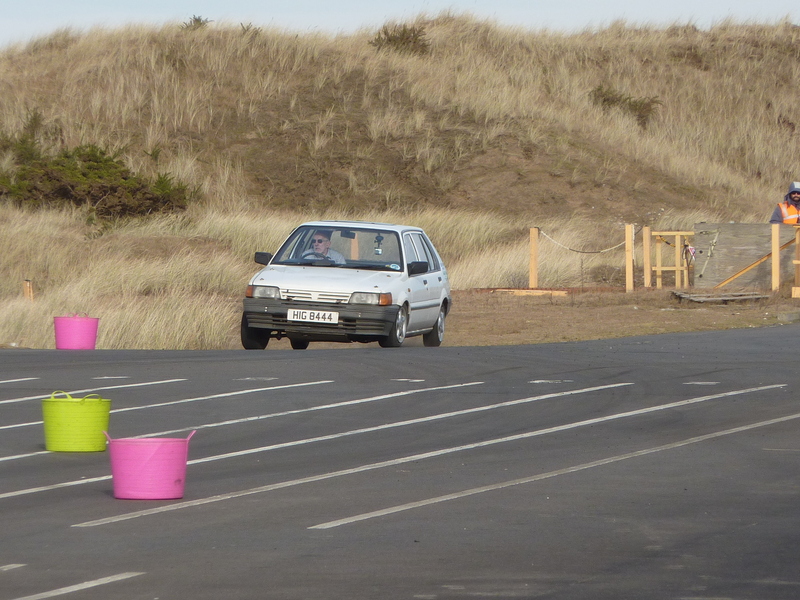 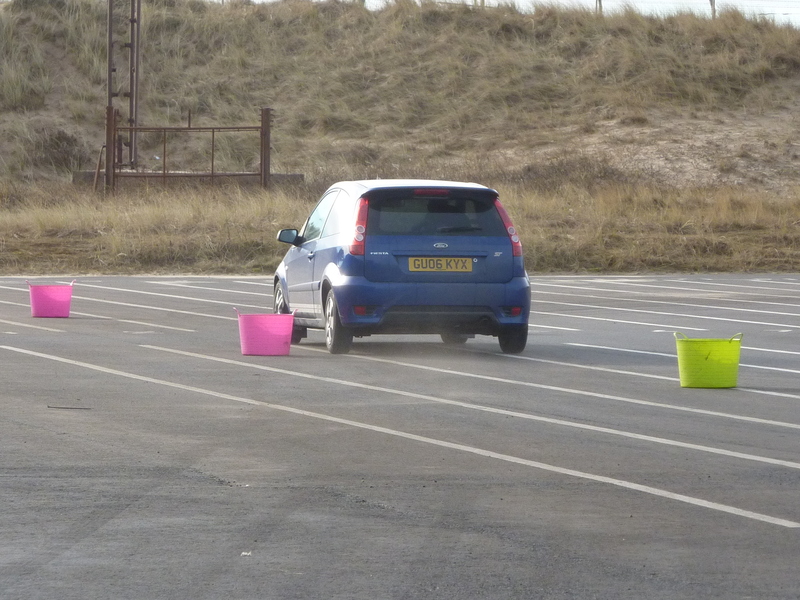 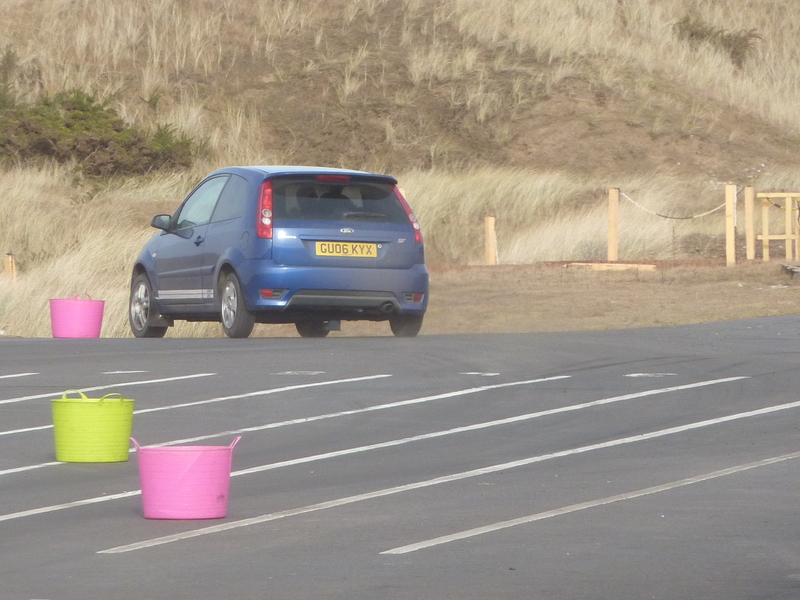 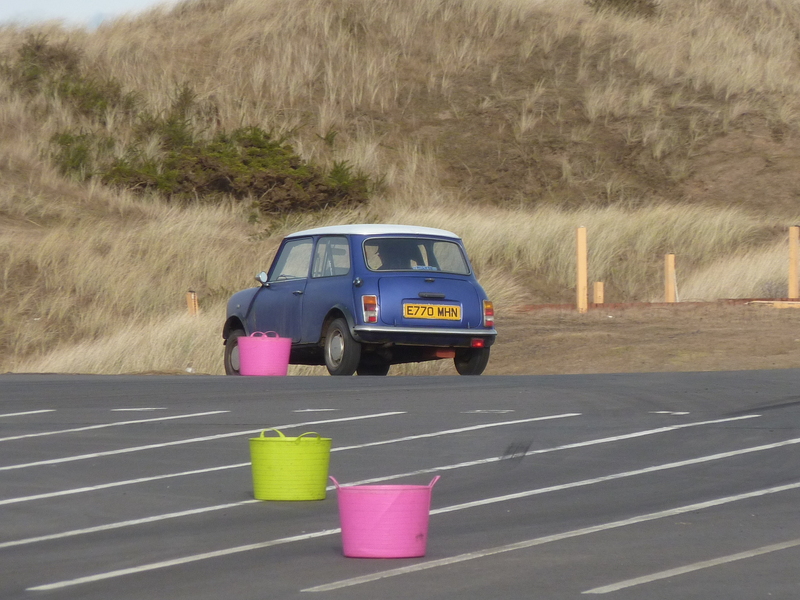 Fun and games at Ardeer this time! 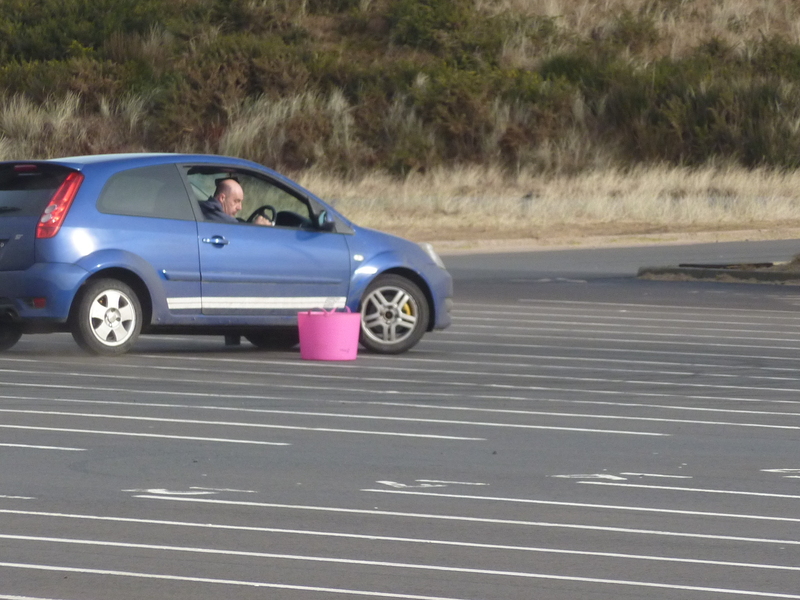 Fun and games at Malcolms. 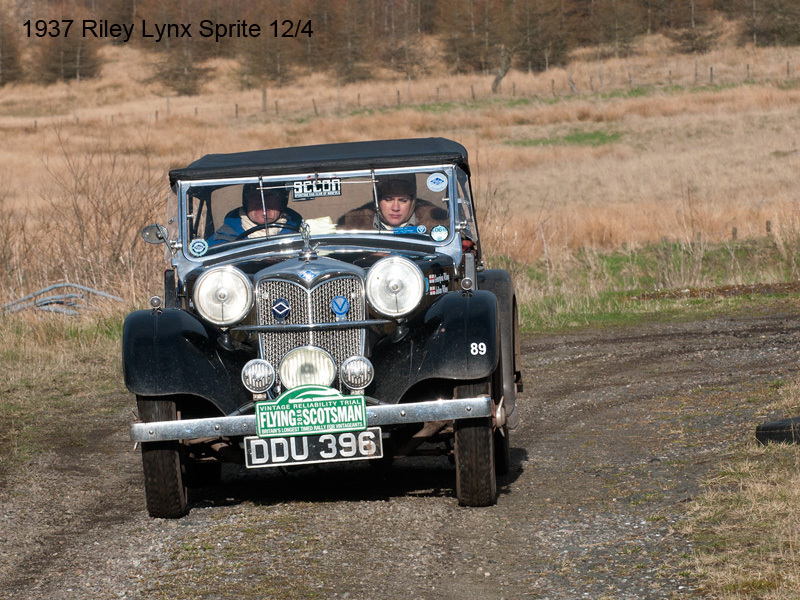 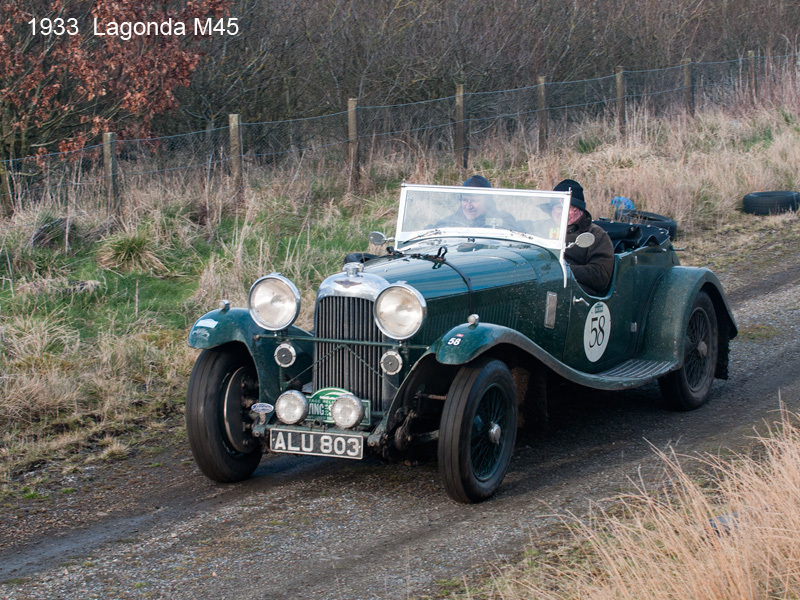 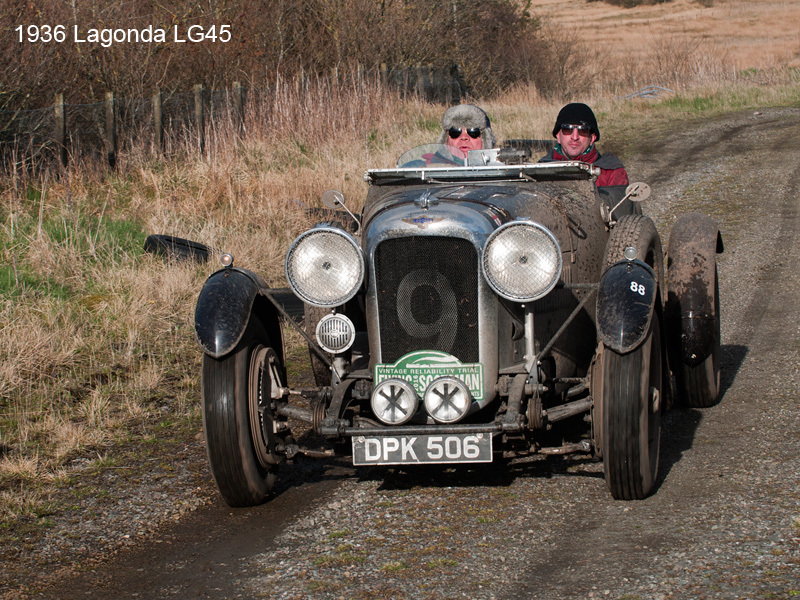 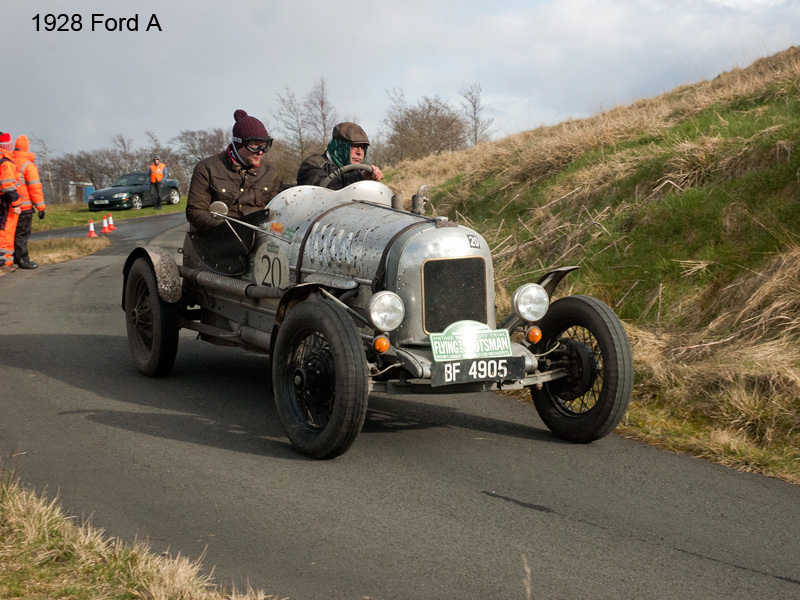 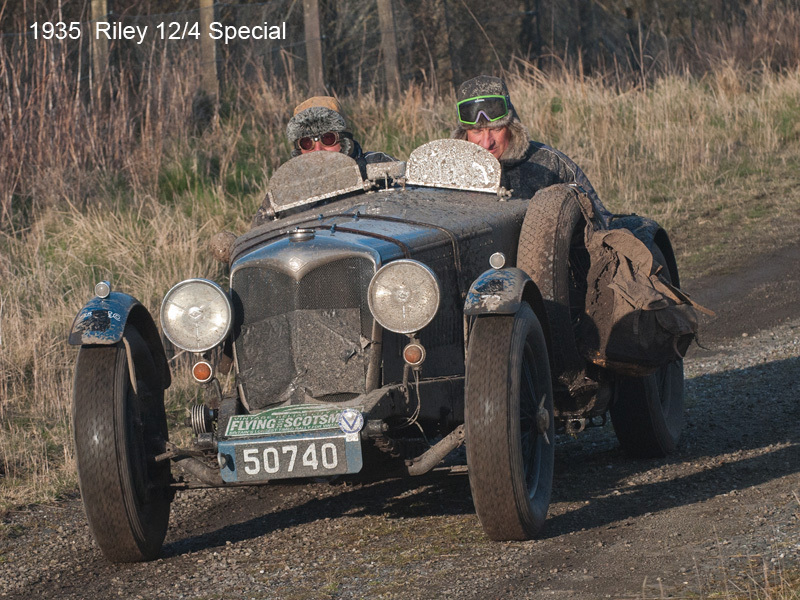 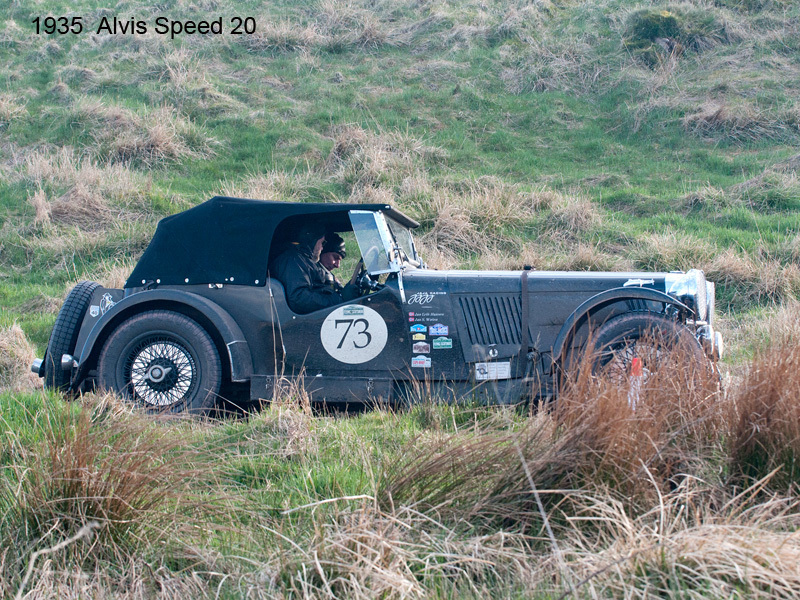 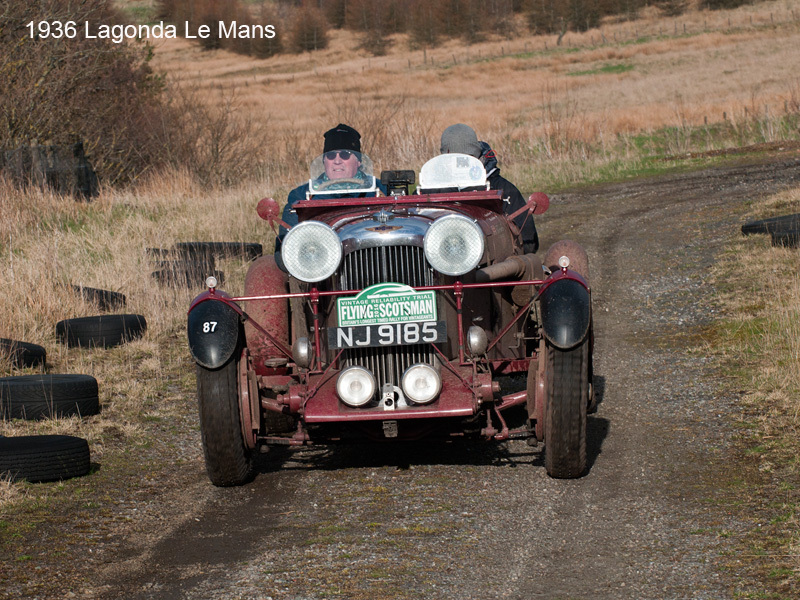 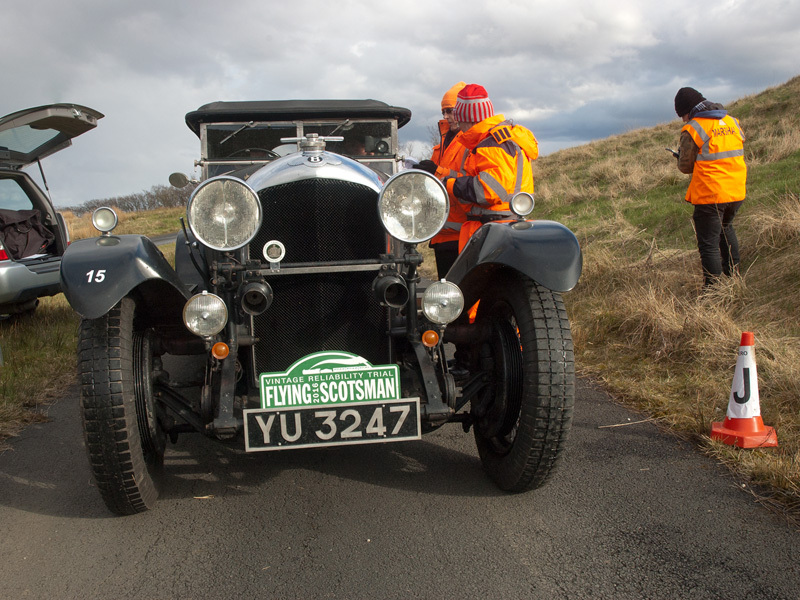 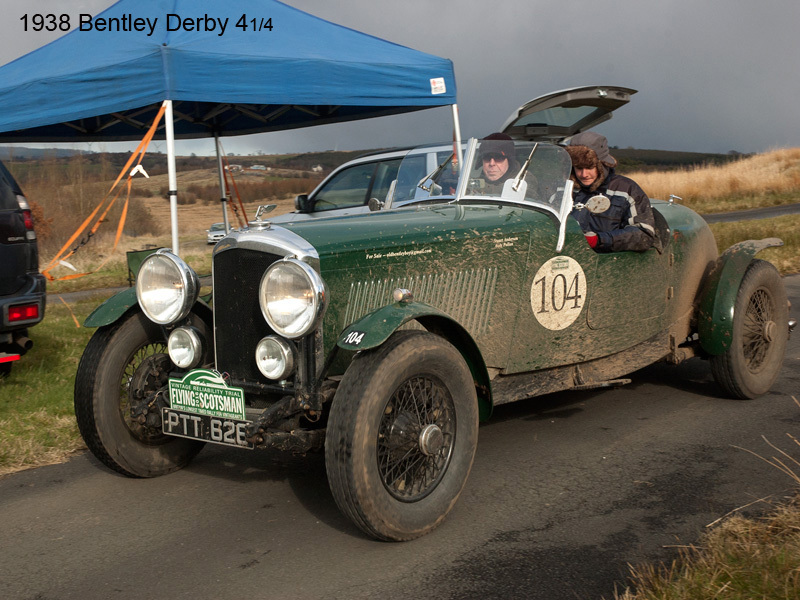 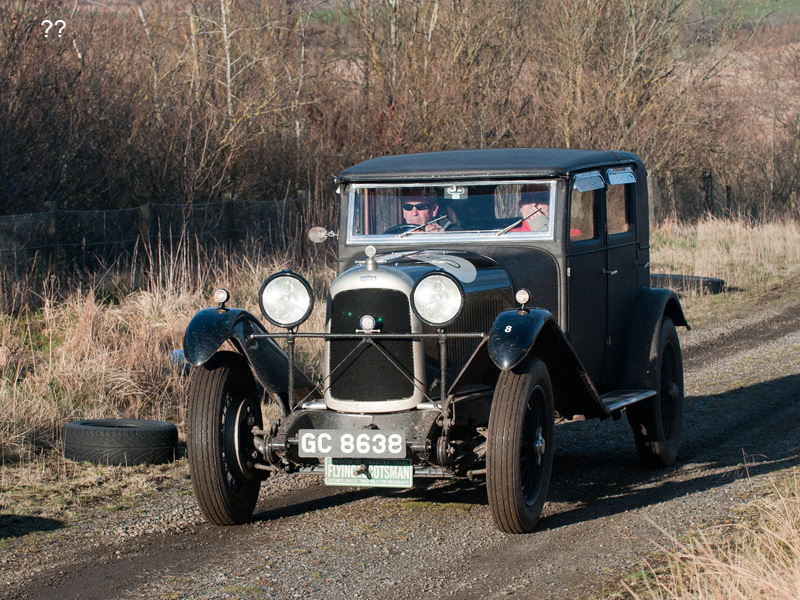 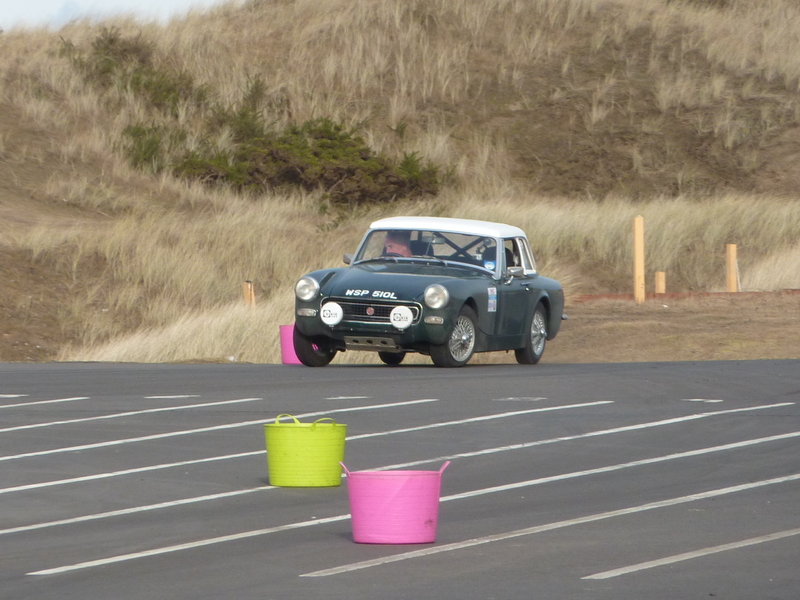 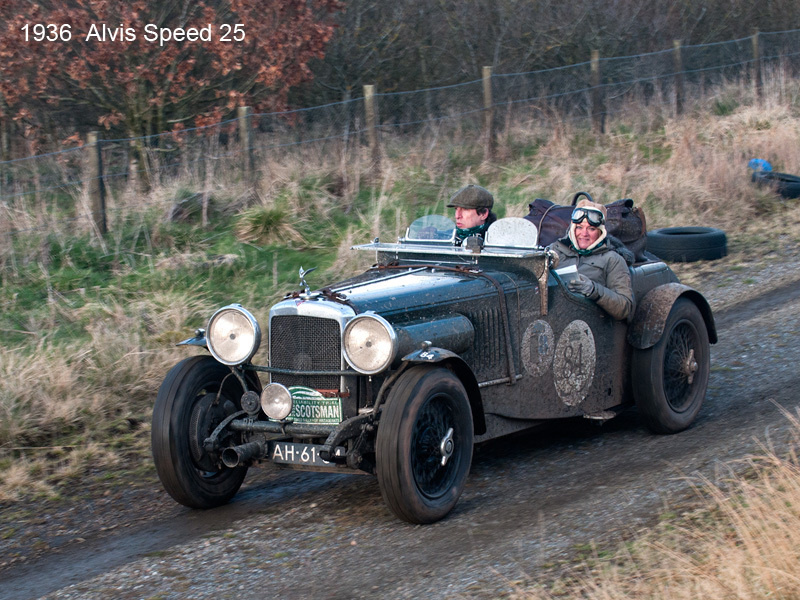 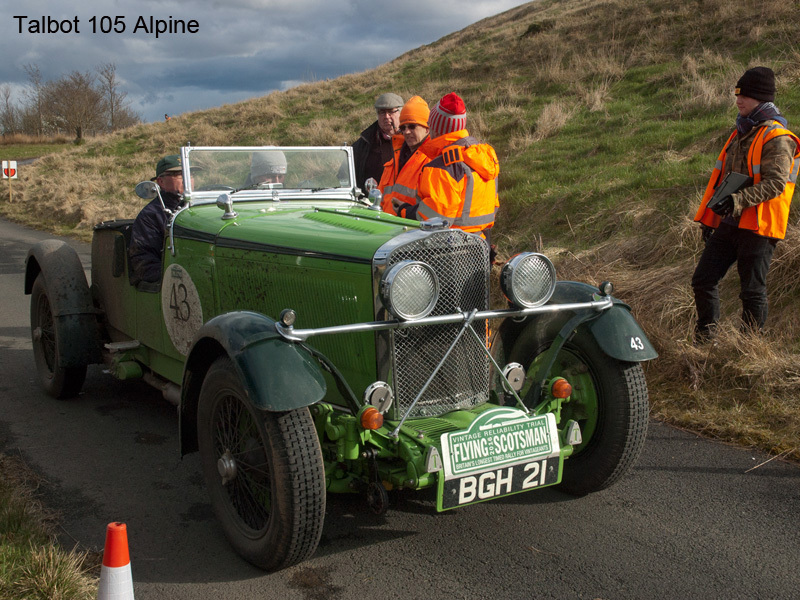 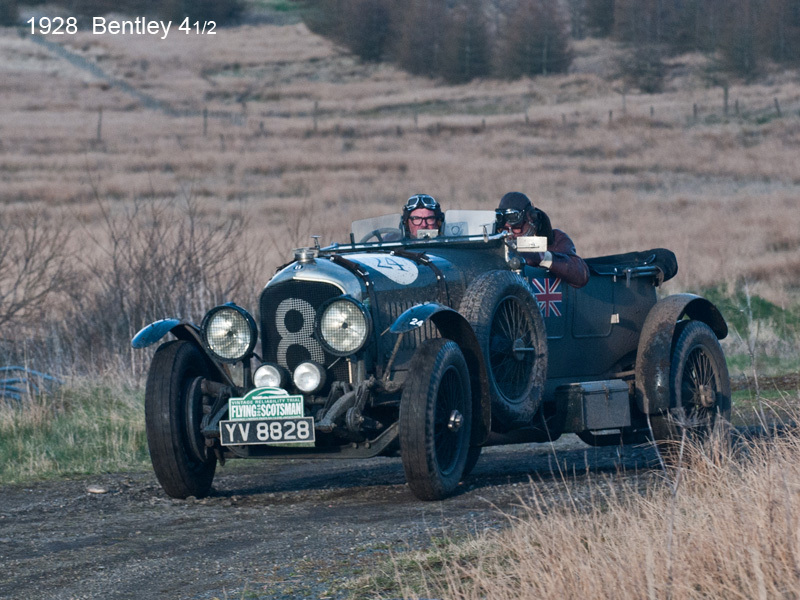 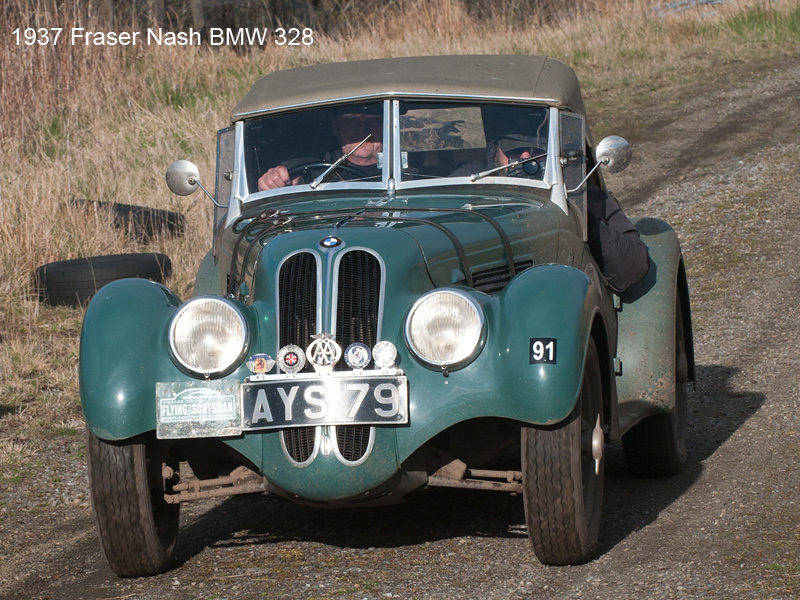 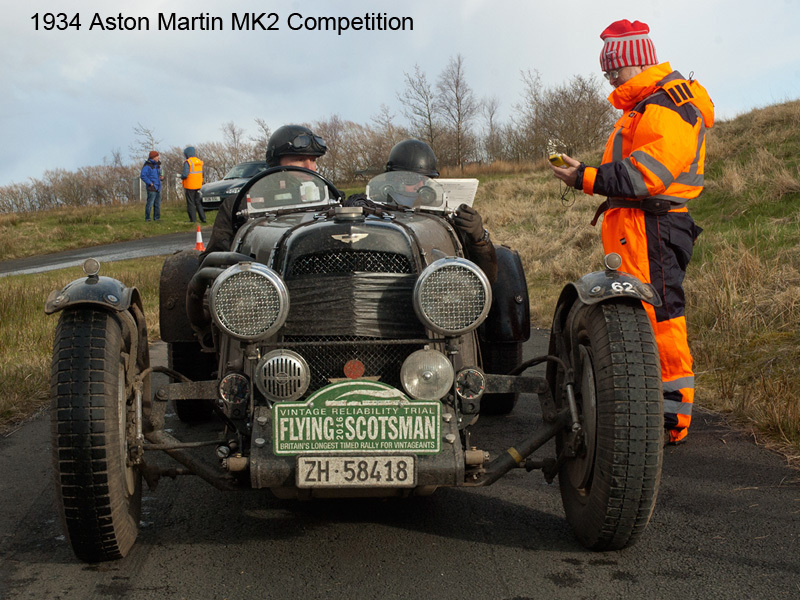 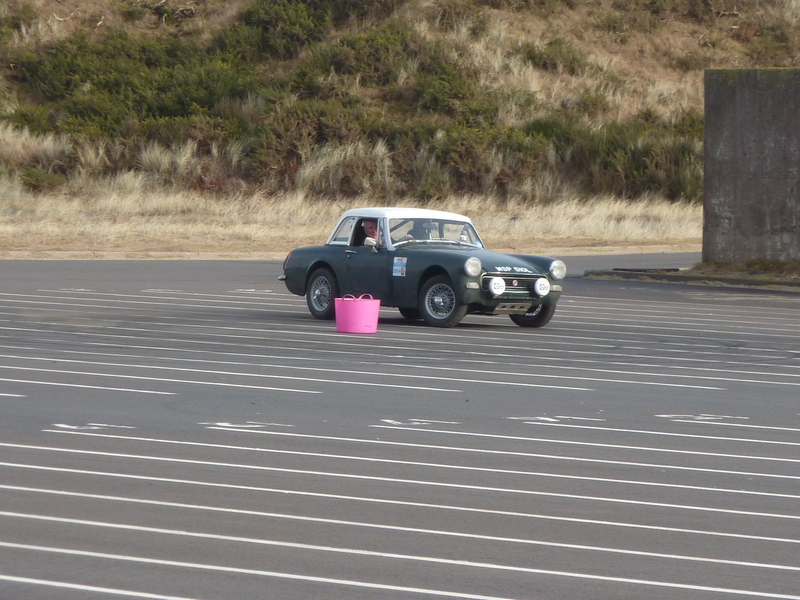 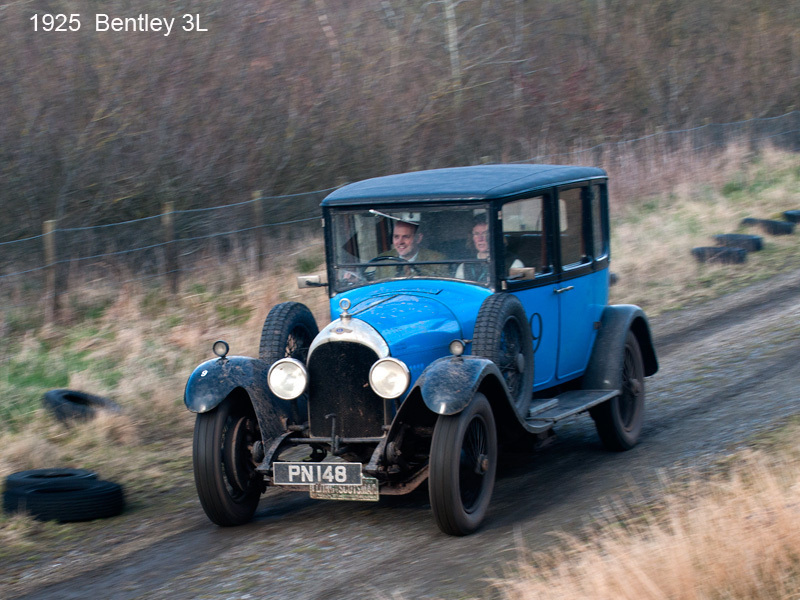 The Flying Scotsman Rally for pre-war cars visited Forrestburn for a test on the 16th April. 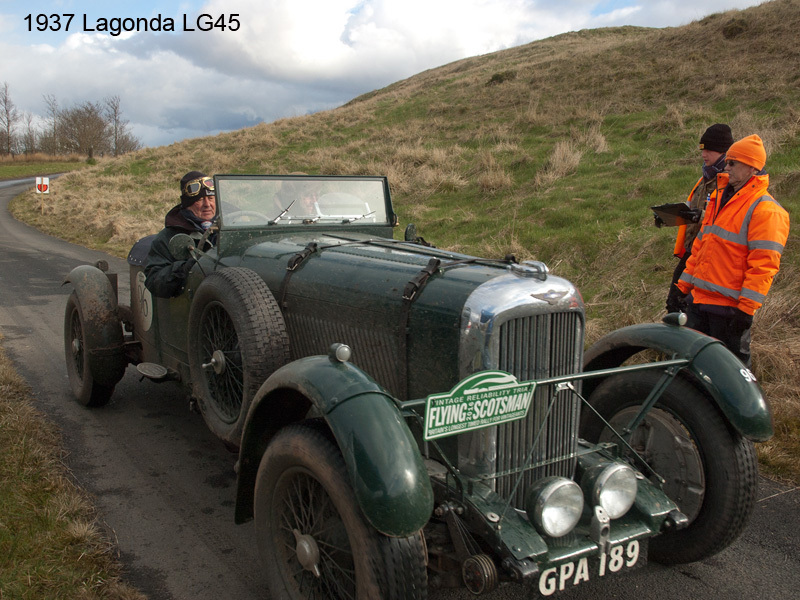 Several club members went along to help out and were treated to a grand spectacle of pre-1940s cars. 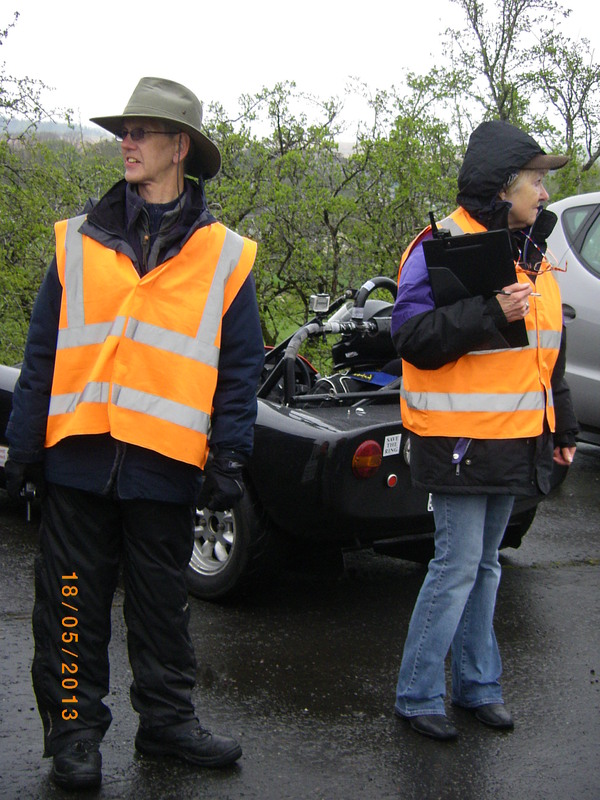 We’re grateful to Bill Barr for the following pictures. 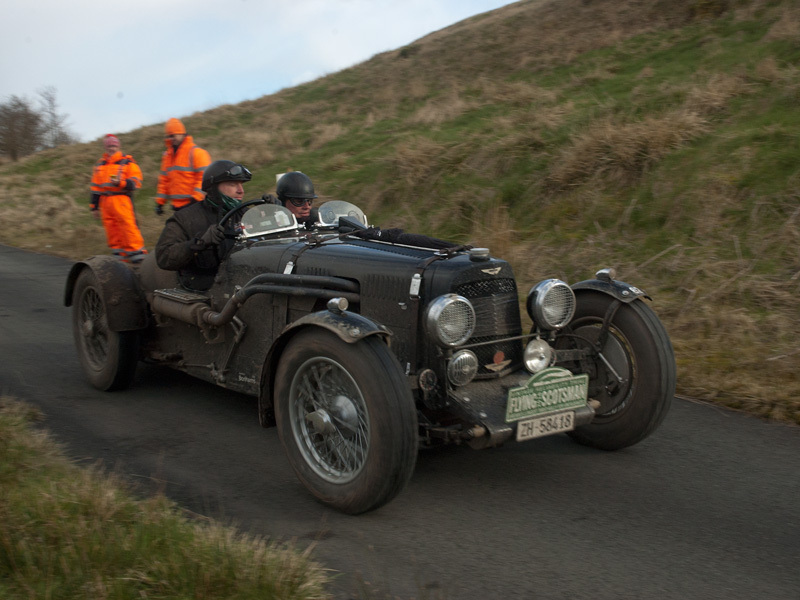 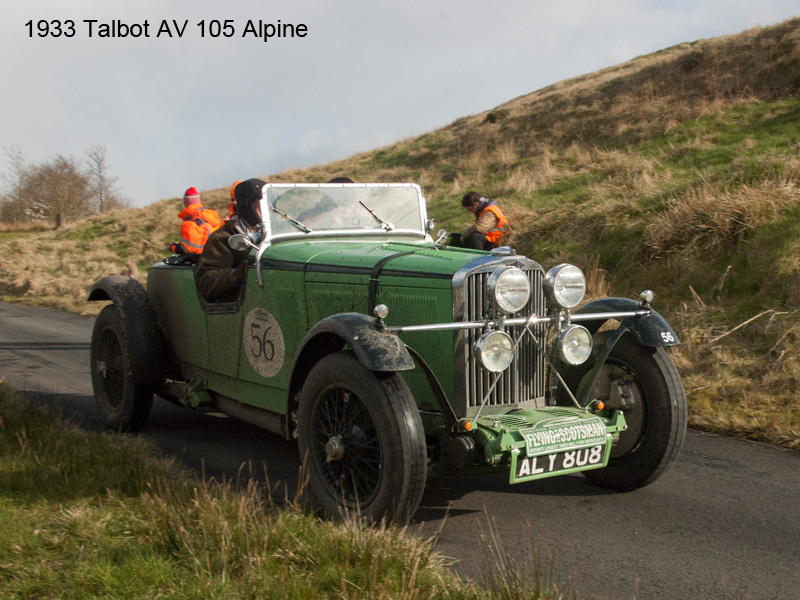 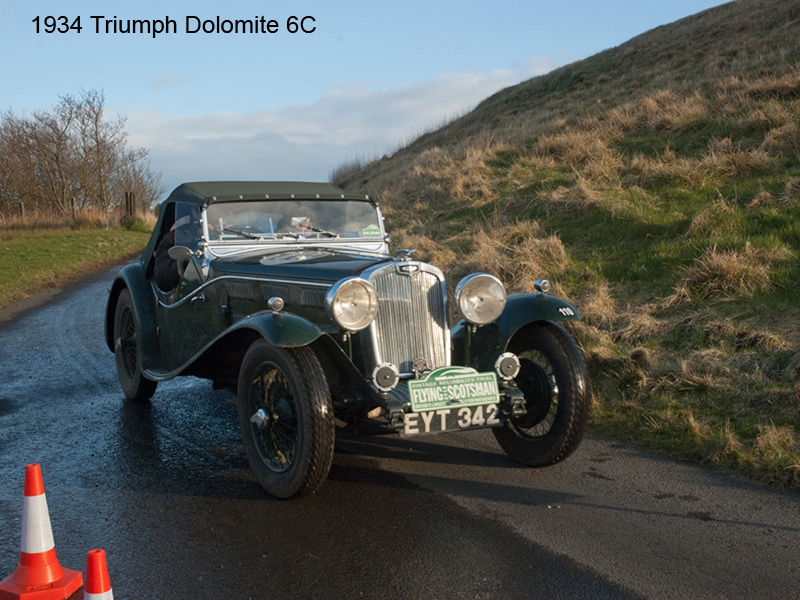 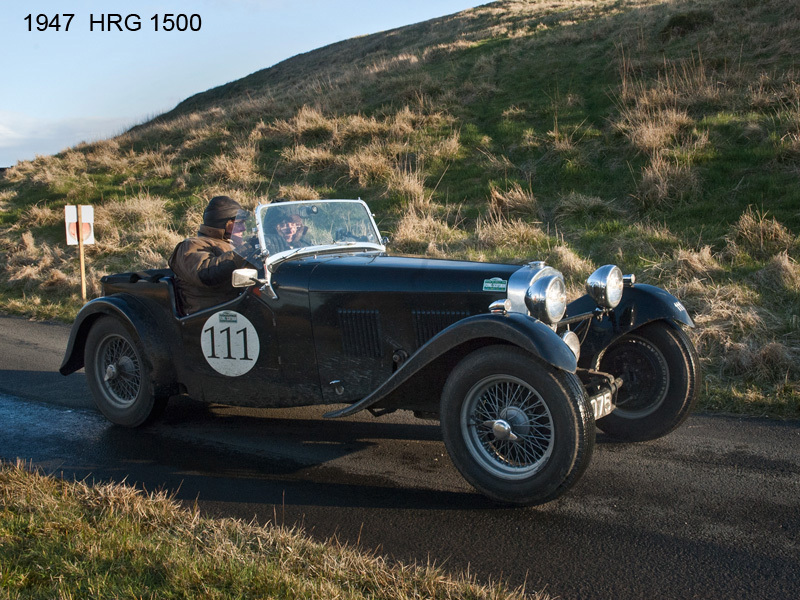 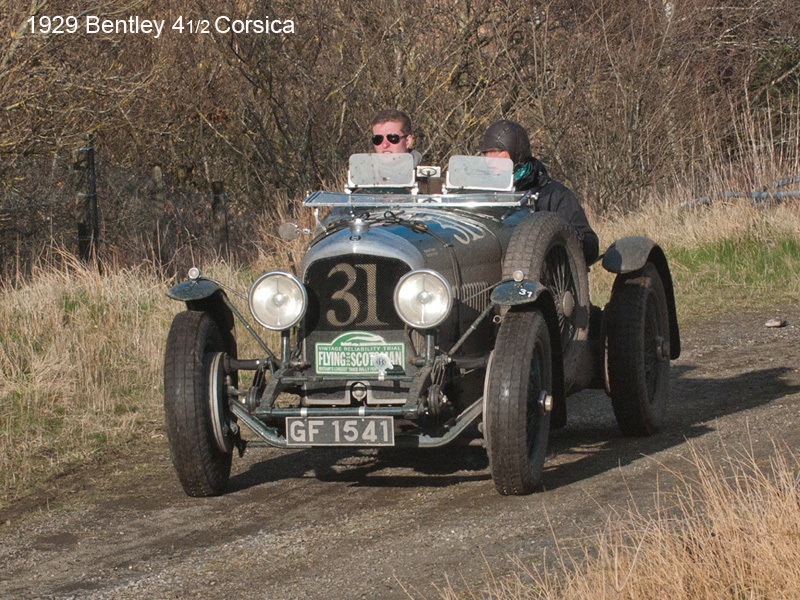 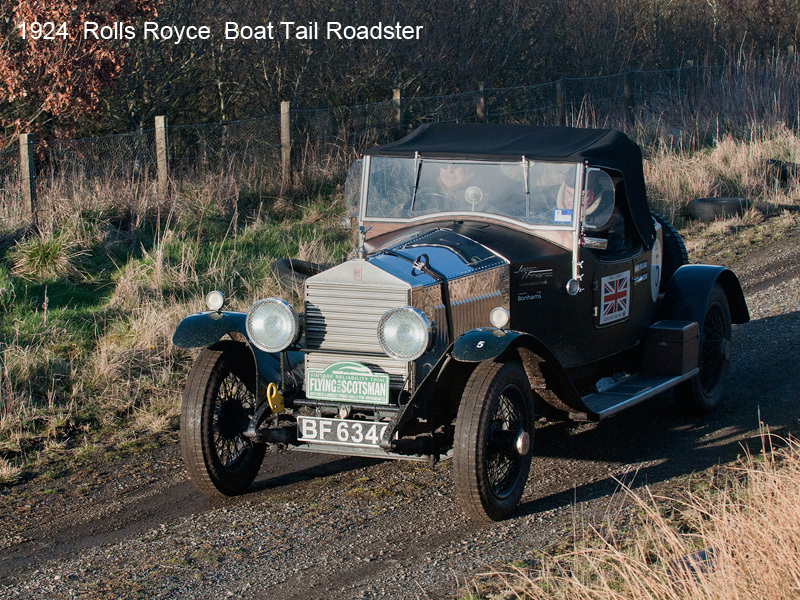 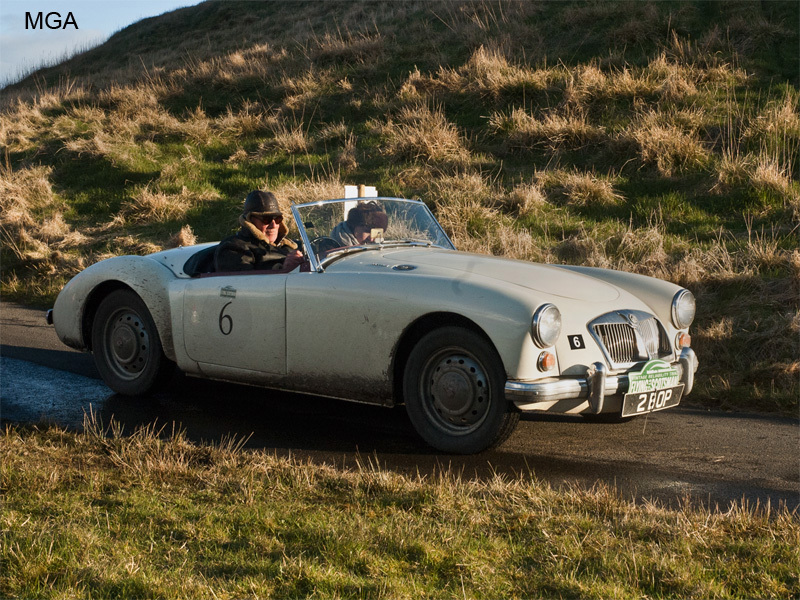 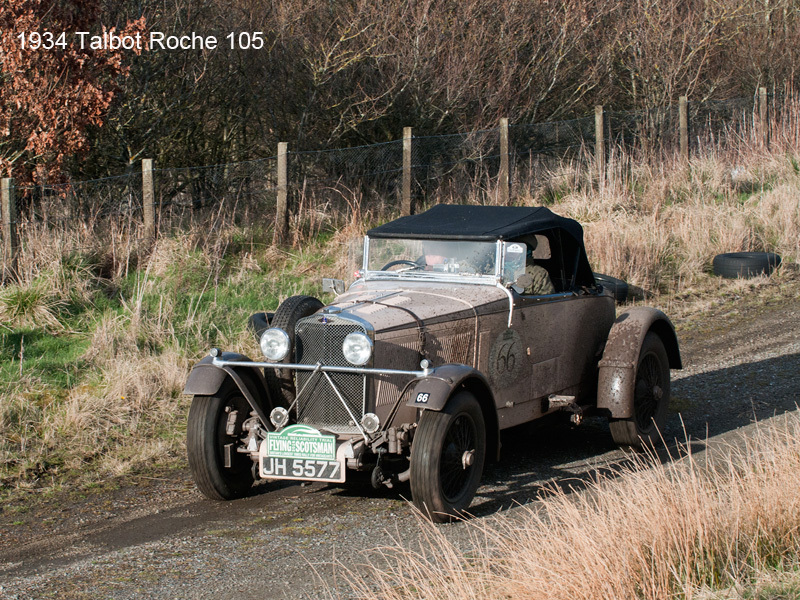 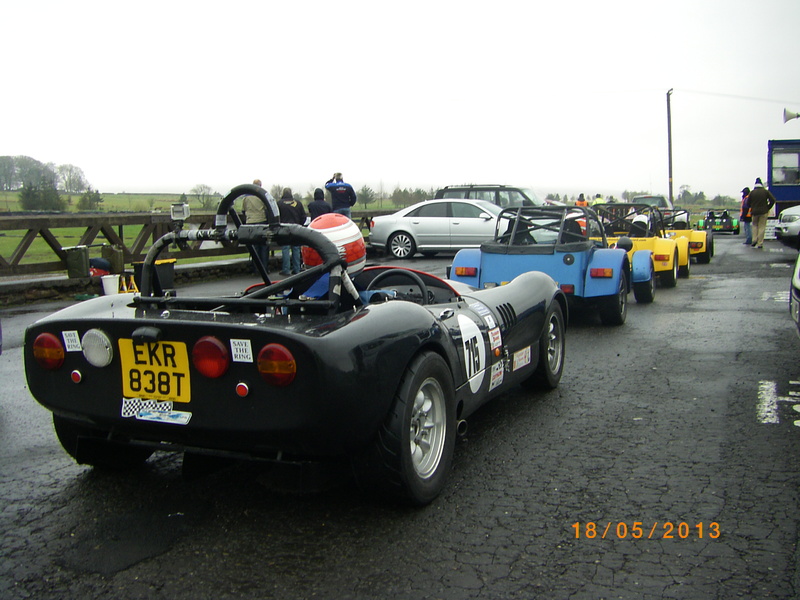 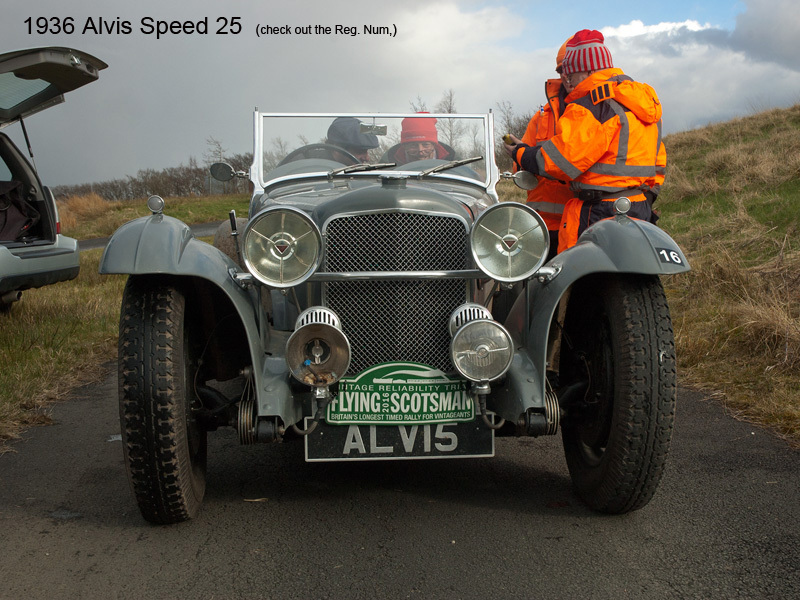 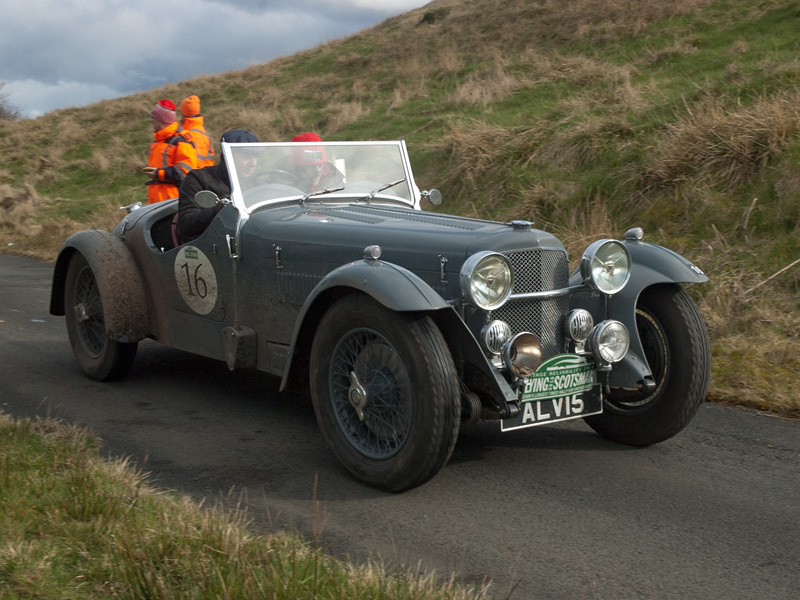 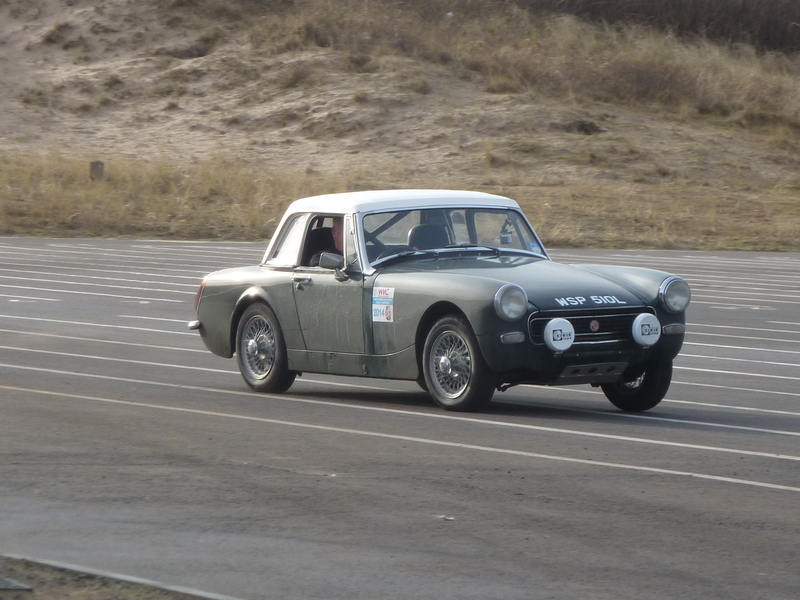 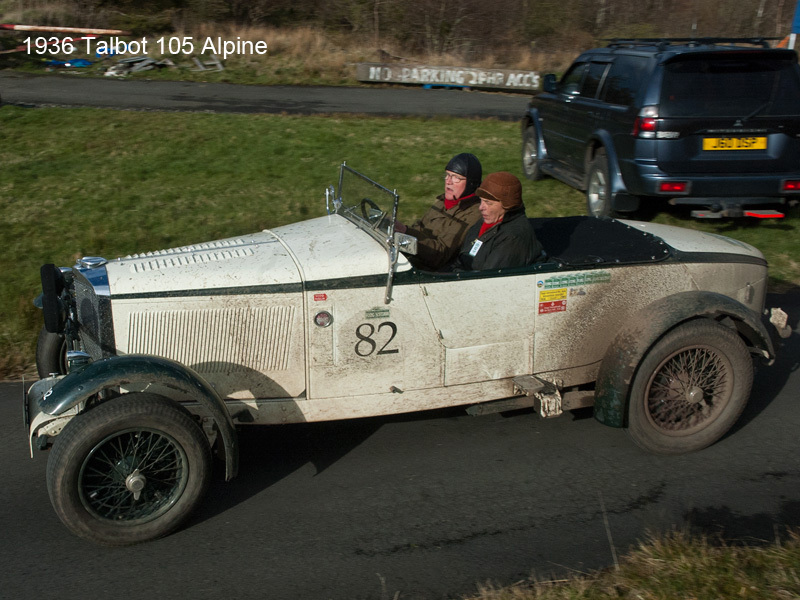 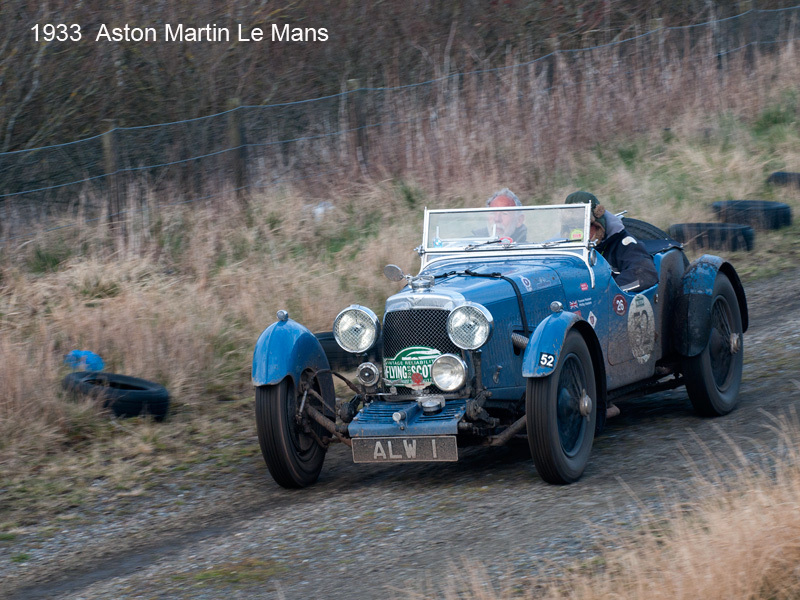 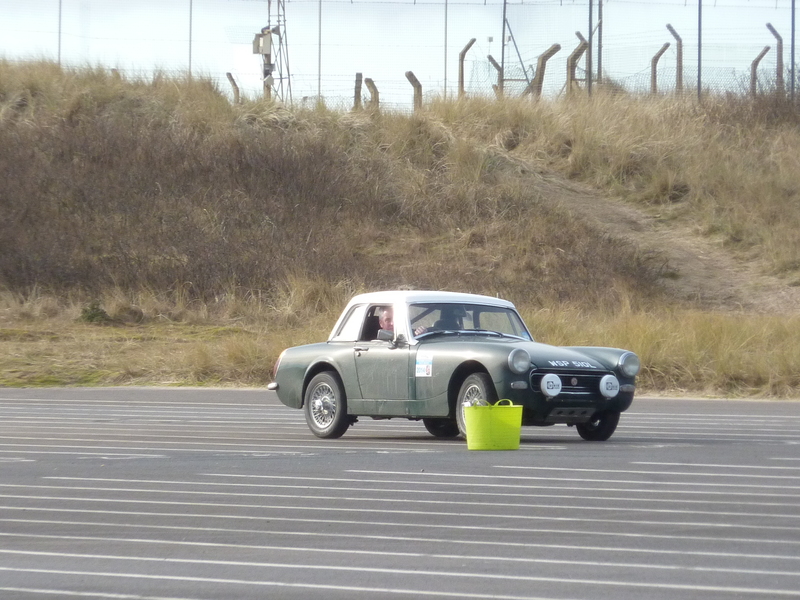 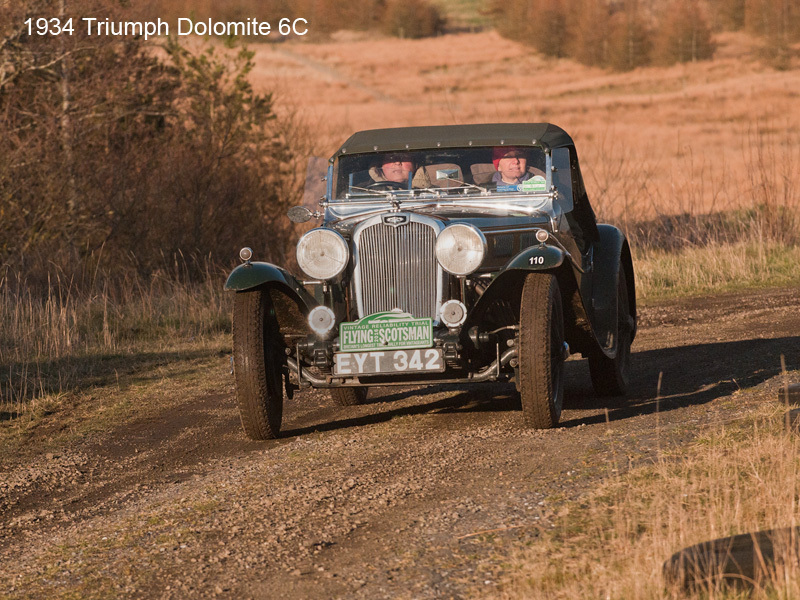 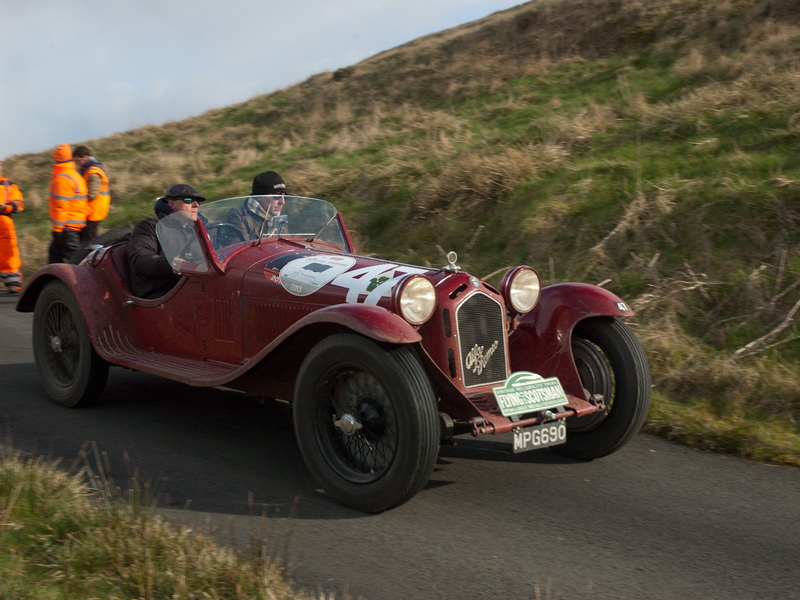 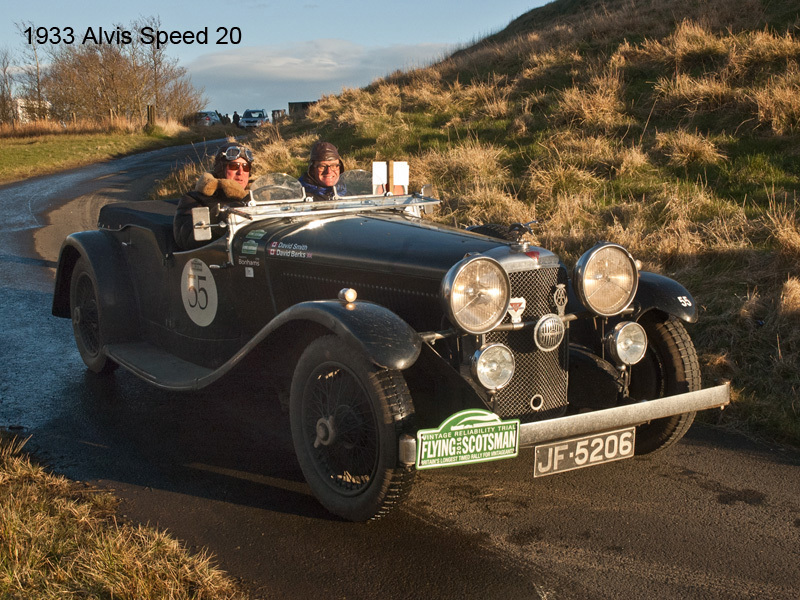 The Monte Carlo Historique got underway from Glasgow on the 27th January. 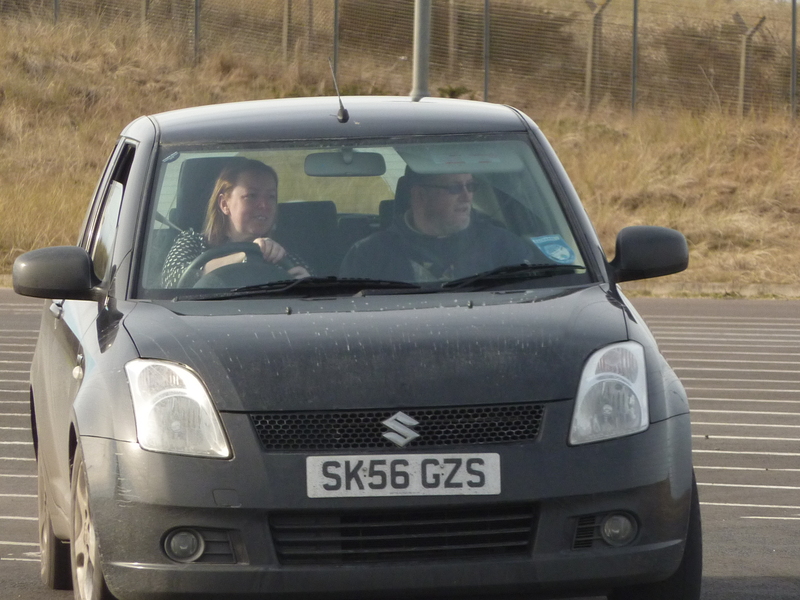 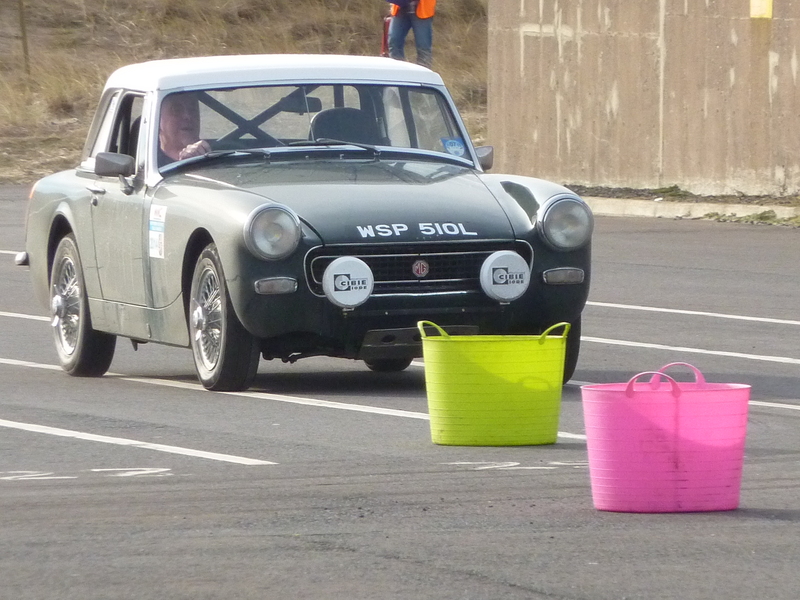 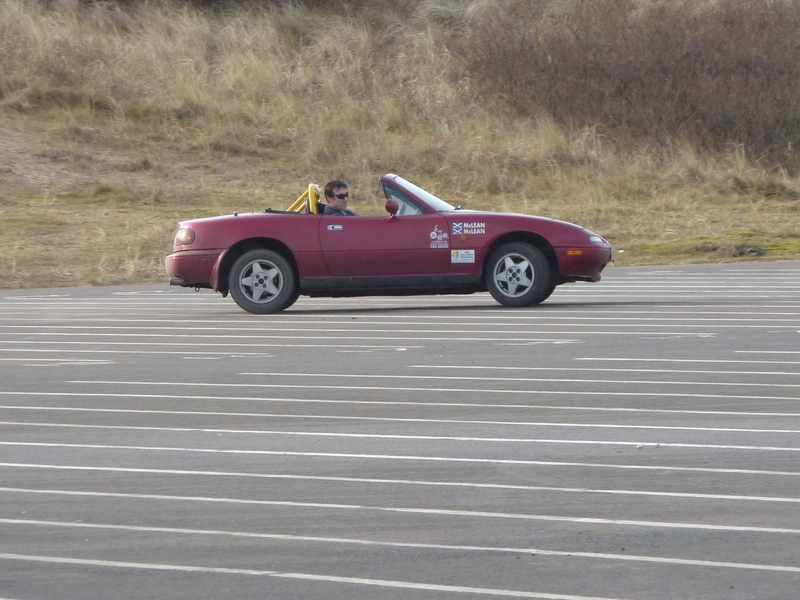 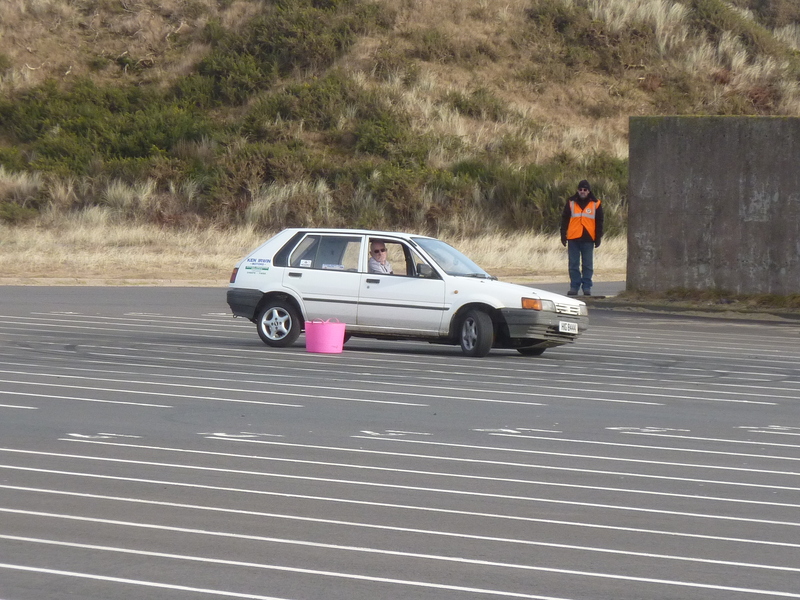 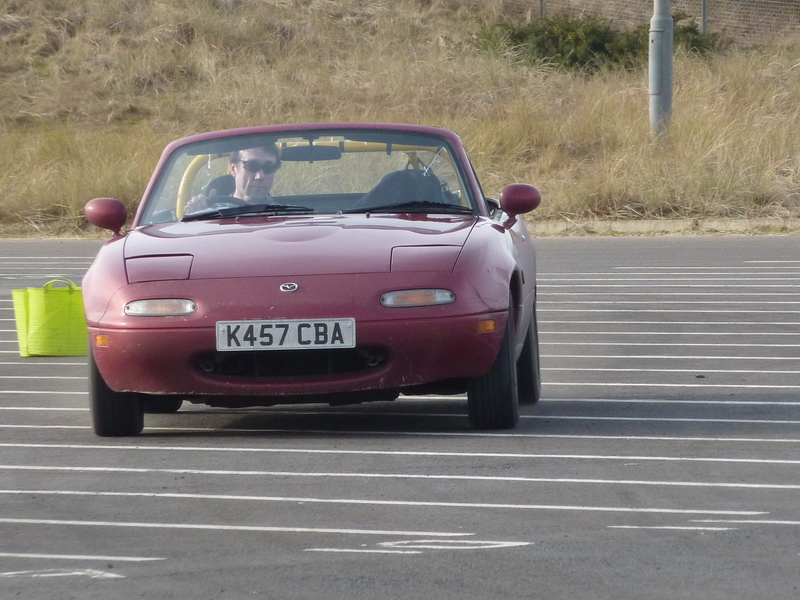 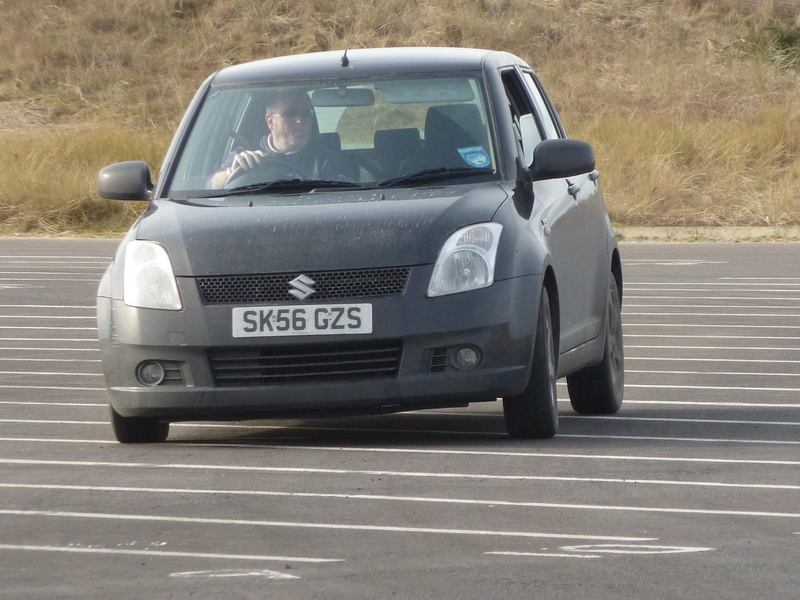 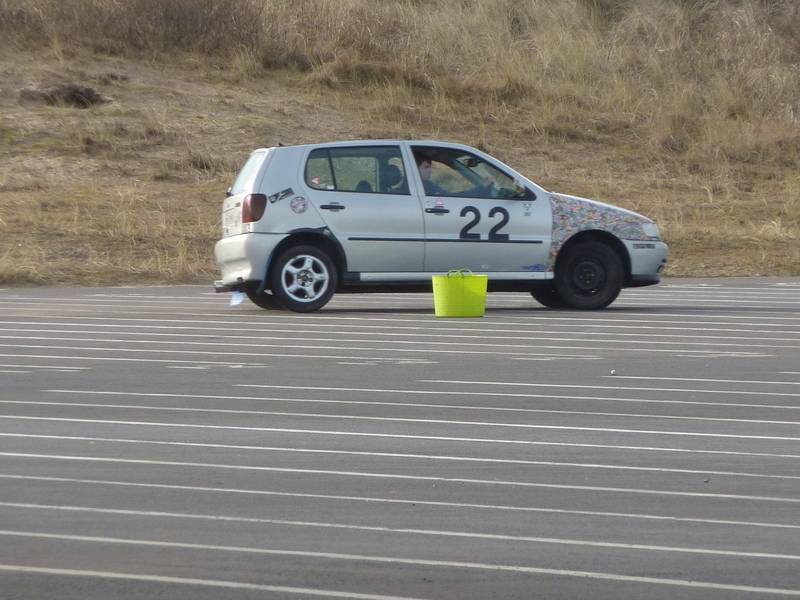 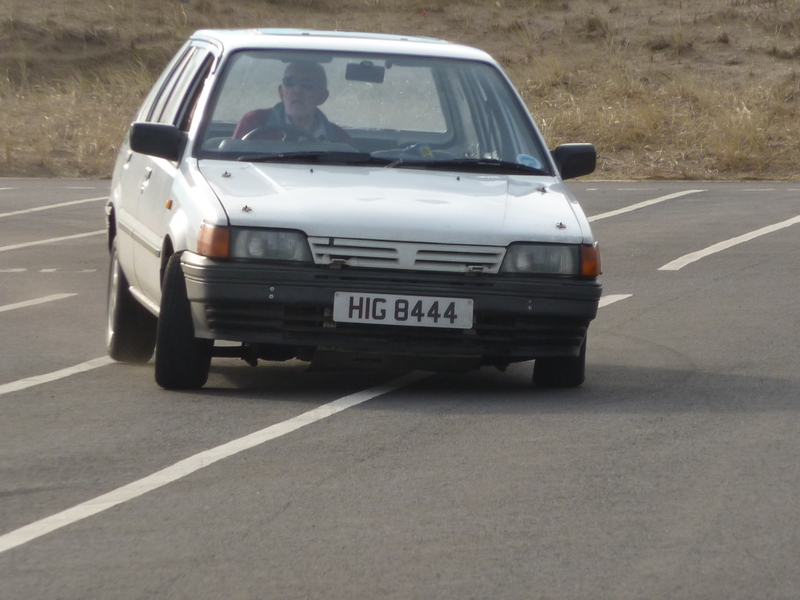 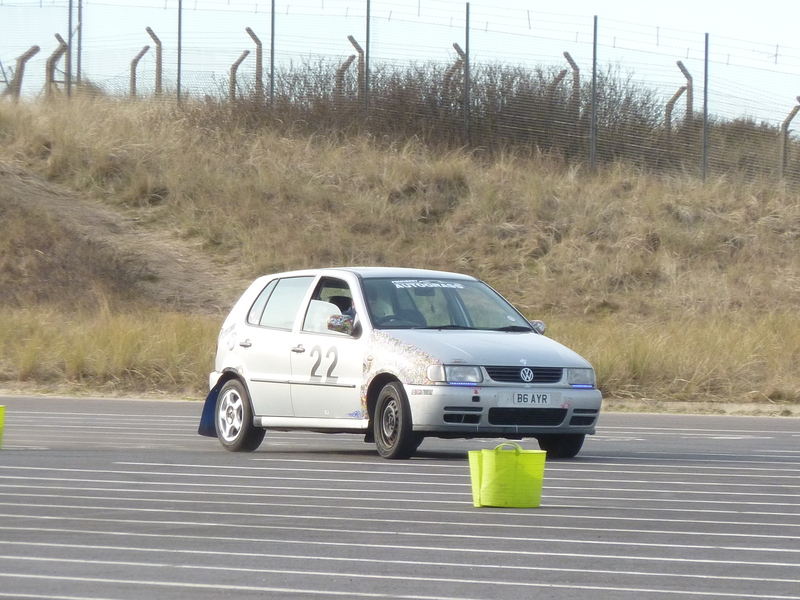 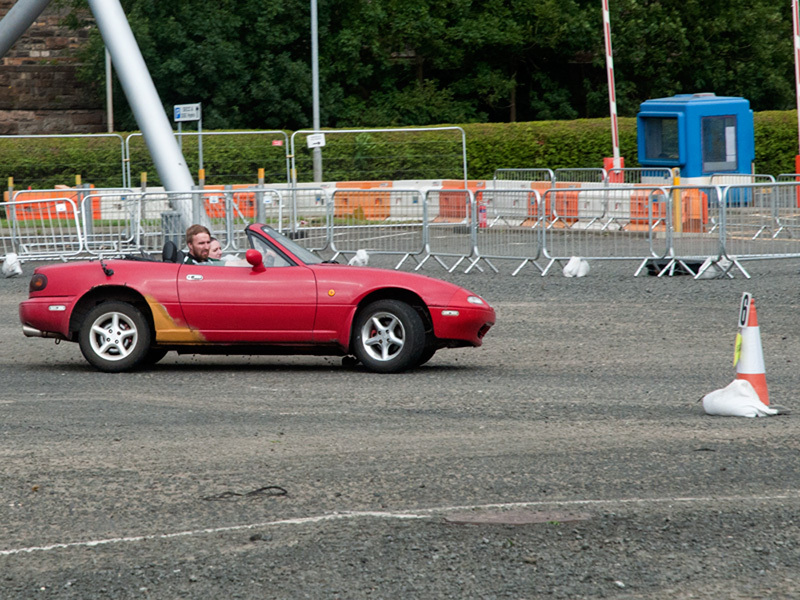 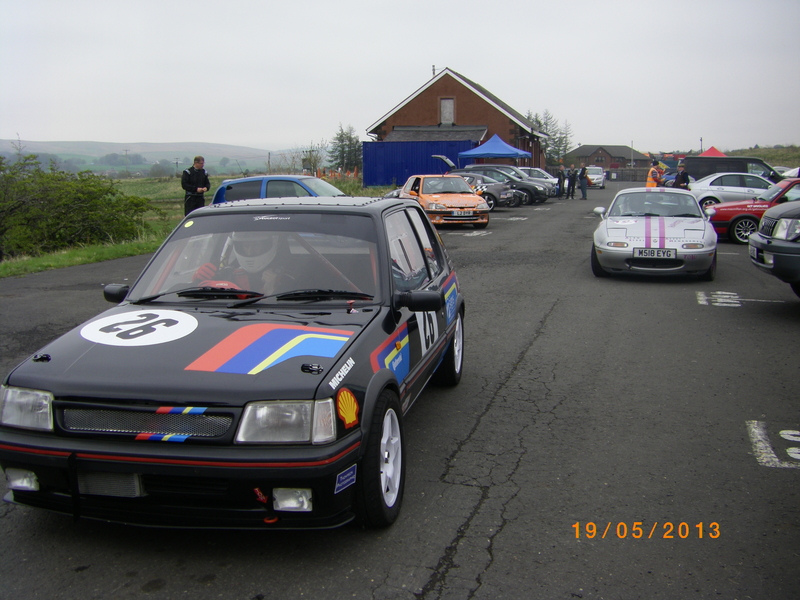 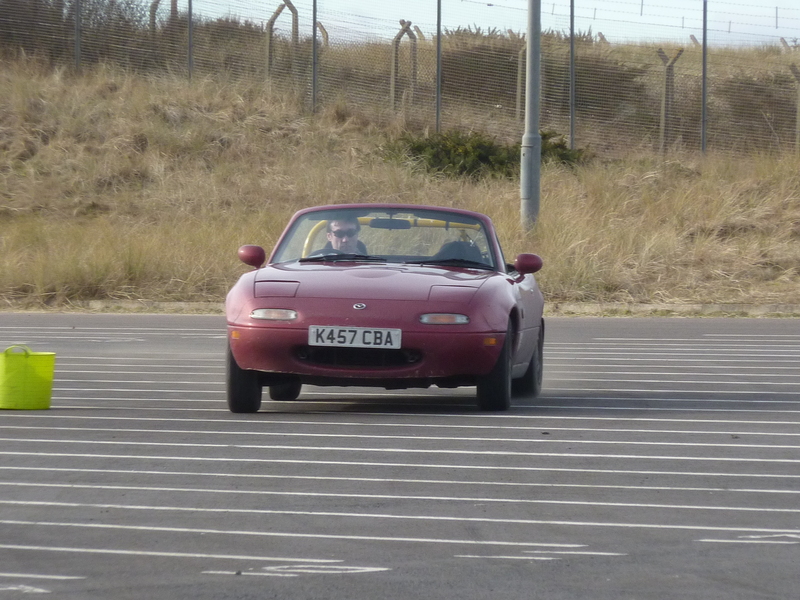 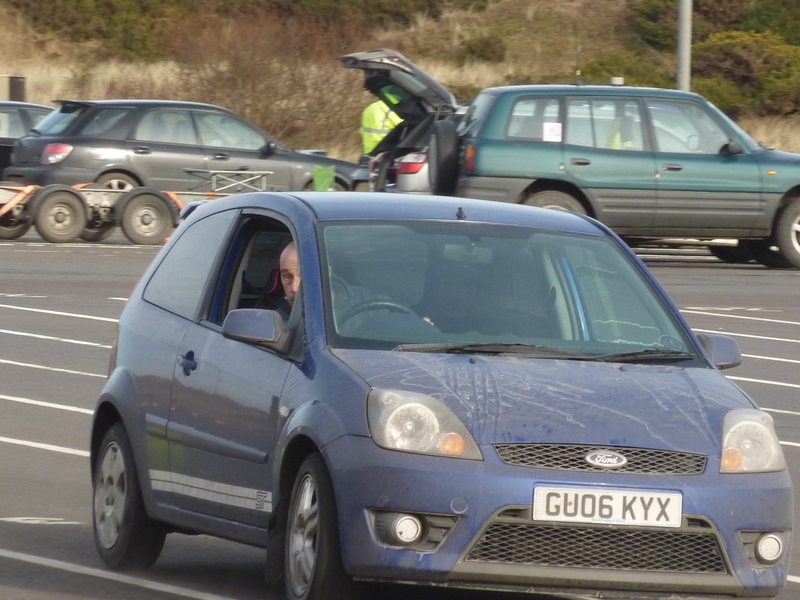 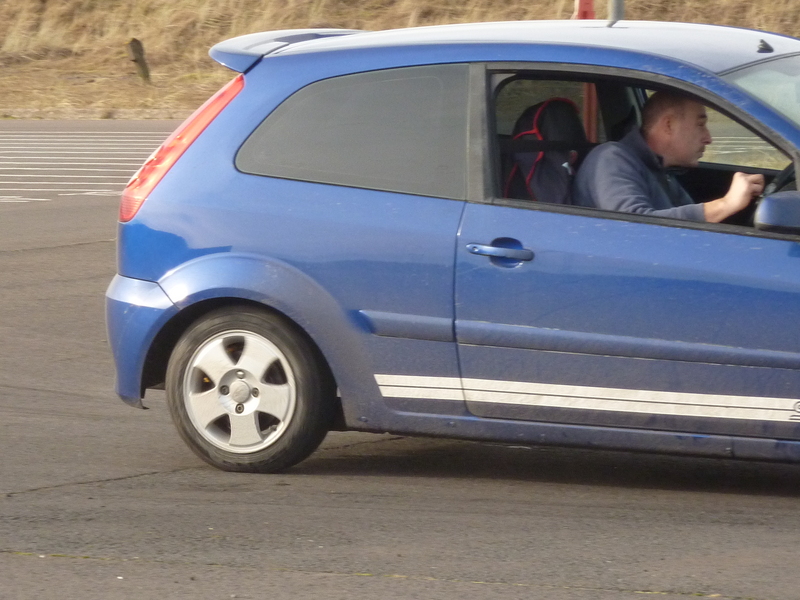 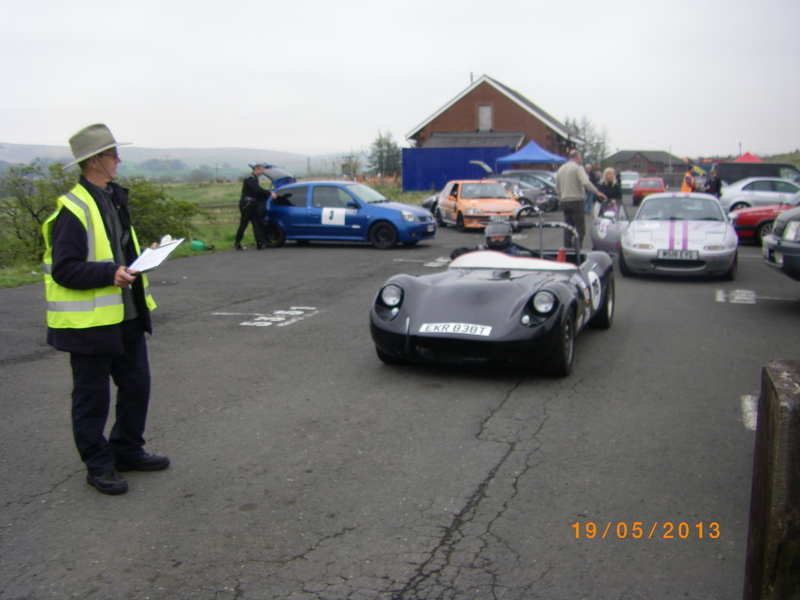 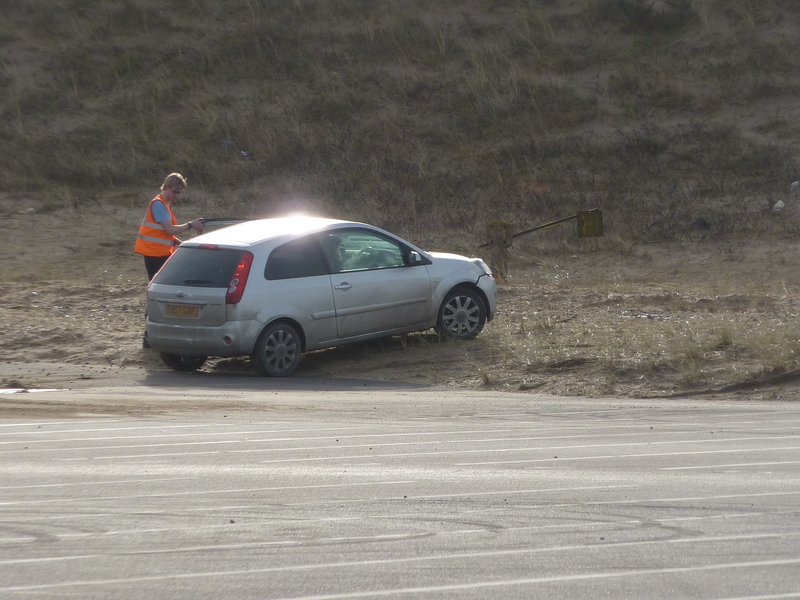 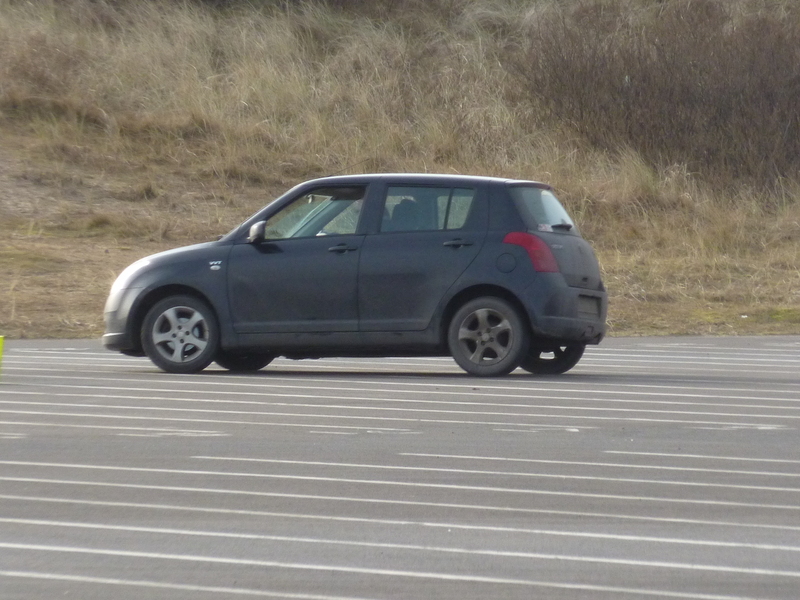 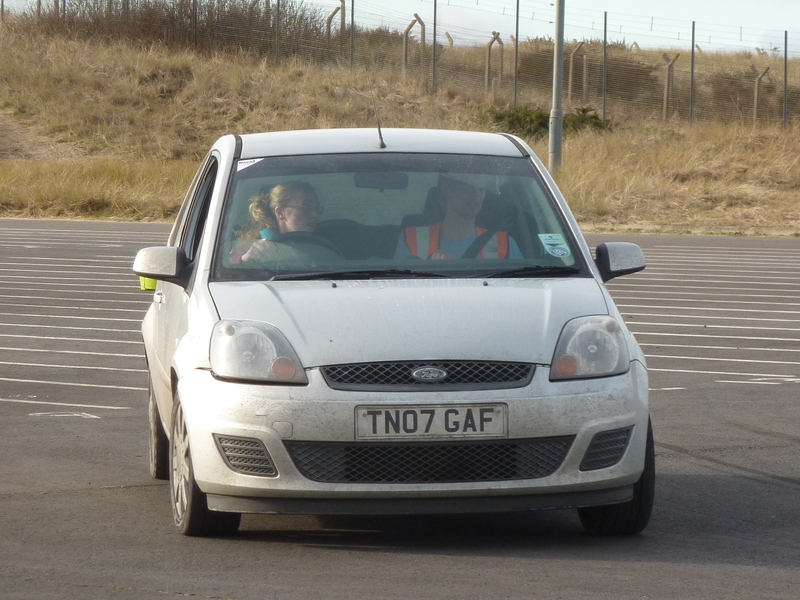 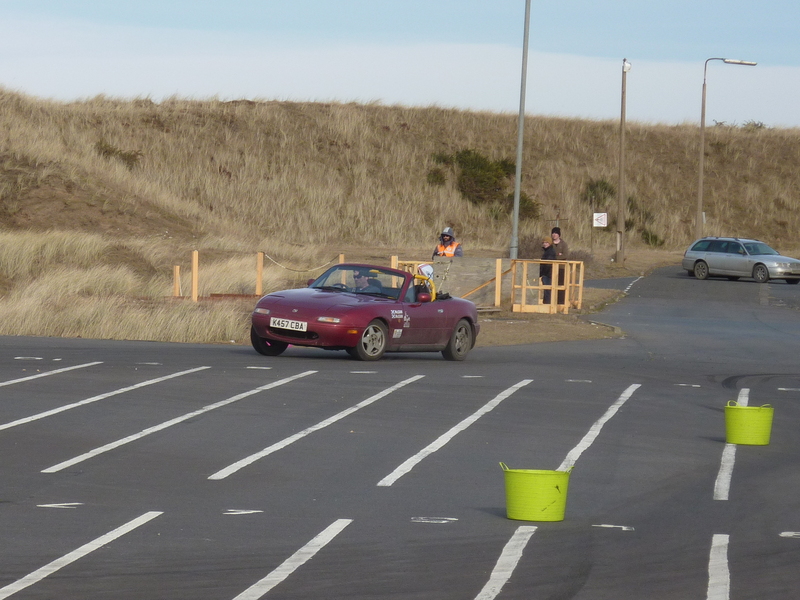 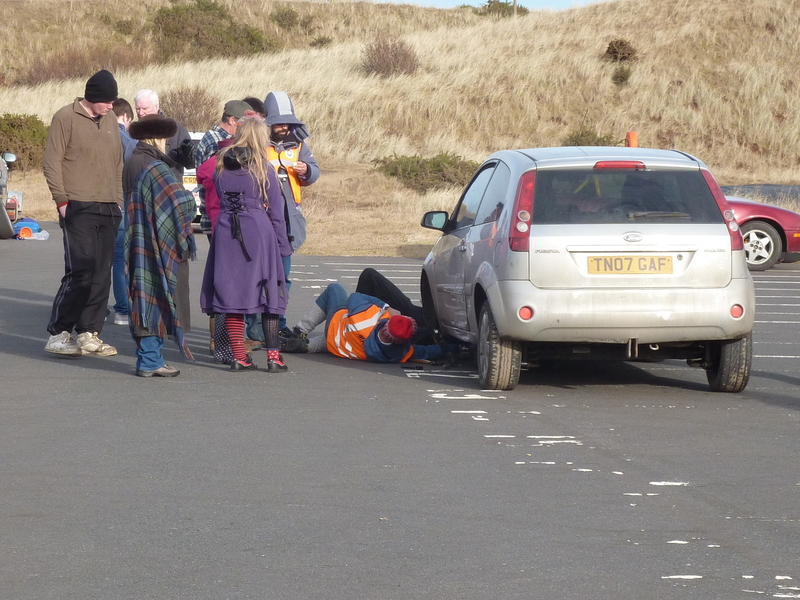 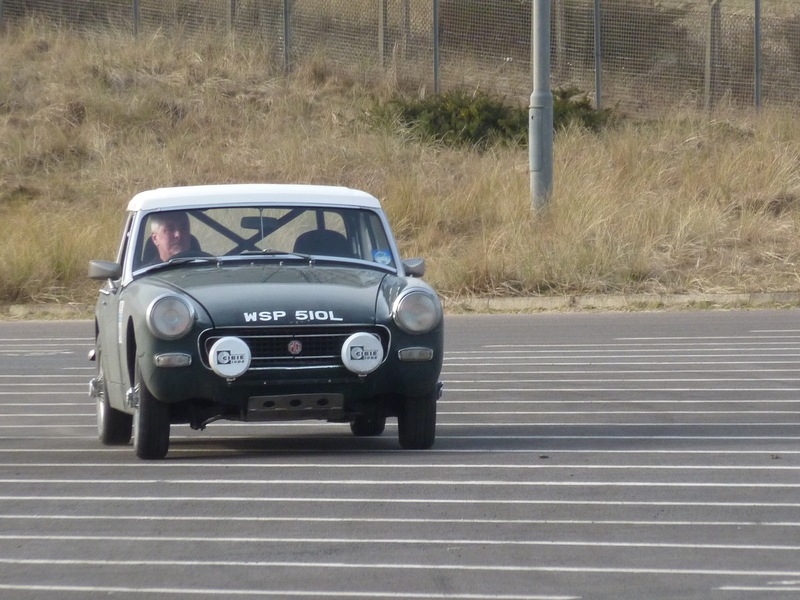 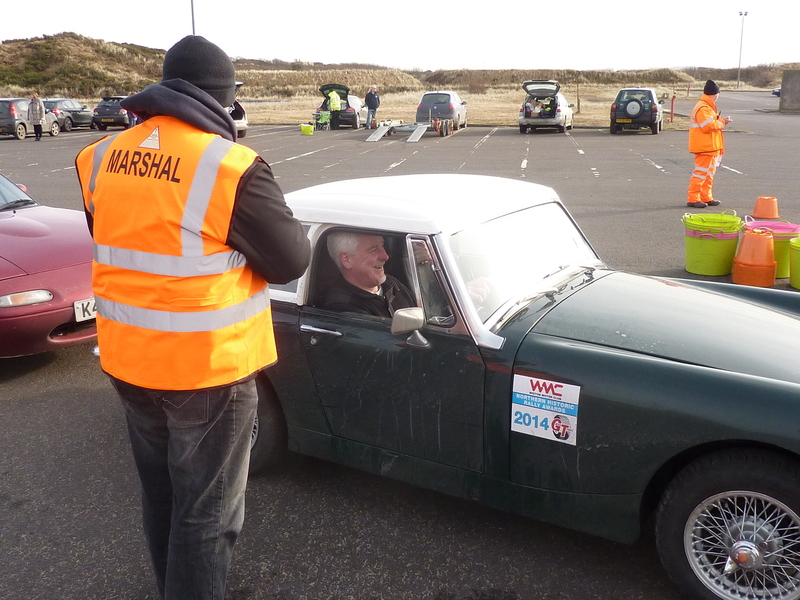 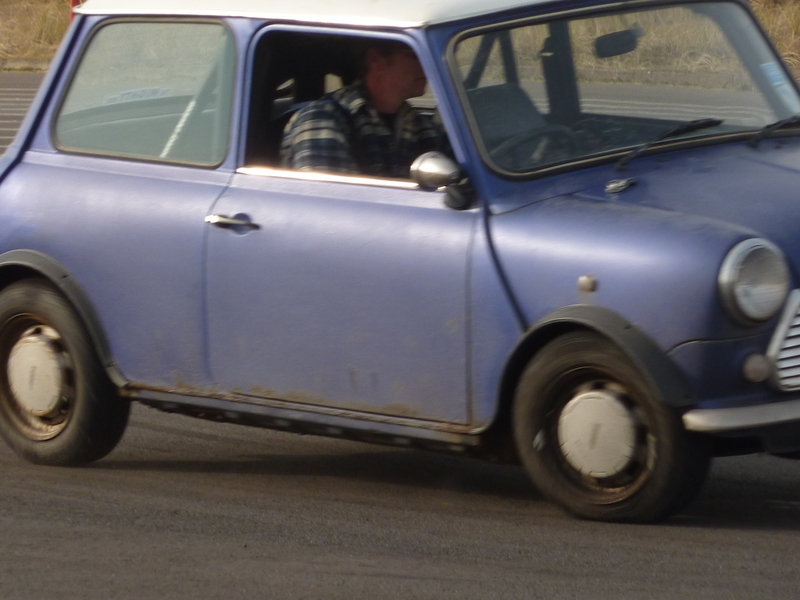 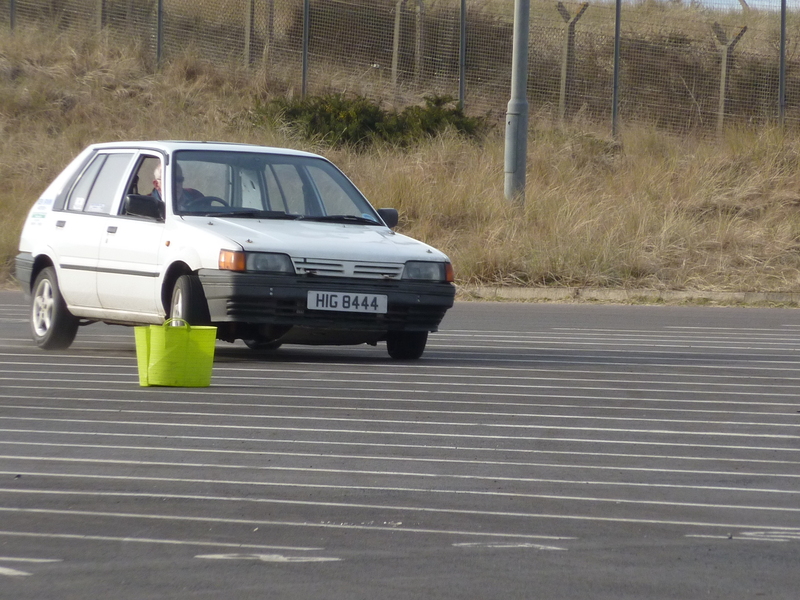 SSCC were out marshalling, with a few well known faces in cars as well. 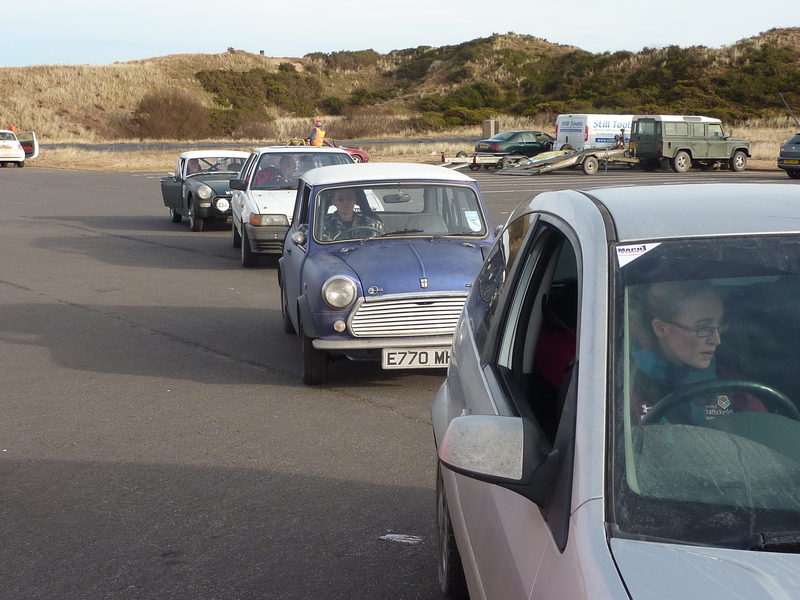 The 6 or so full Historique cars were accompanied by about 20 Classique entrants and another 30-40 heritage run entrants. 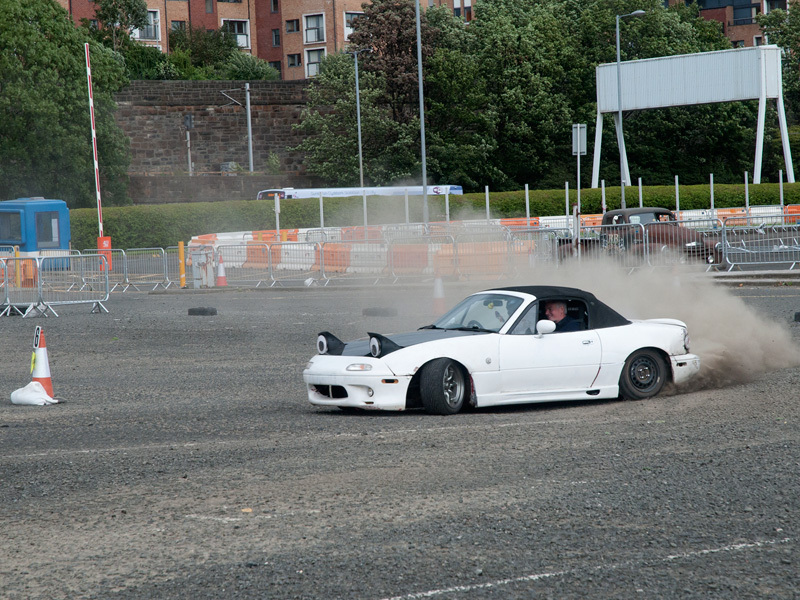 Thanks to Stewart Paton who took these pictures after he was stood down. 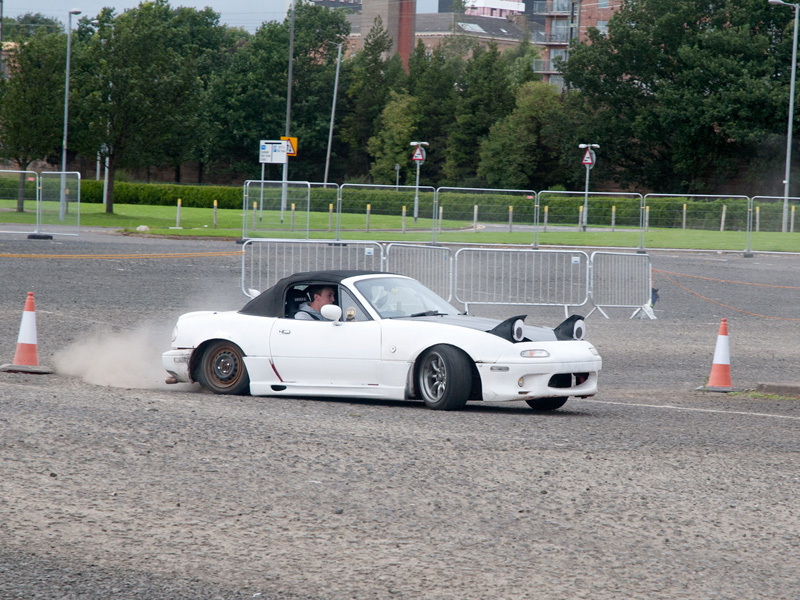 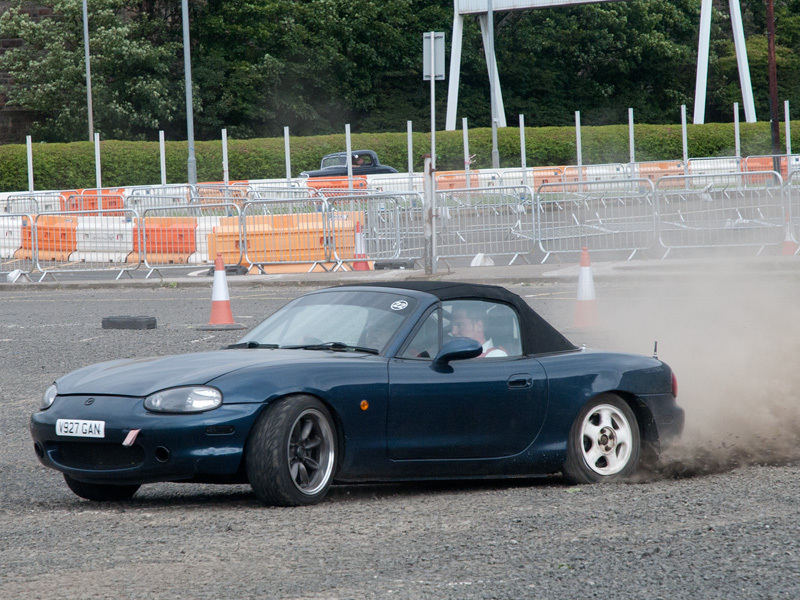 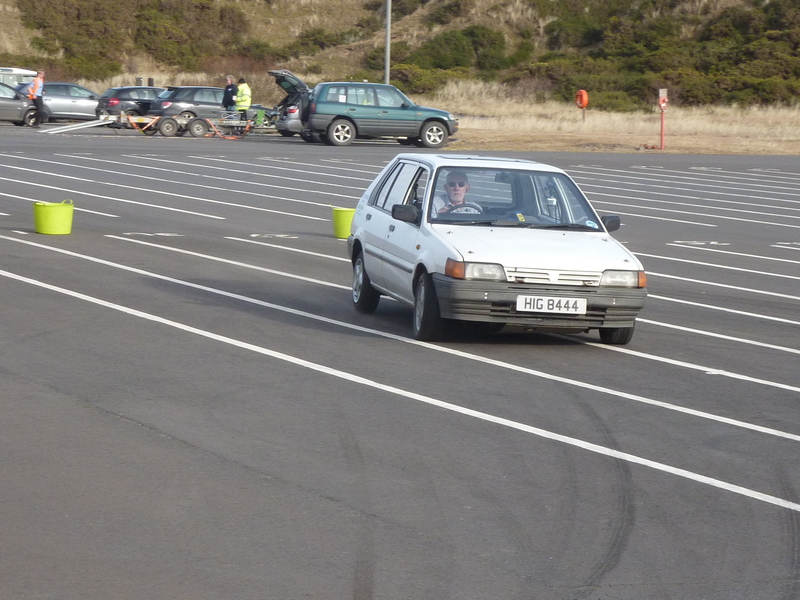 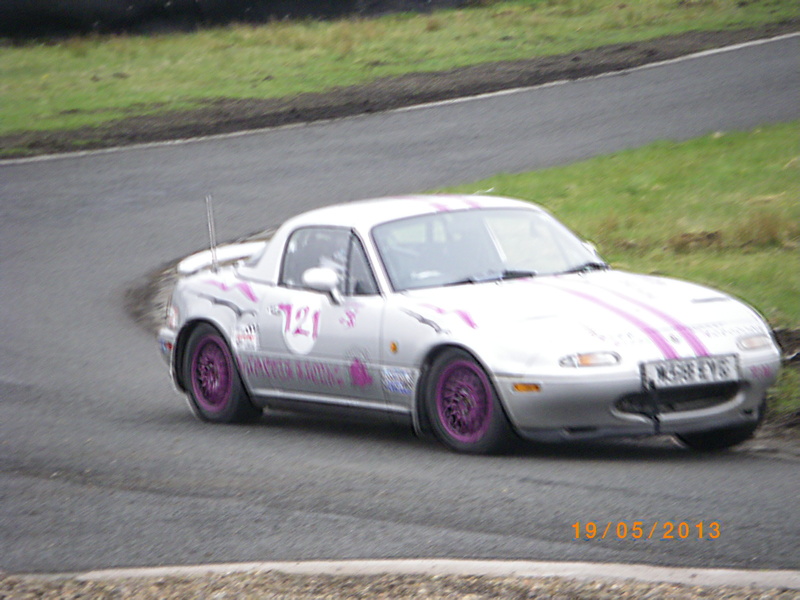 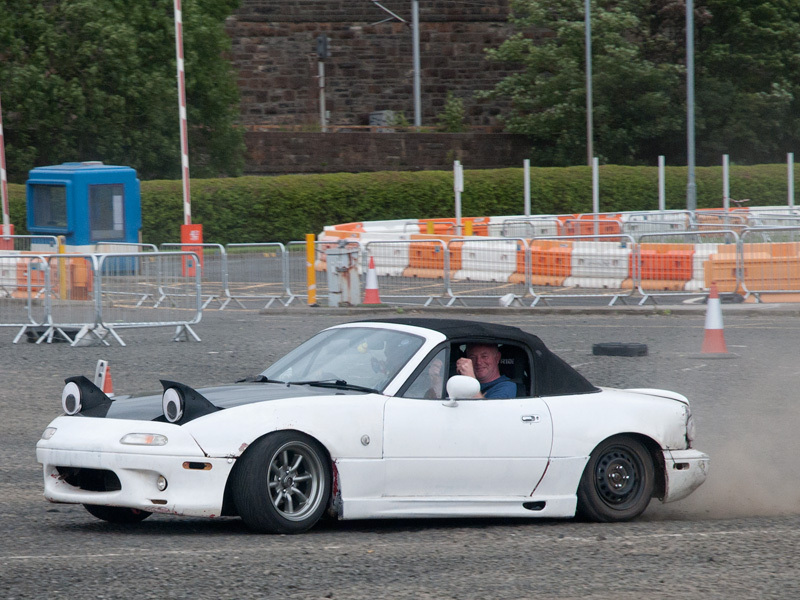 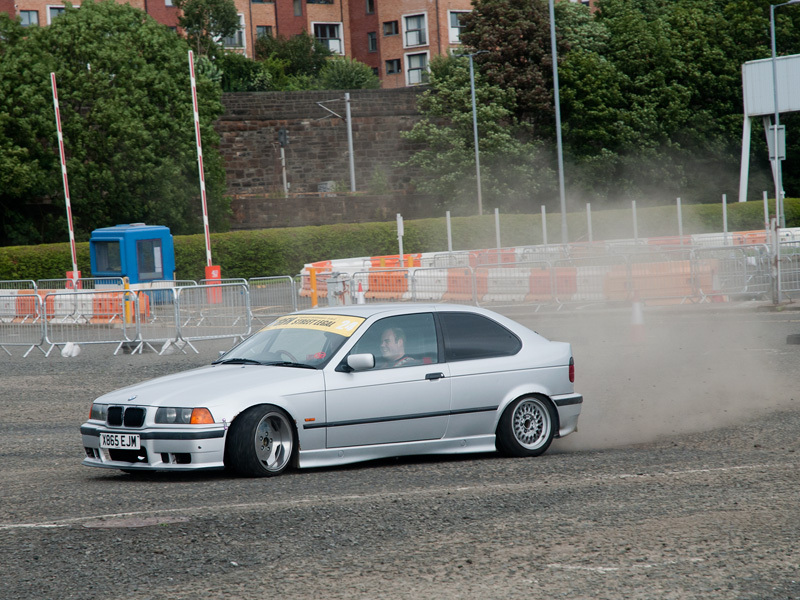 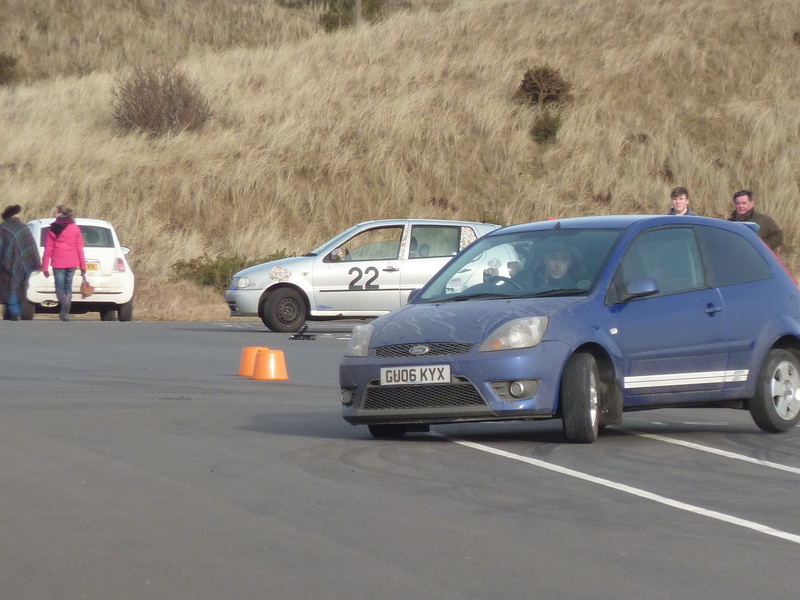 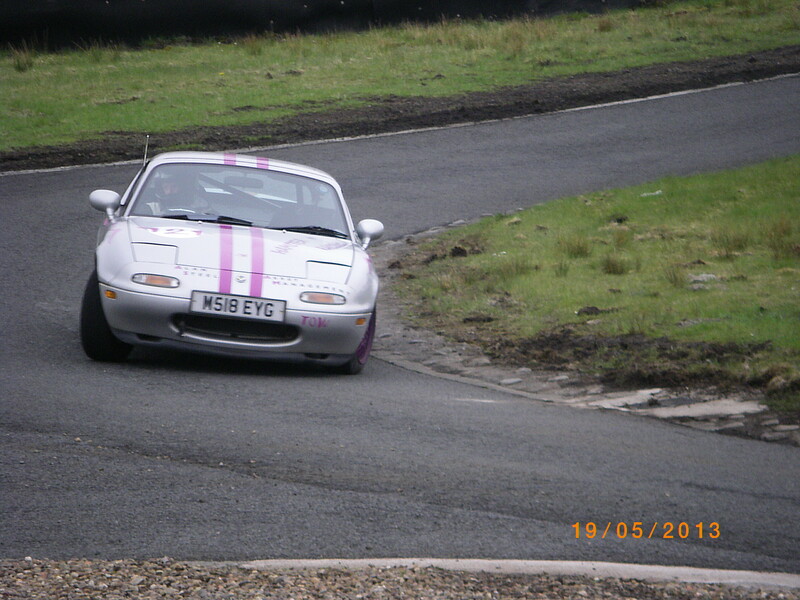 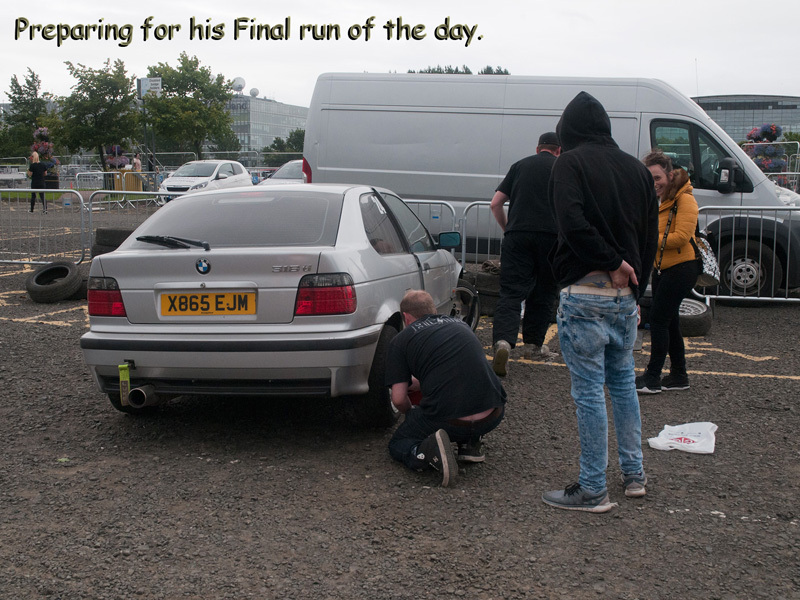 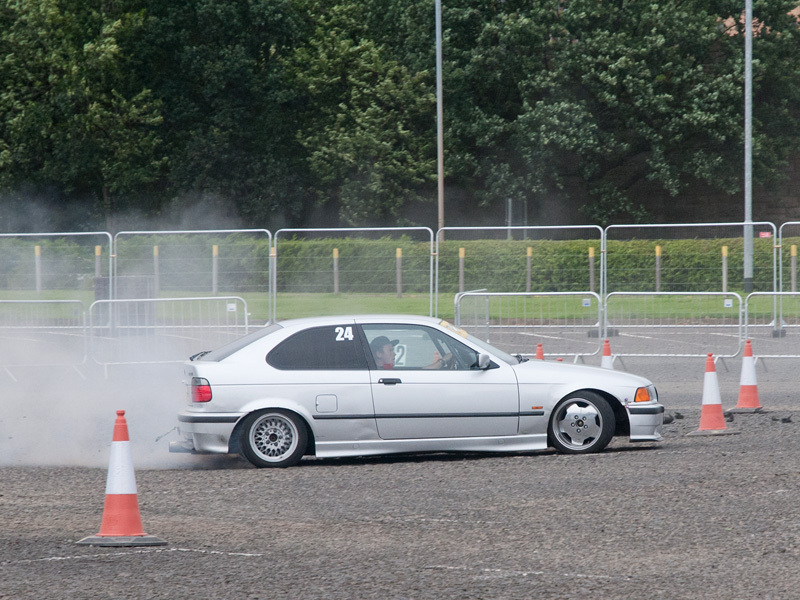 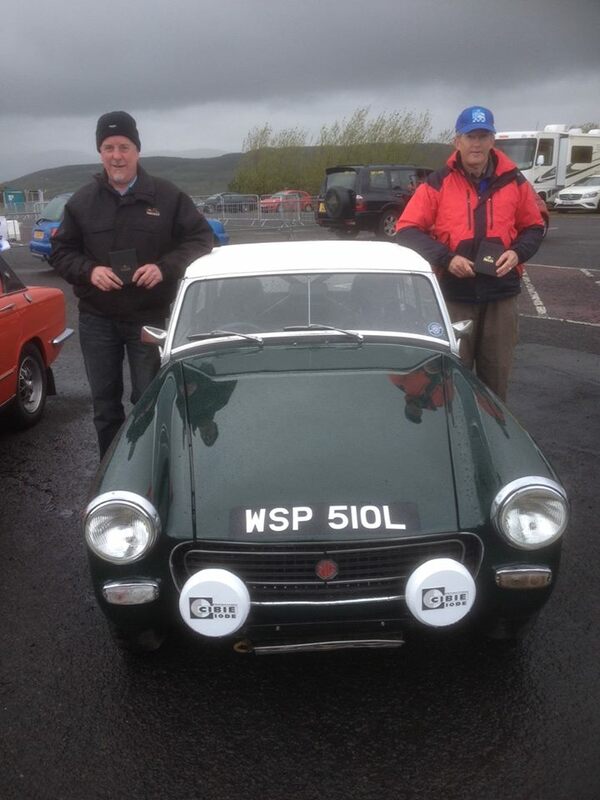 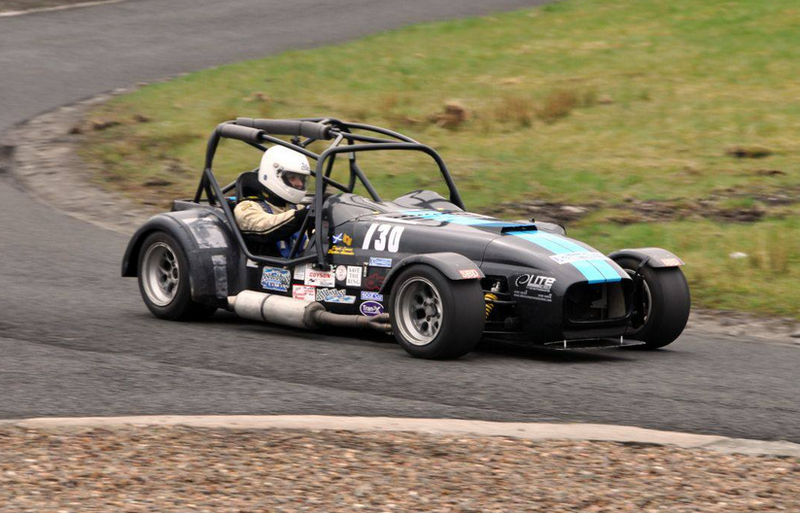 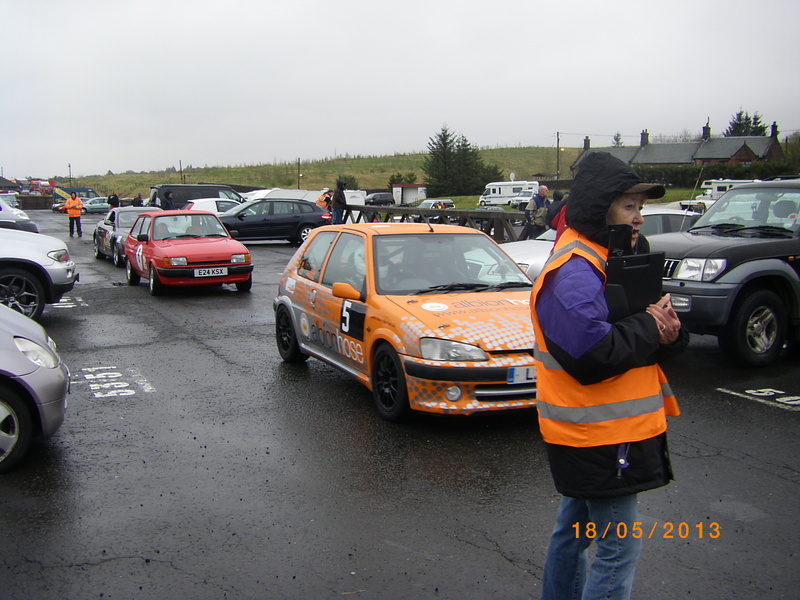 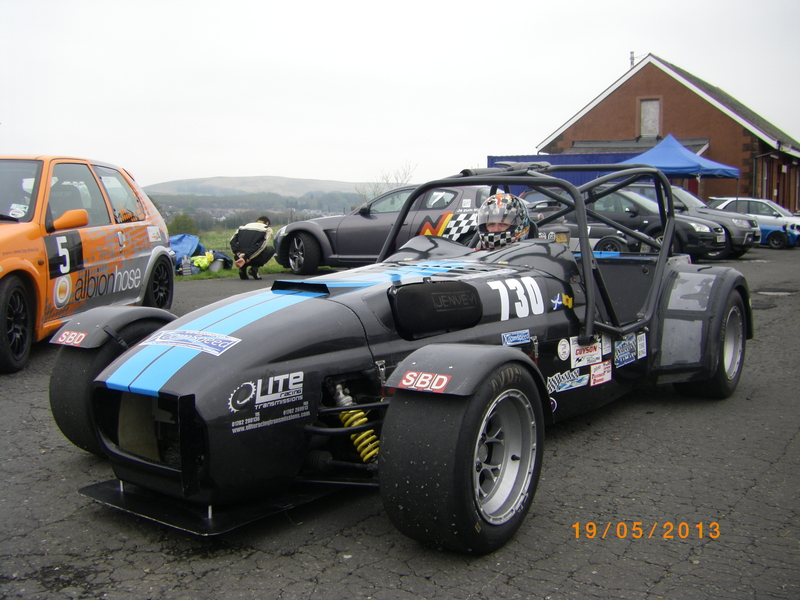 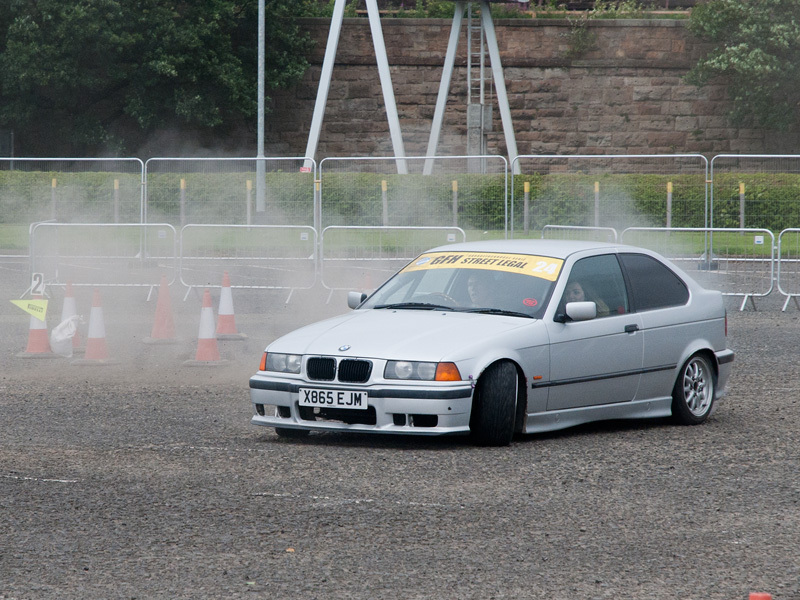 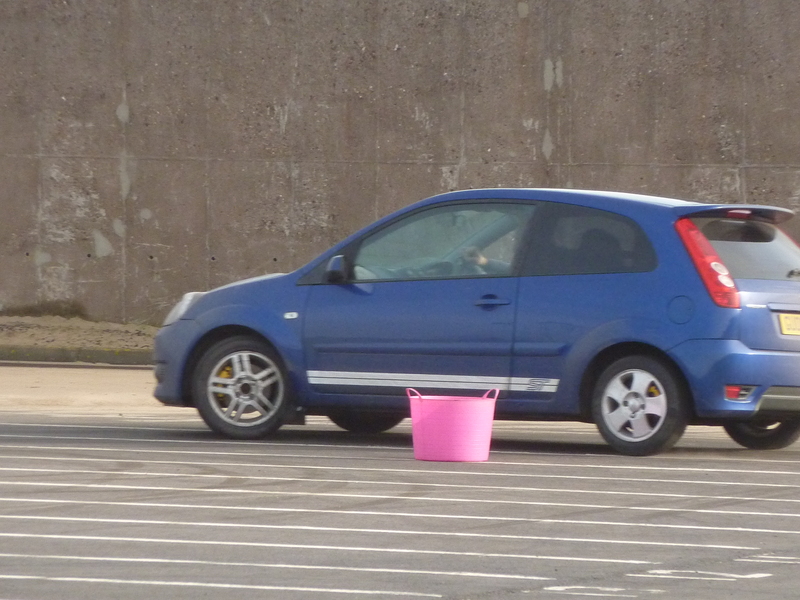 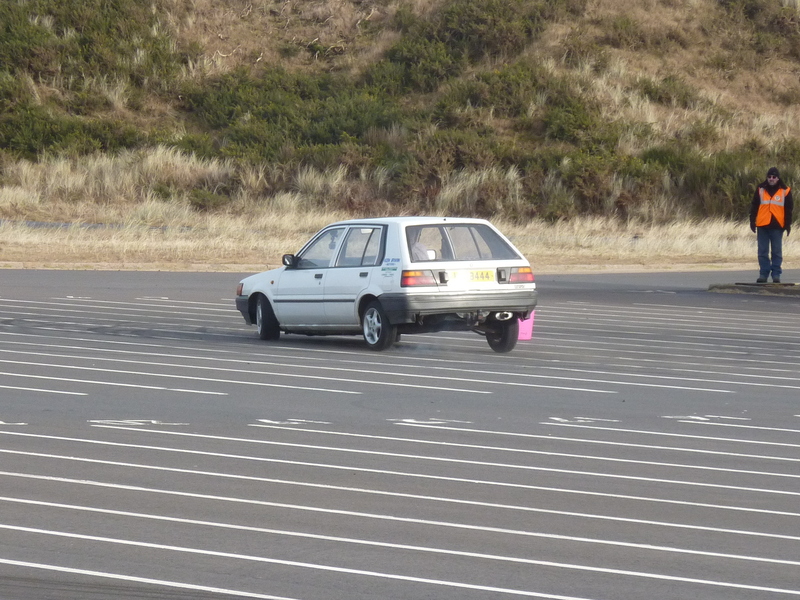 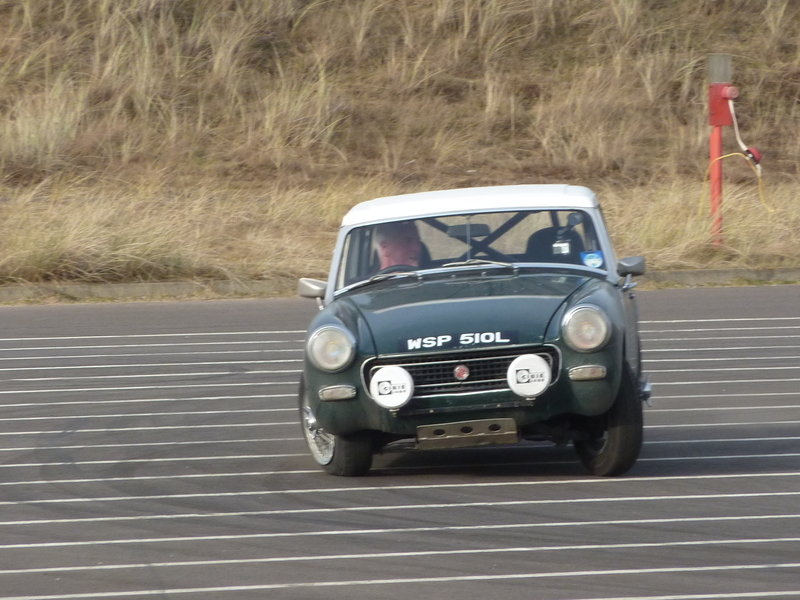 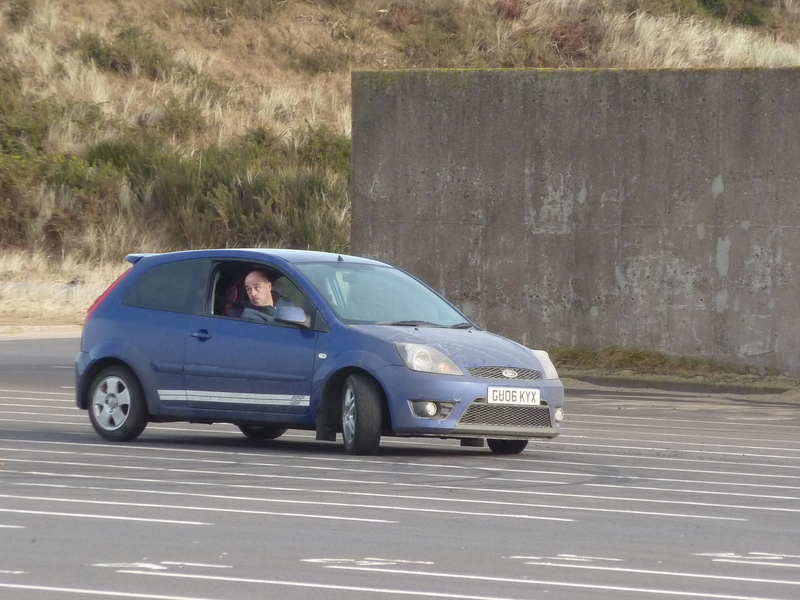 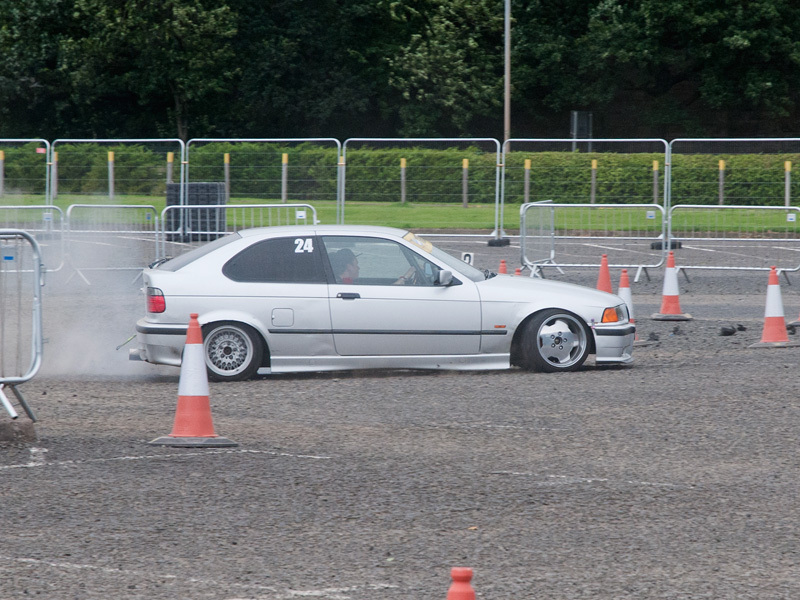 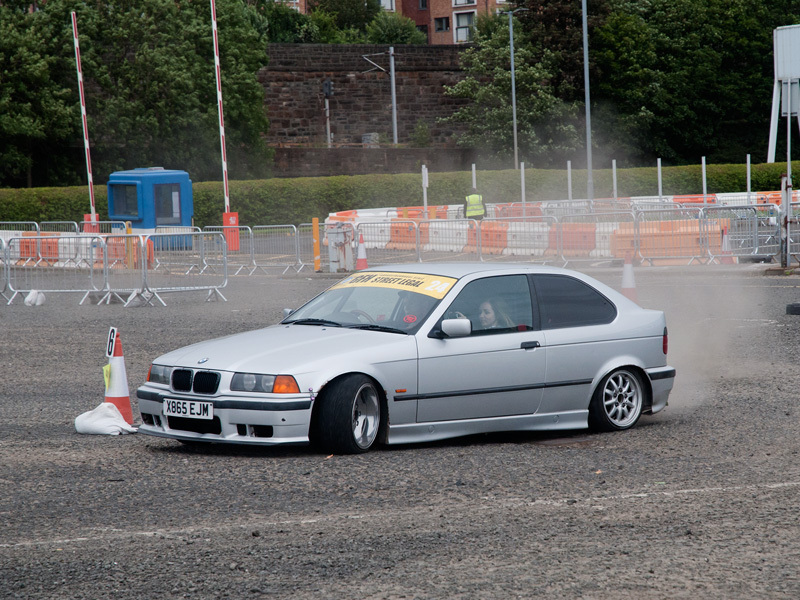 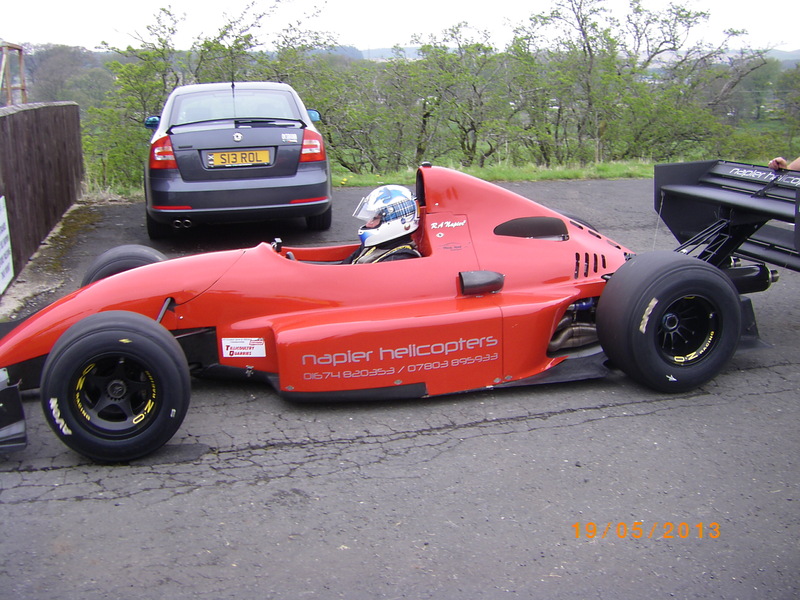 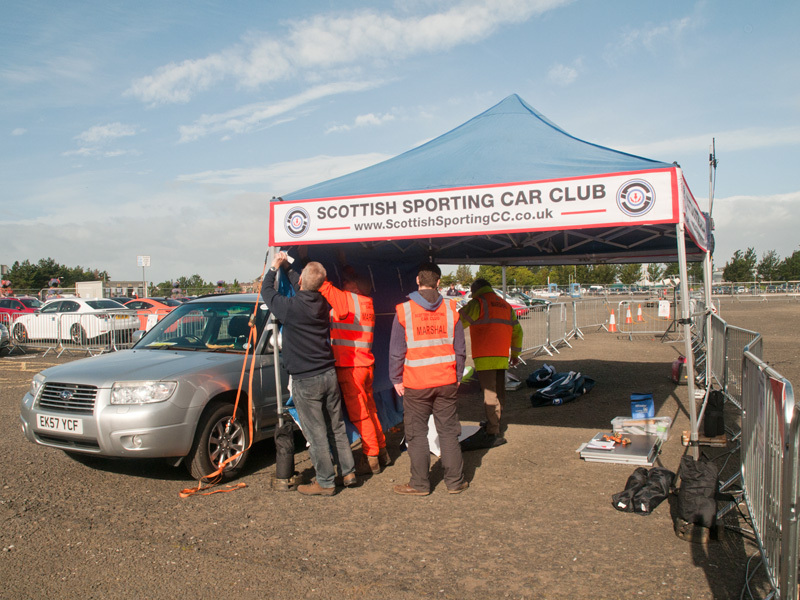 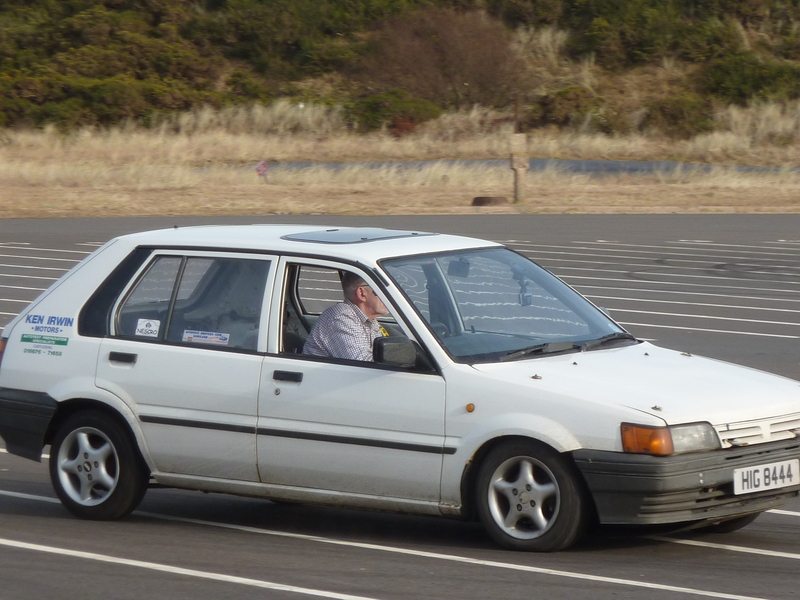 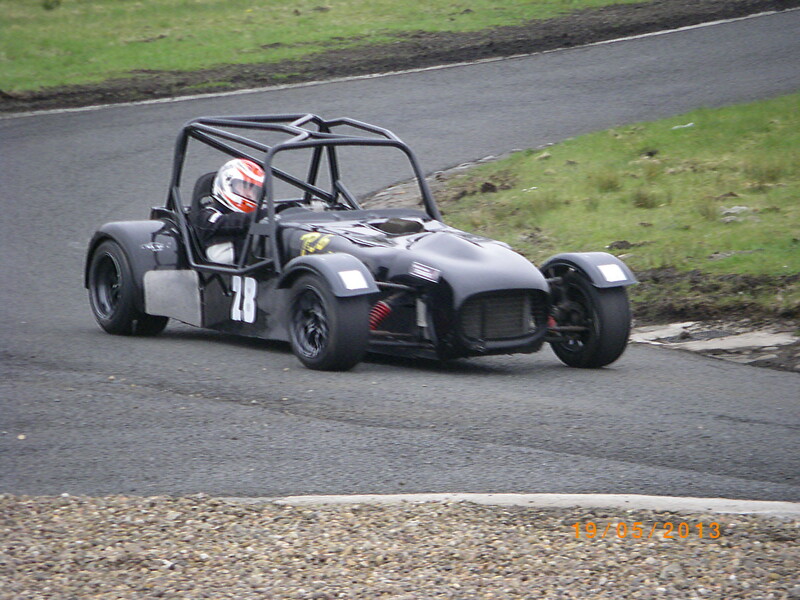 Colin Rose winner of the Saltire Rally Club – Knockhill Rally Shoot Out. 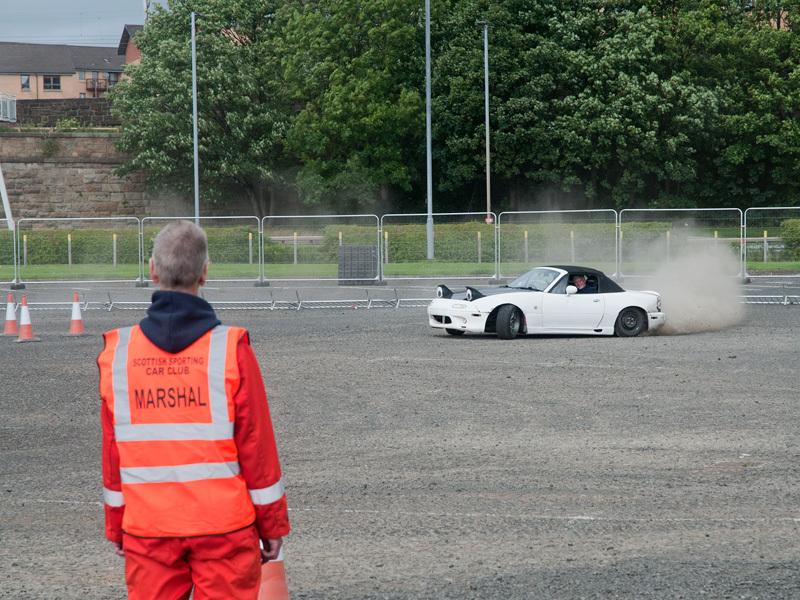 Pete Weall in one of the best seats in the house! 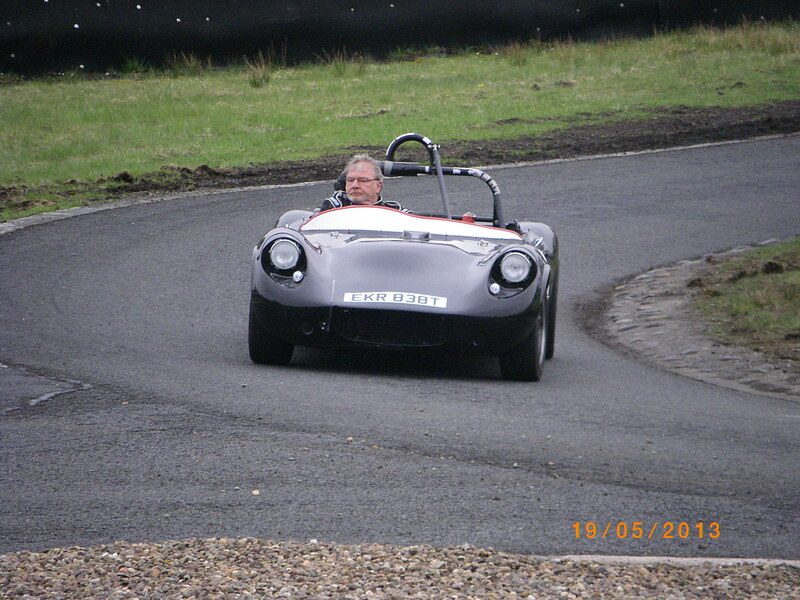 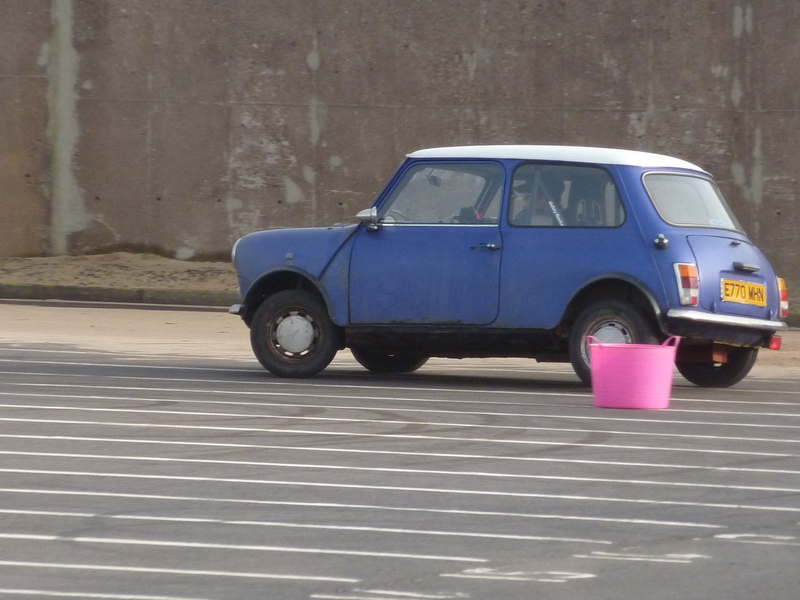 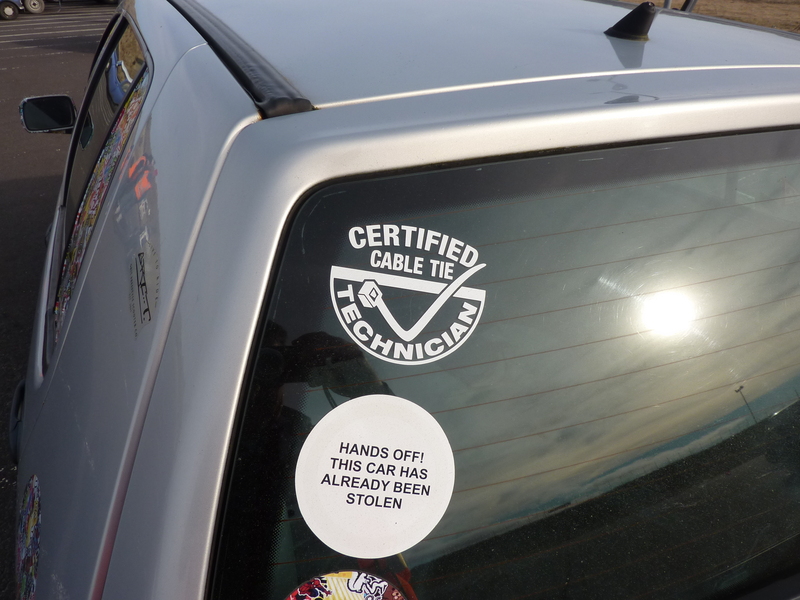 Bruce sent me this picture – I don’t think it was taken last year…. 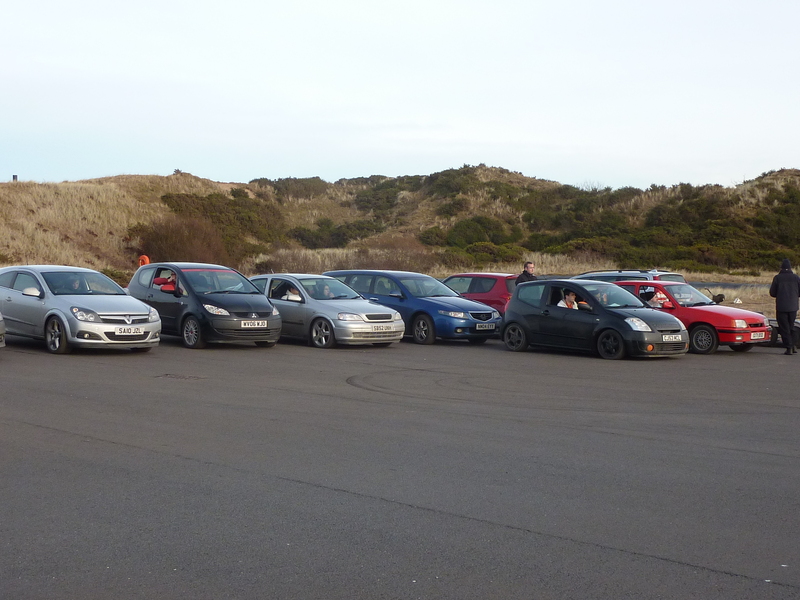 Some young things having fun! 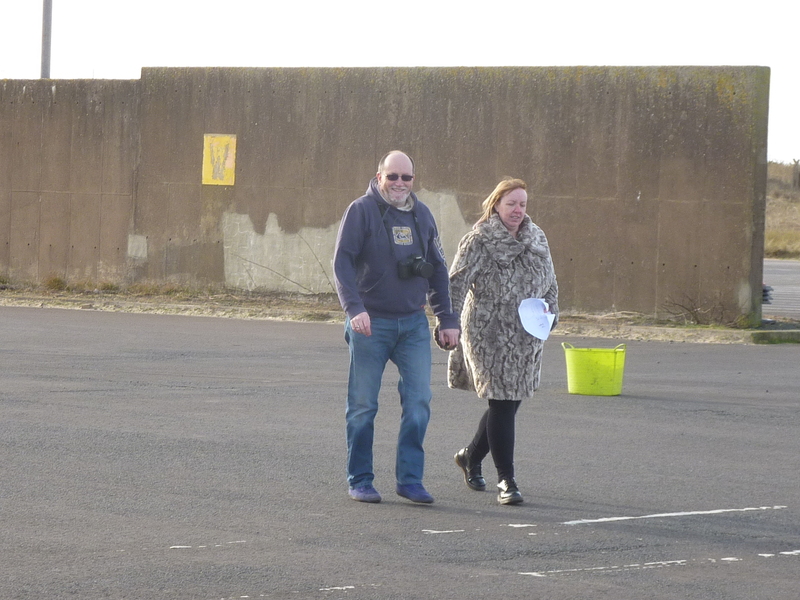 The Mays were out having fun, assisted by David Halley on spanners and bacon butties. 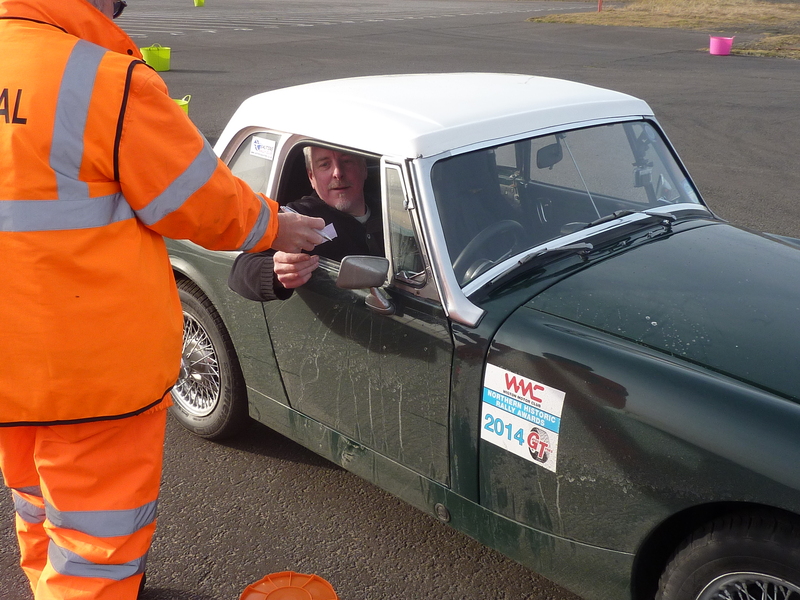 Finished 36th o/a, 3rd in class. 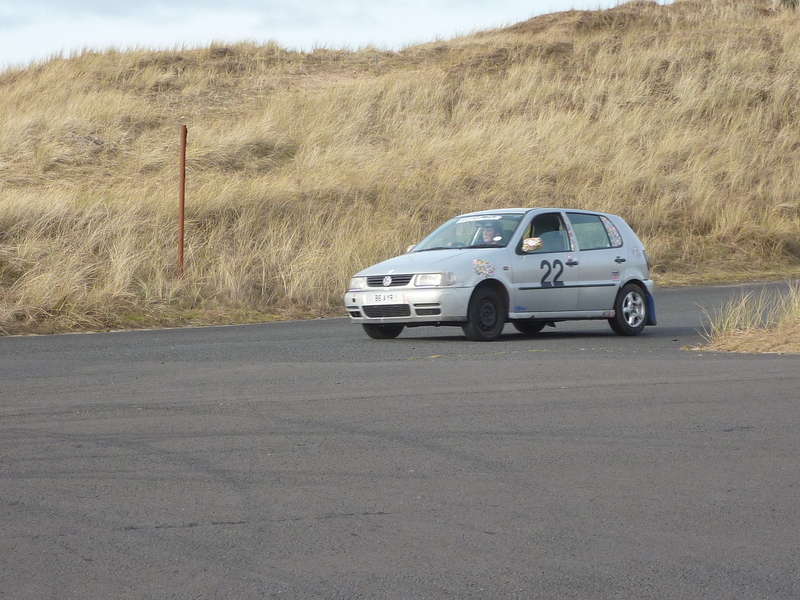 ONE of Scotland’s fastest rising young female rally drivers is bracing herself for her next big challenge after recording a Scottish Rally Championships placing in her first ever event. 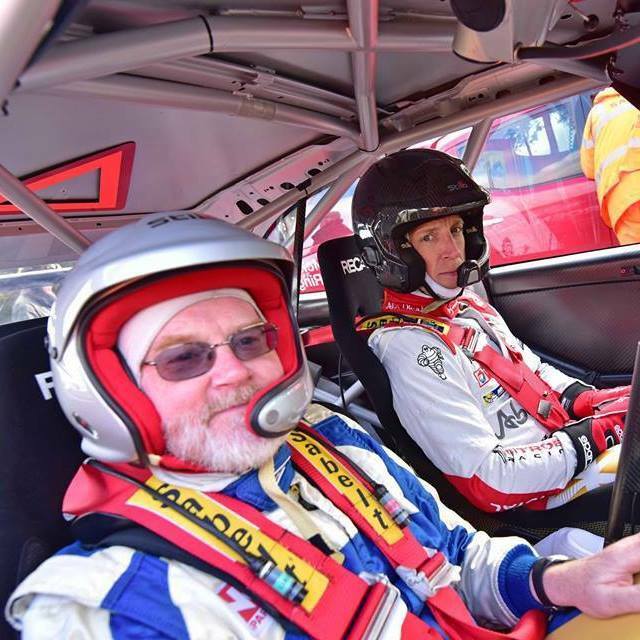 DRIVE: Caroline Carslaw is one of the fastest rising female rally drivers in Scotland, after coming second in her first Scottish Rally Championship event. 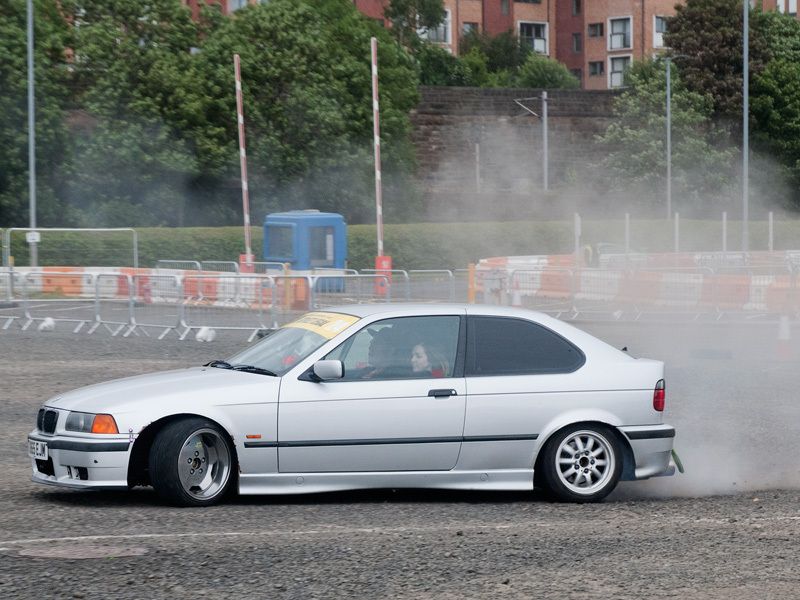 Picture: Jamie Simpson. 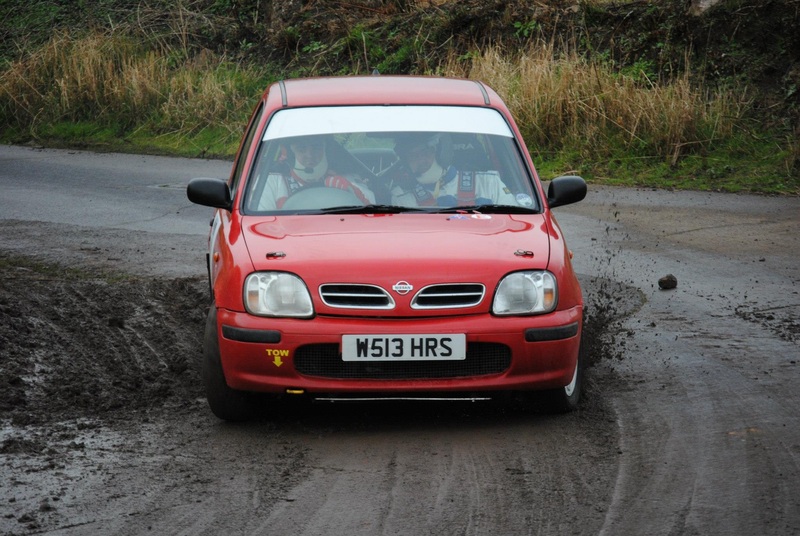 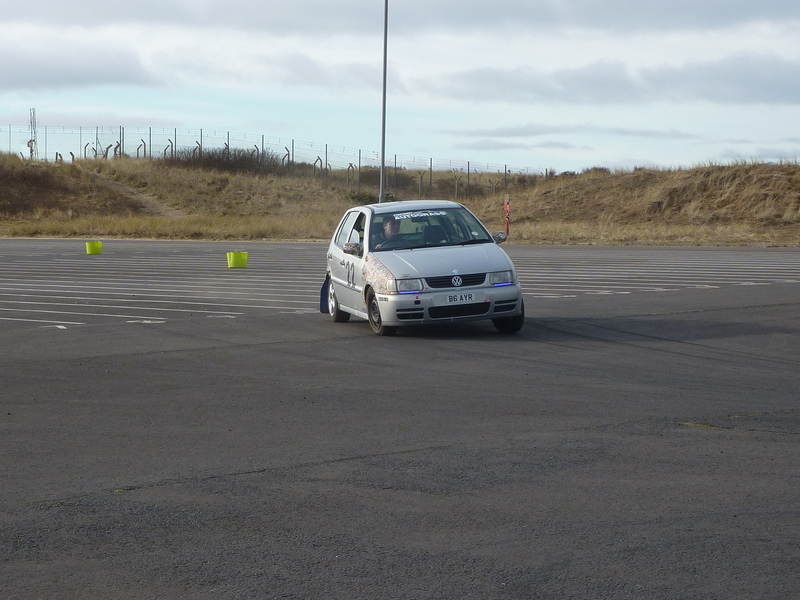 Student Caroline Carslaw, 20, from Ayrshire, only started rally driving in November but is now limbering up for a second top flight national championship run after finishing second in class in the Borders counties rally last month. 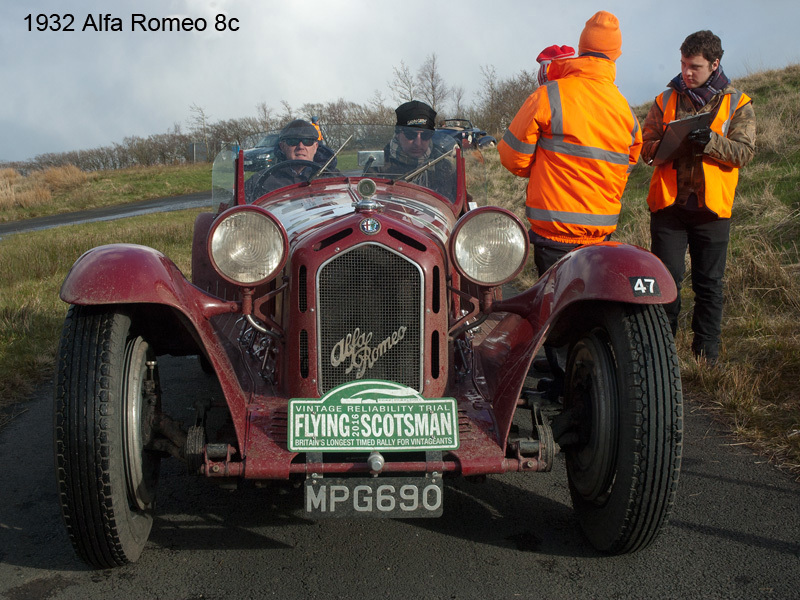 She was one of only two women in the race and the only Scotswoman to take part out of 91 drivers. 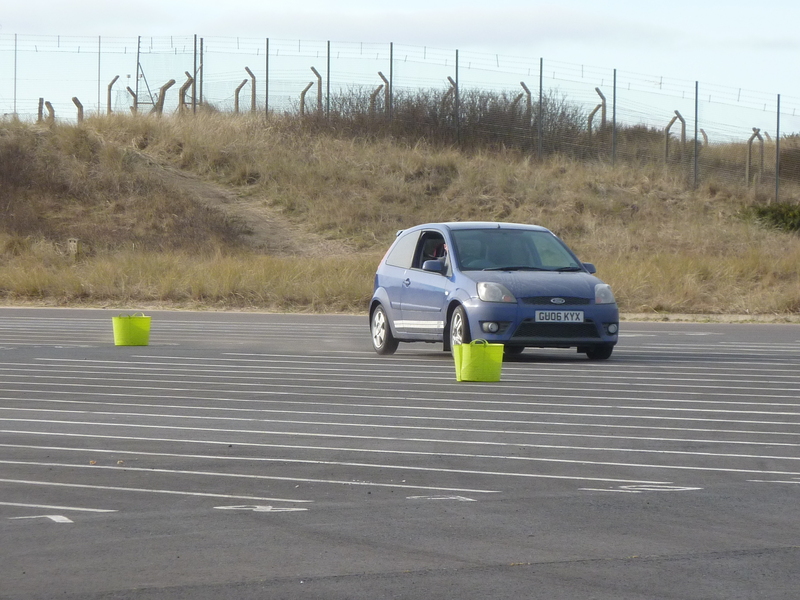 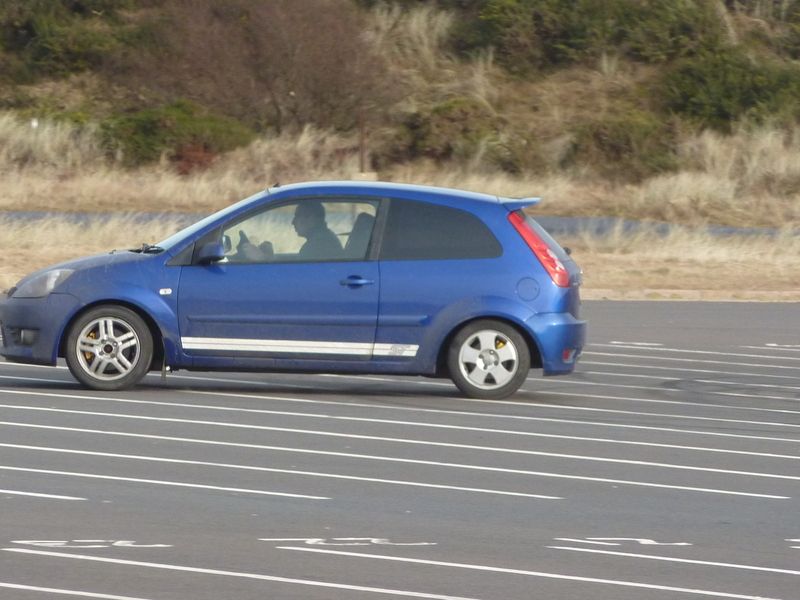 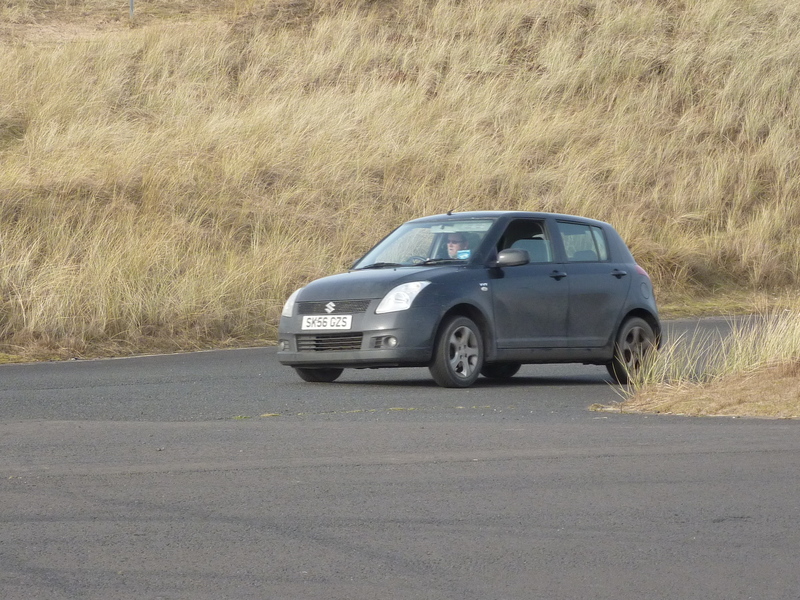 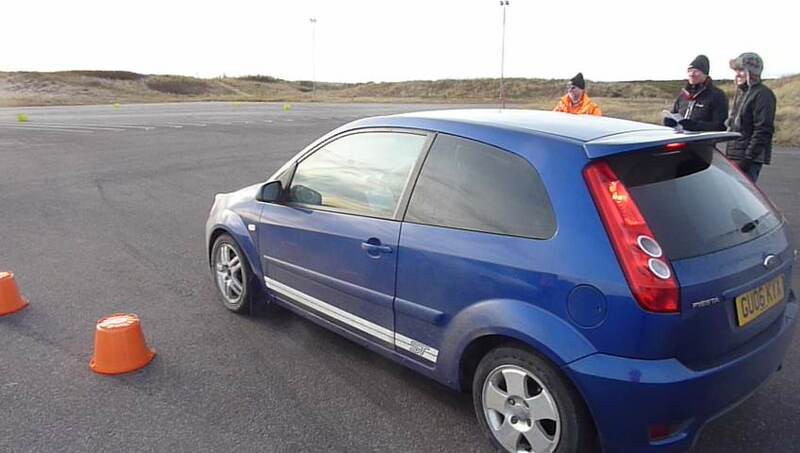 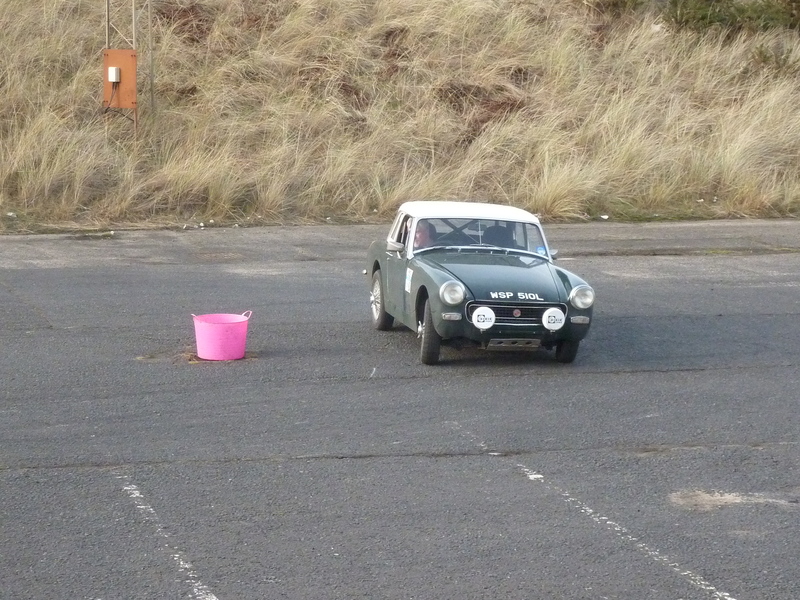 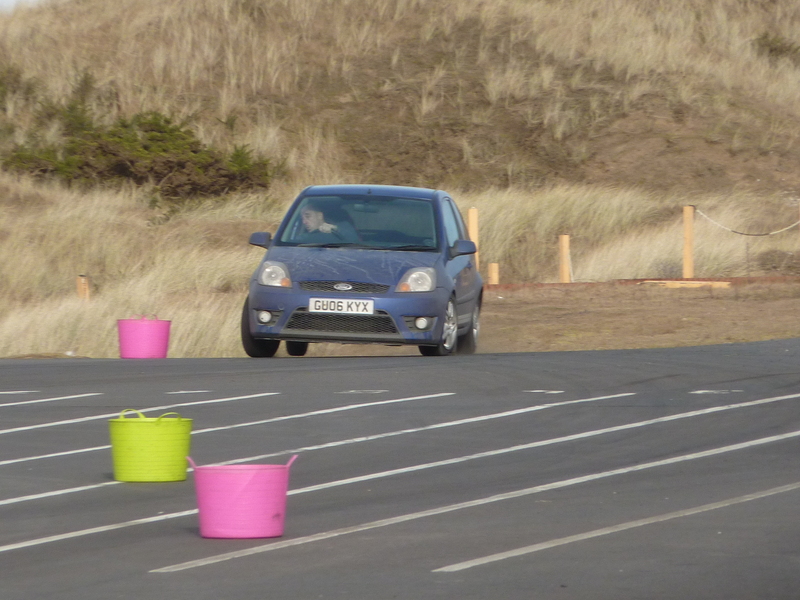 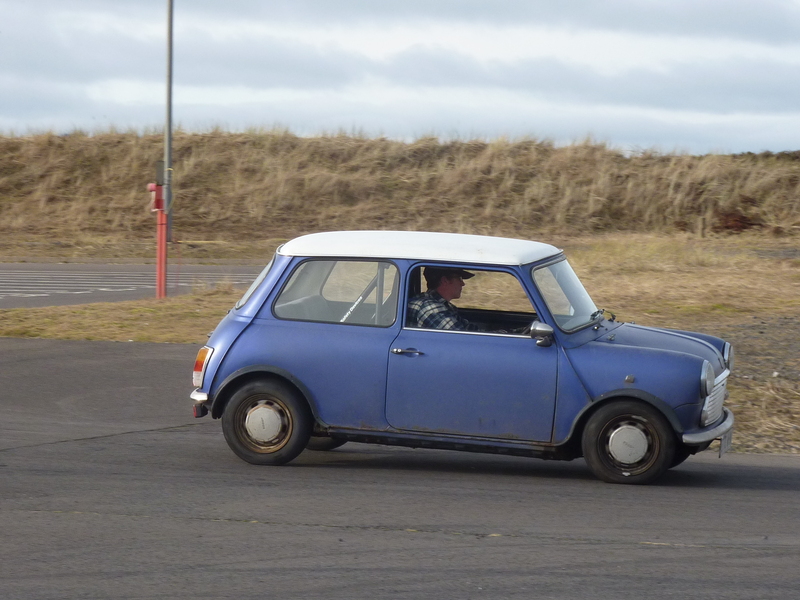 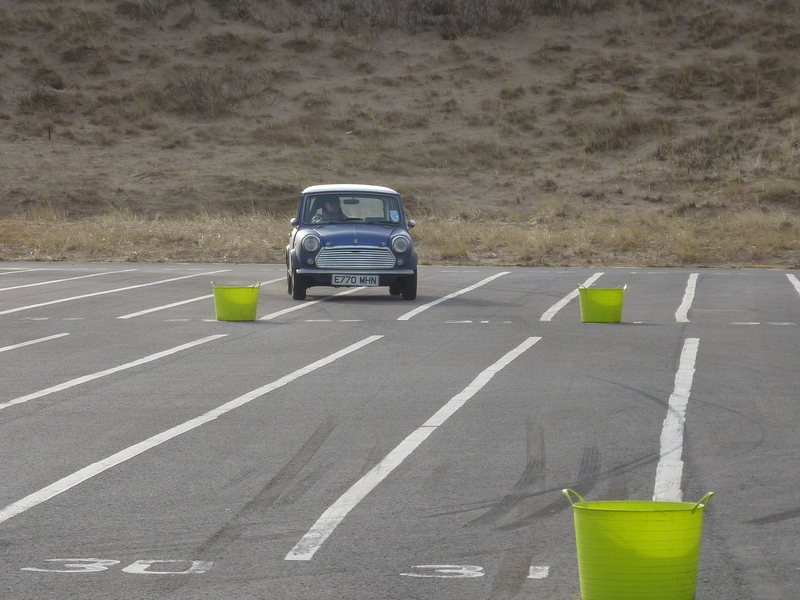 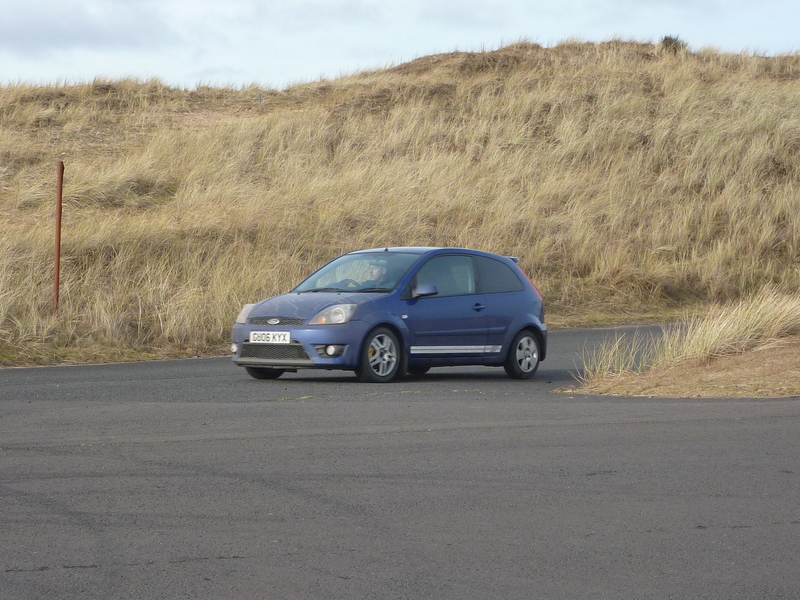 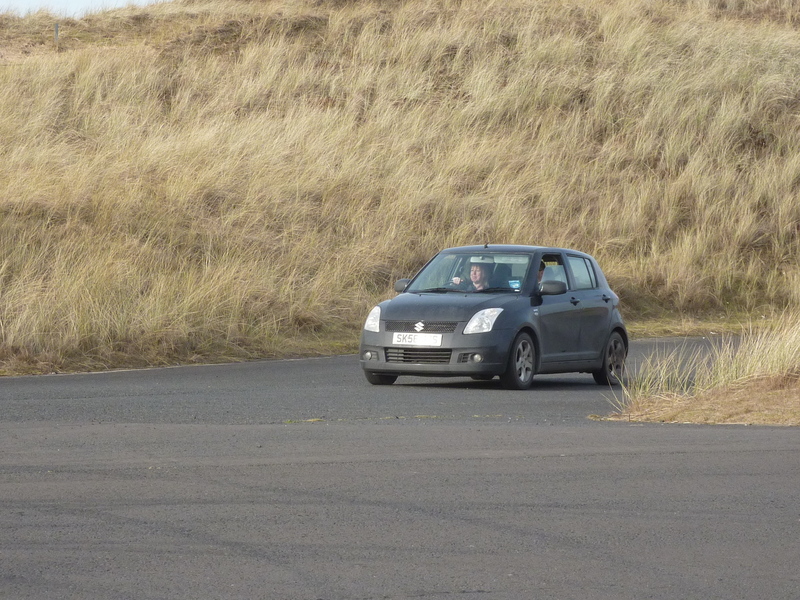 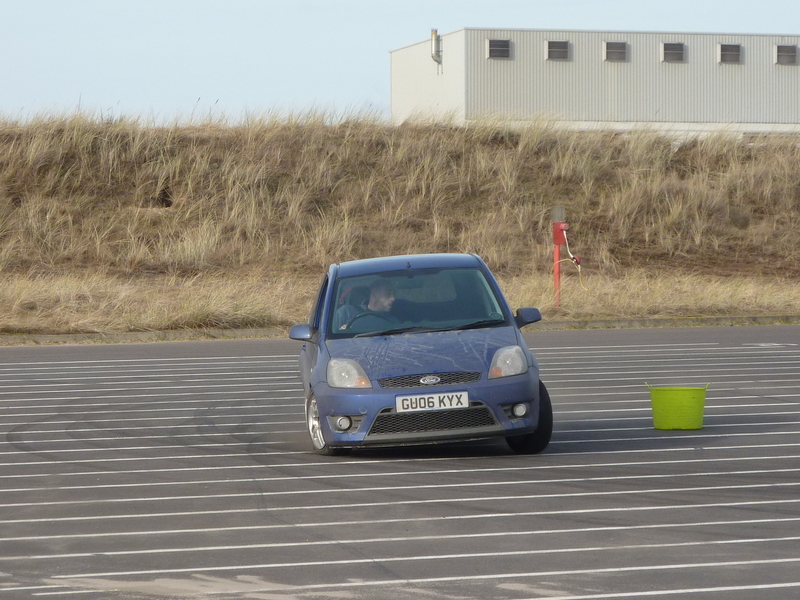 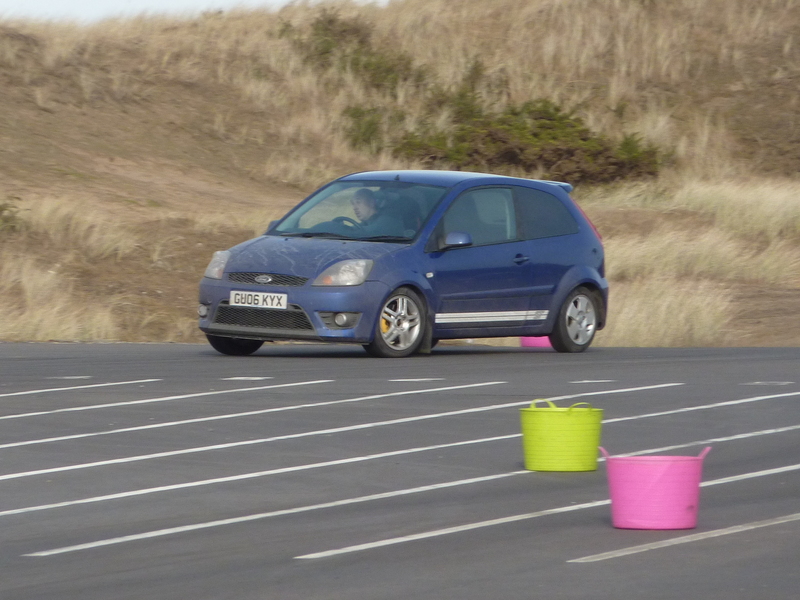 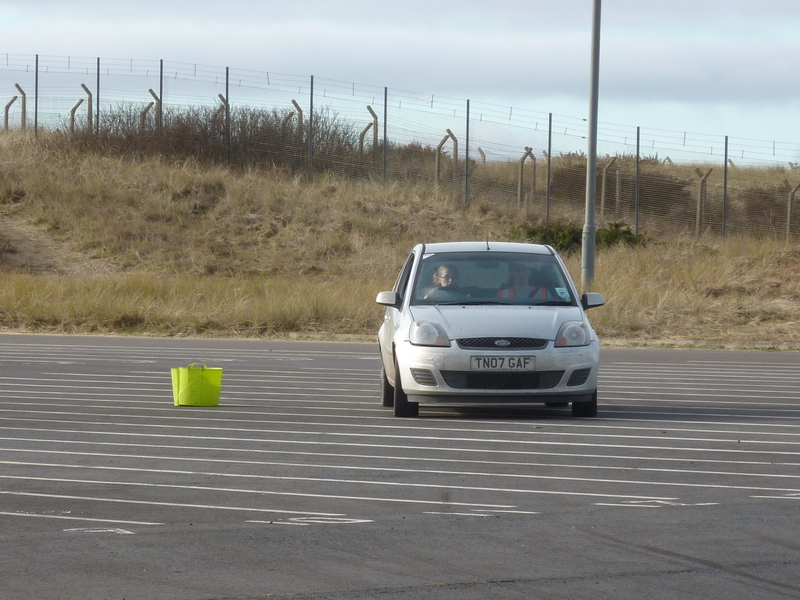 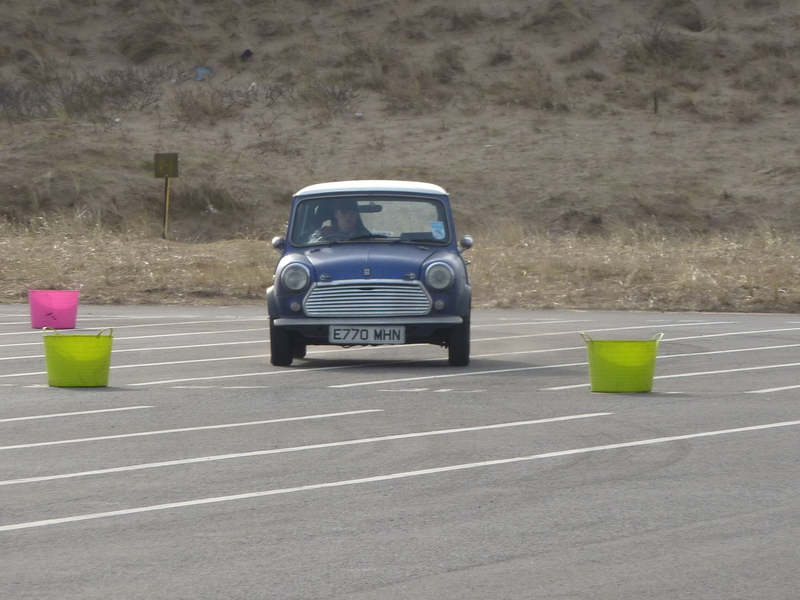 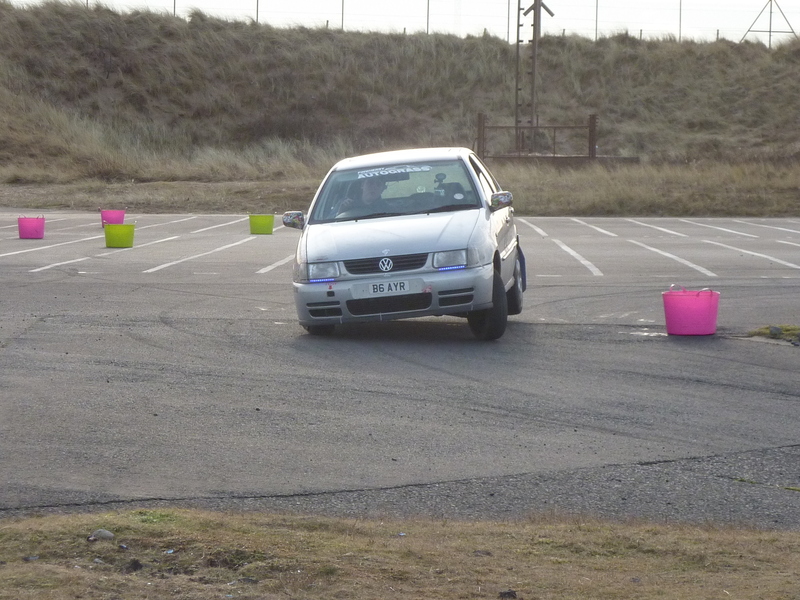 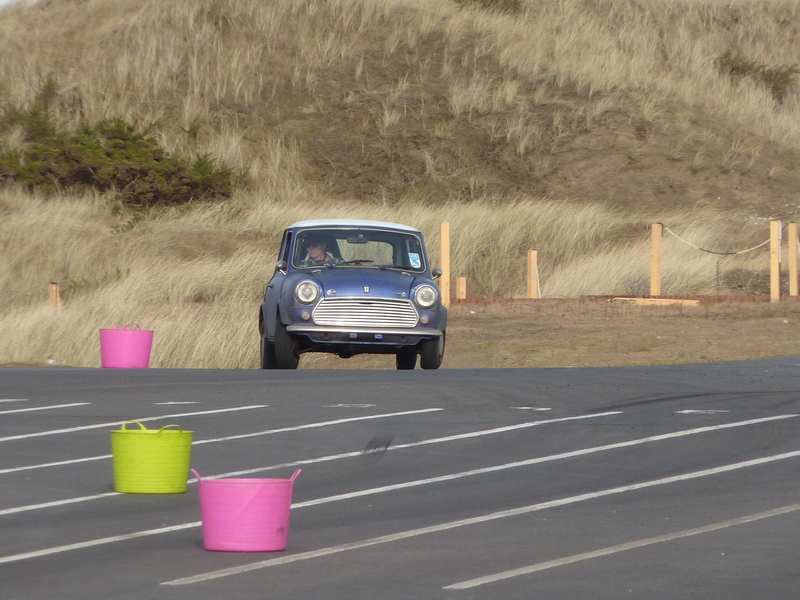 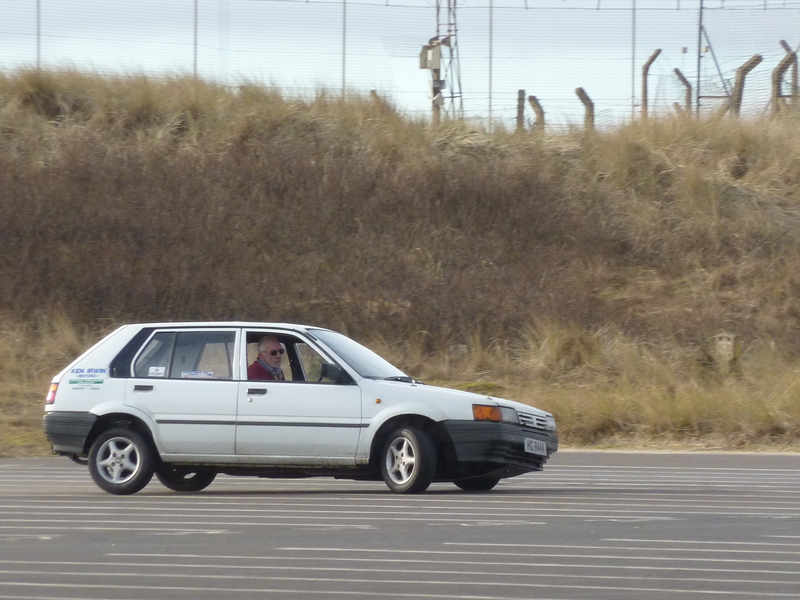 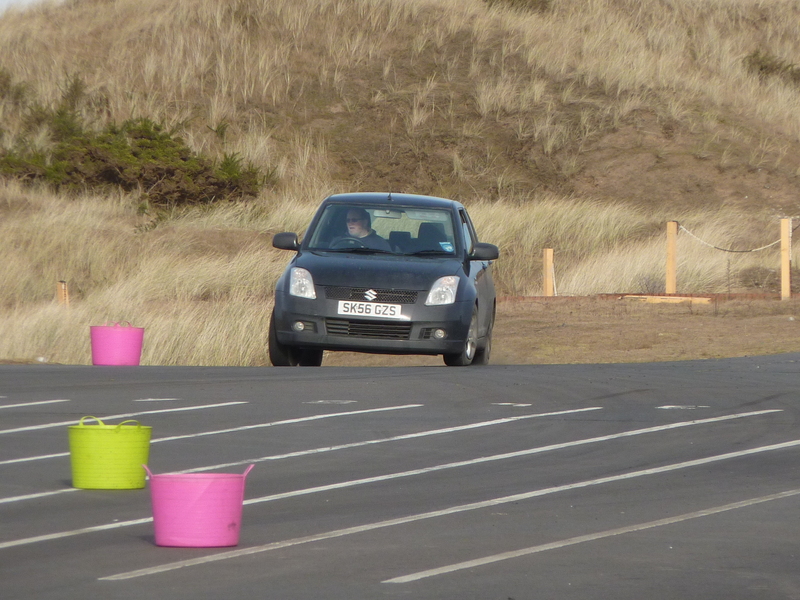 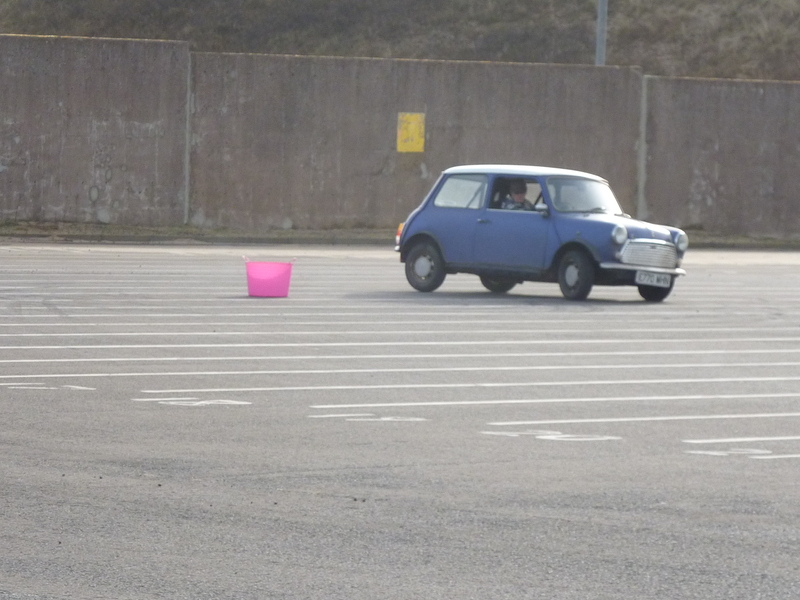 Carslaw managed to impress the Knockhill driving test team so much with her skills last year that she passed her rally licence qualifications on her first attempt. 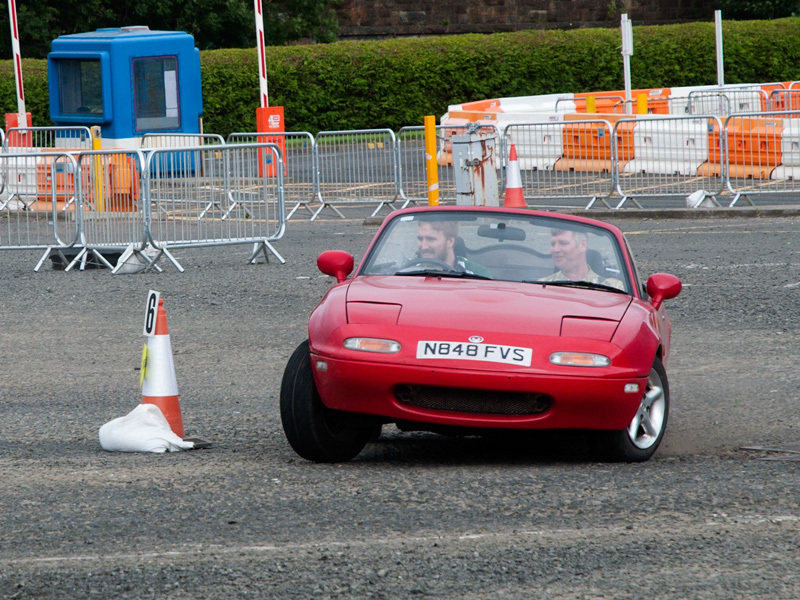 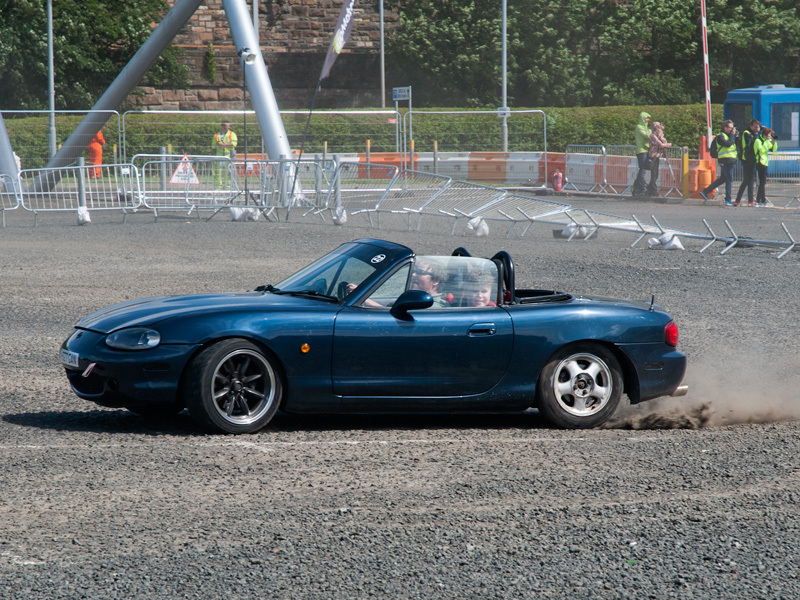 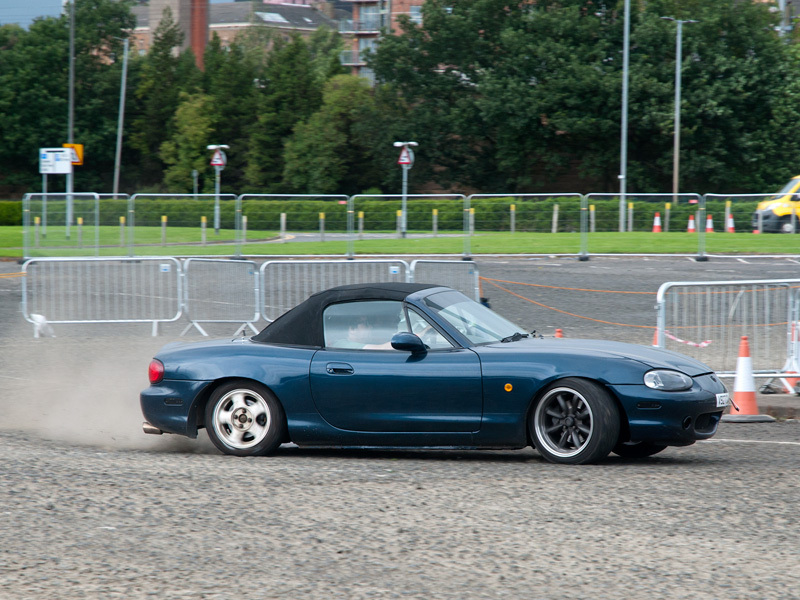 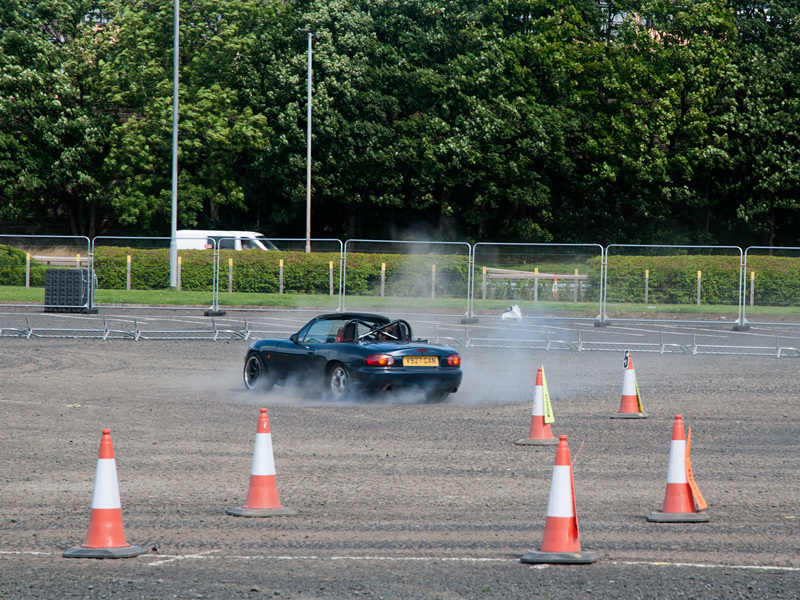 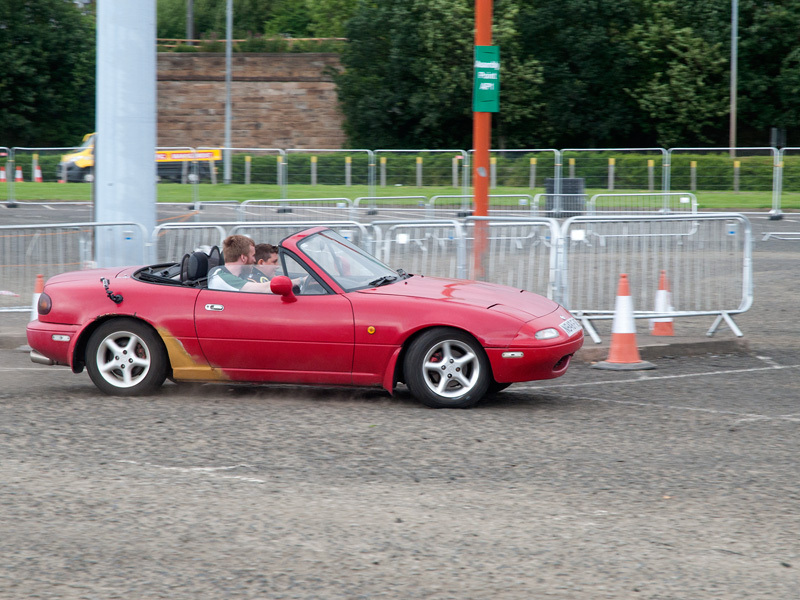 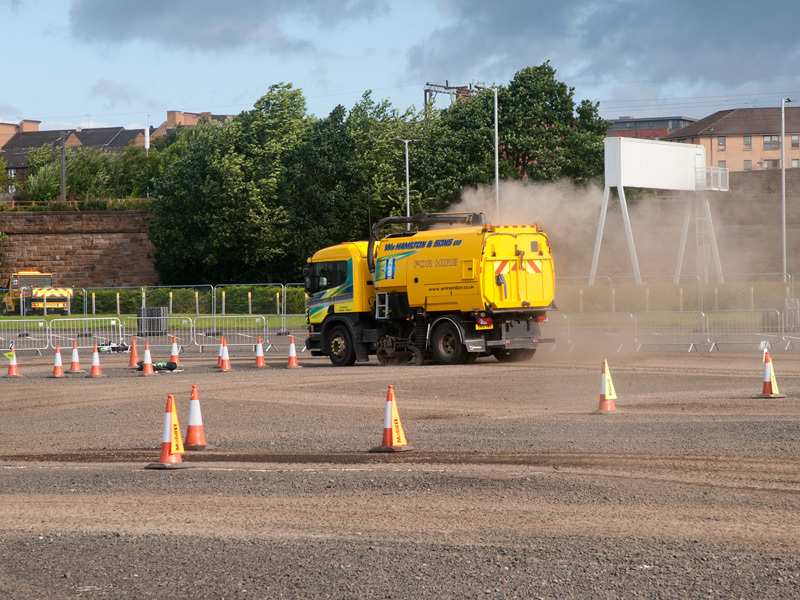 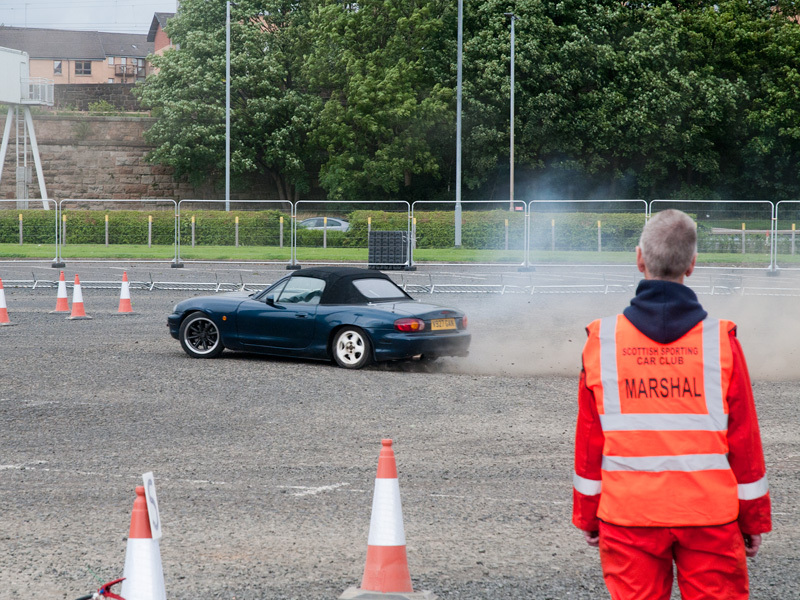 The third-year Strathclyde University student said studies for her masters in mechanical engineering helped prepare her for the male-dominated motoring world. 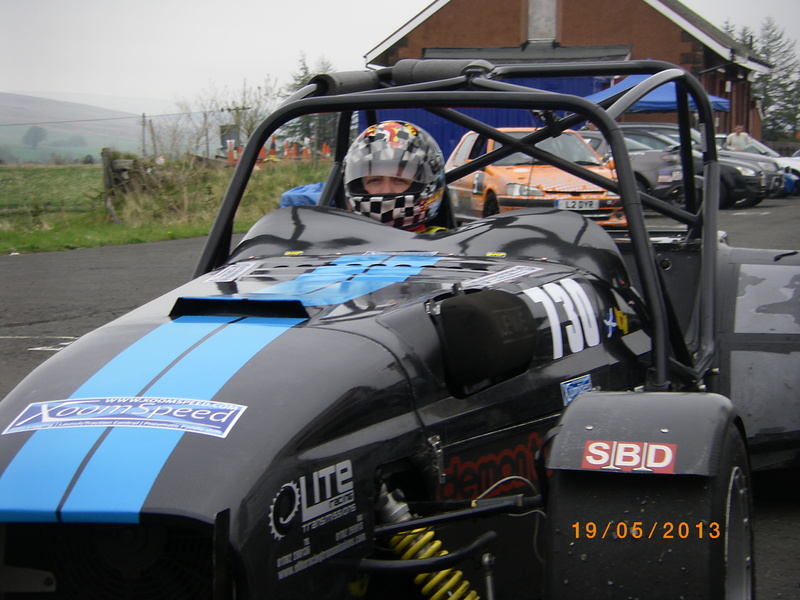 Carslaw, of Dunlop, said she is considering designing cars in future but is keeping both her engineering and rallying career options open. 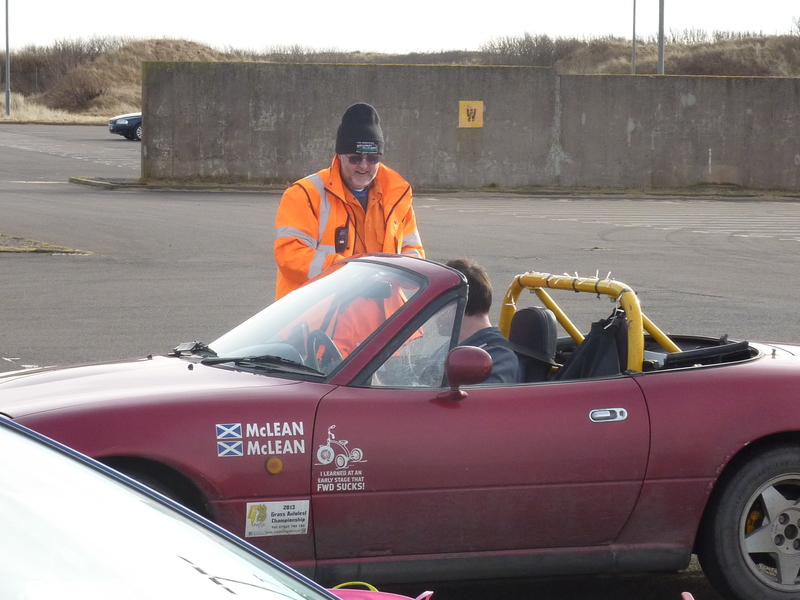 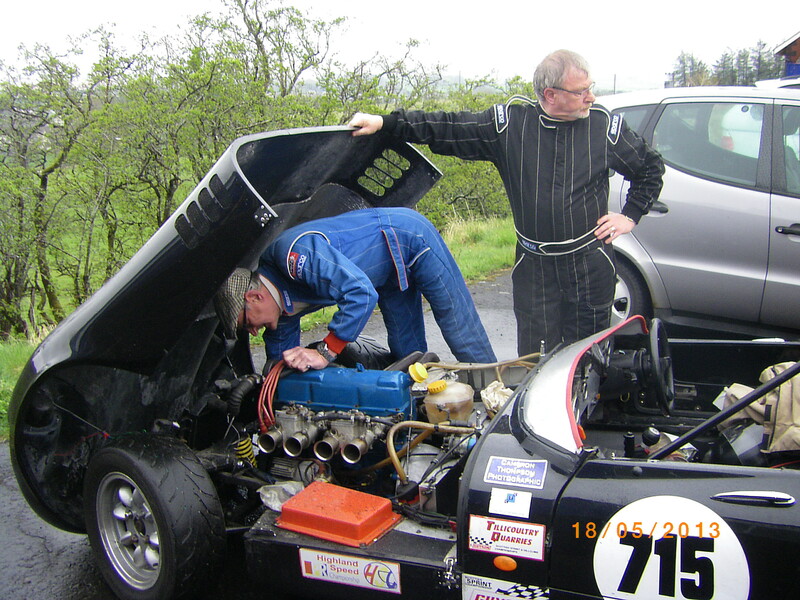 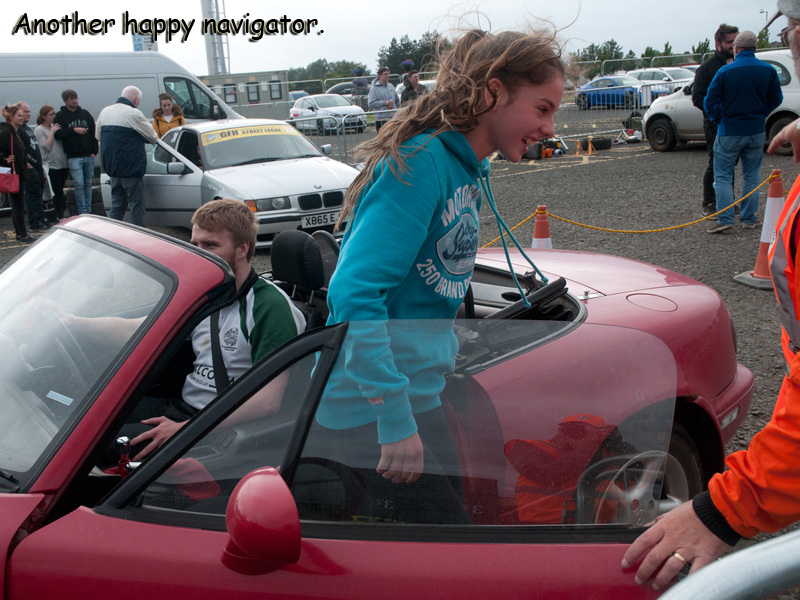 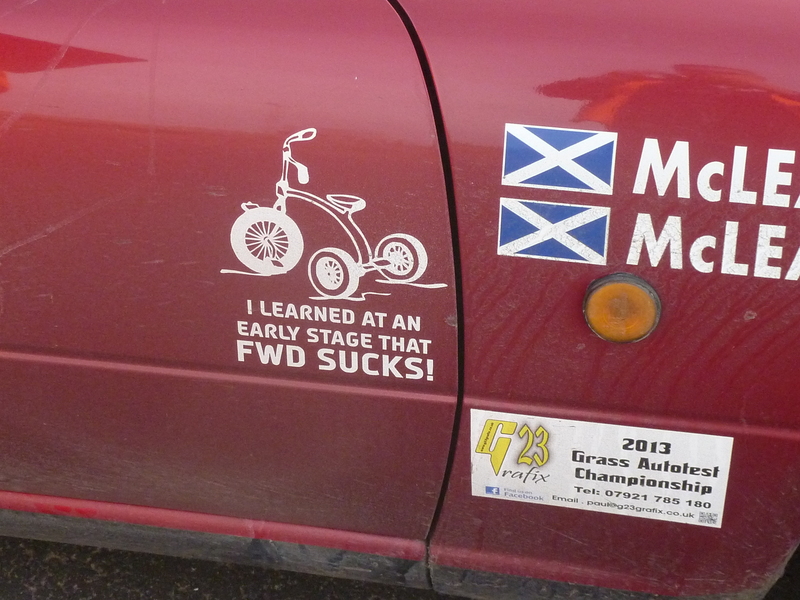 Her navigator is Dr John Duke, an Ayrshire GP who contested British Championship events in the 1980s and 1990s. 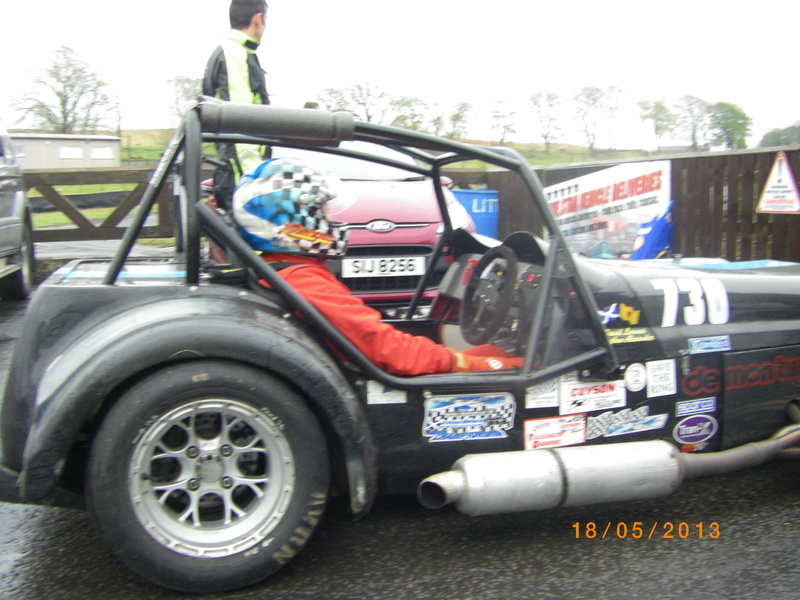 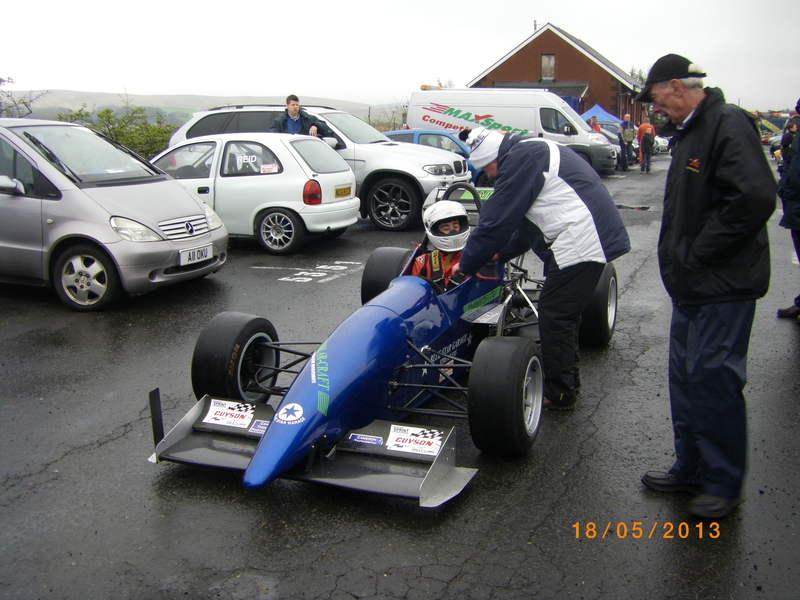 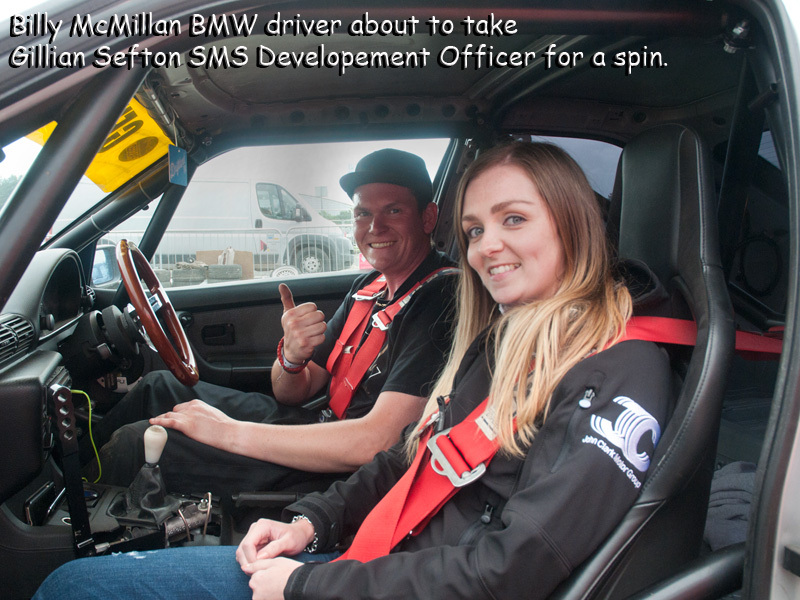 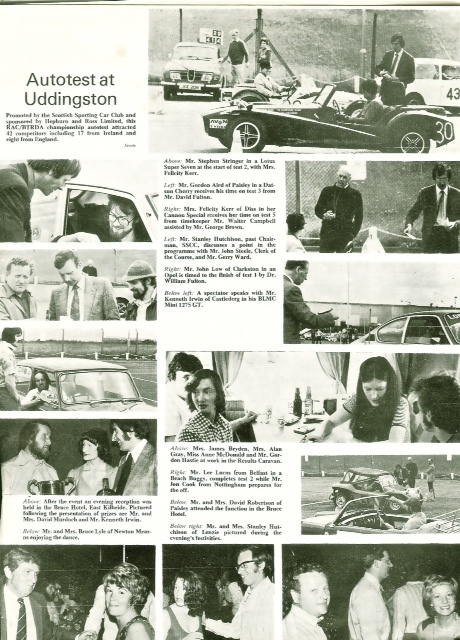 Her father and current sponsor Donald Carslaw was also an amateur driver, and she is being coached by former Scottish champion and Vauxhall factory driver Andrew Wood, from Melrose. 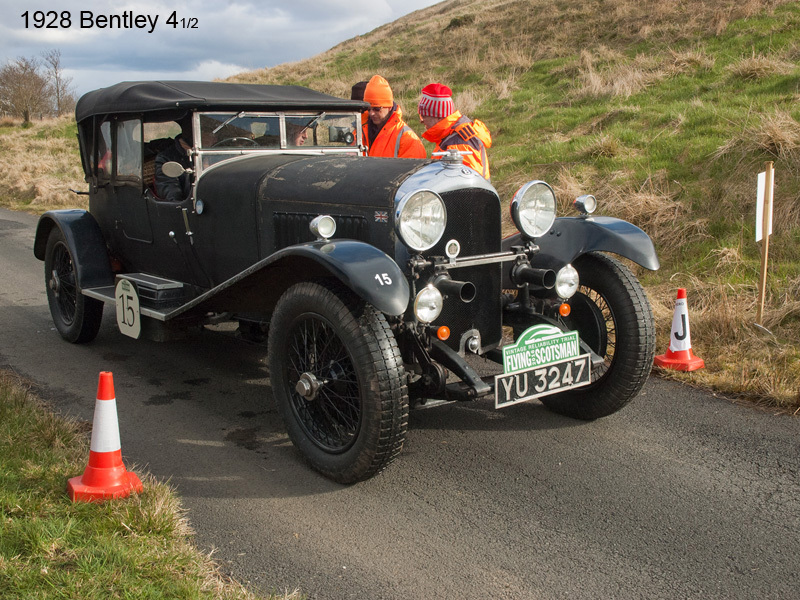 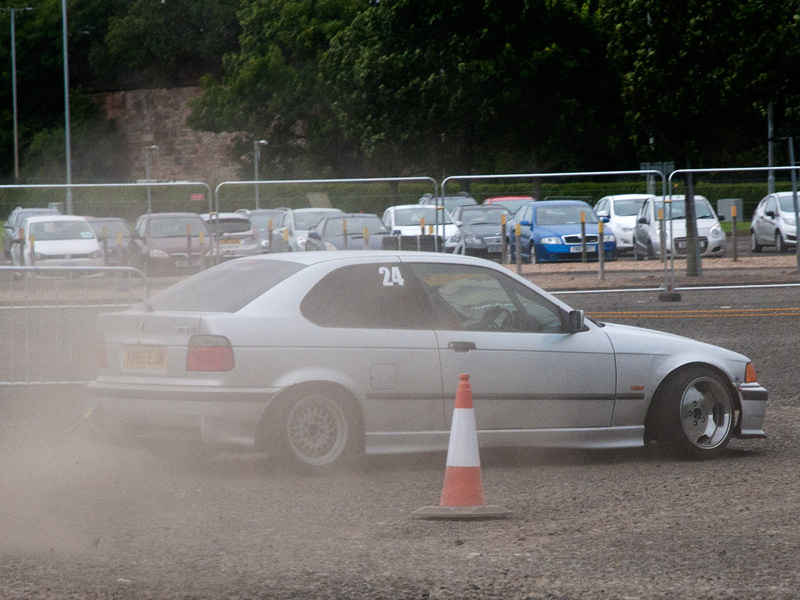 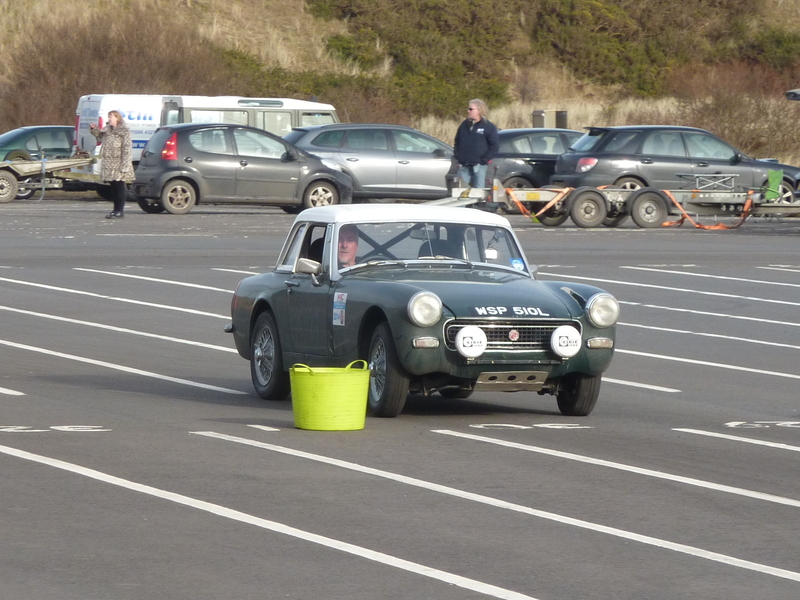 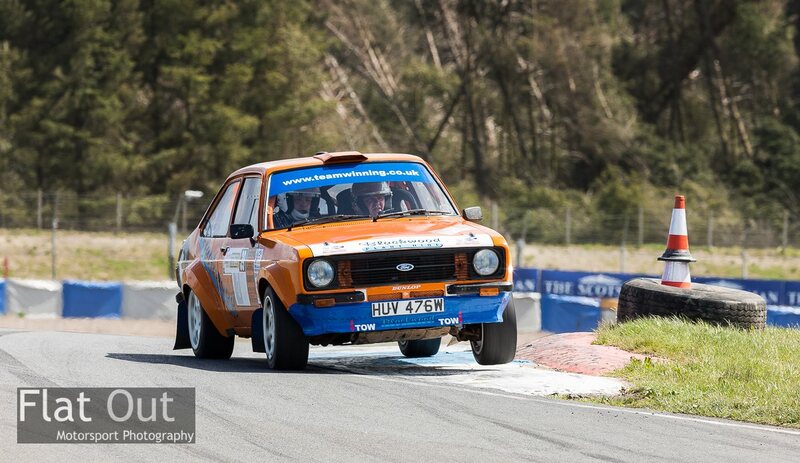 Her next event is the Granite City Rally in Aberdeen on April 20, covering 45 miles of Forestry Commission Scotland tracks around Aberdeenshire. 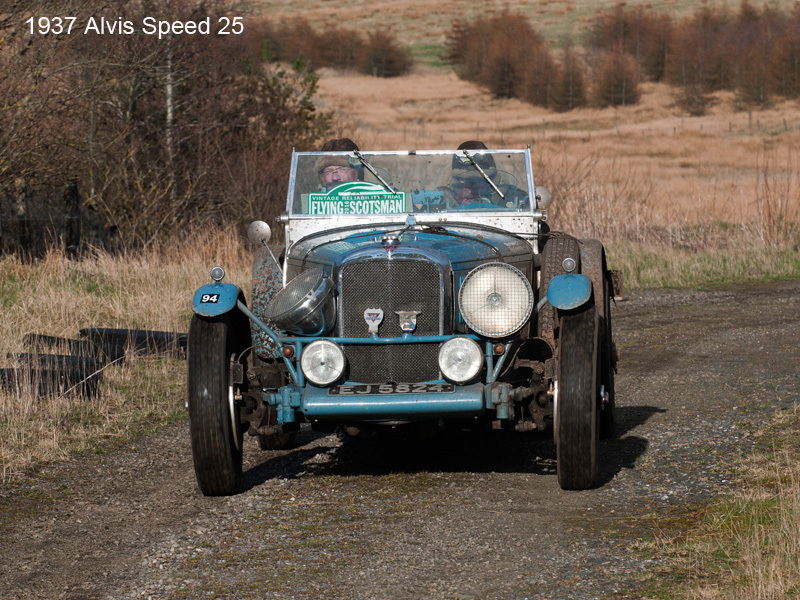 The rally will be only her second on gruelling forest roads.